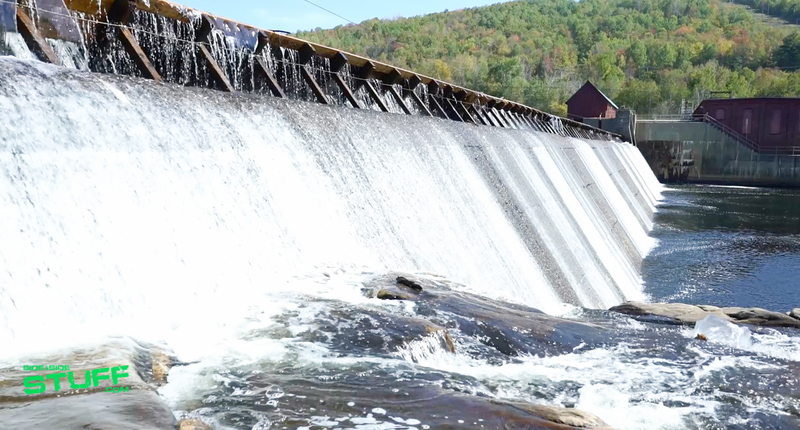 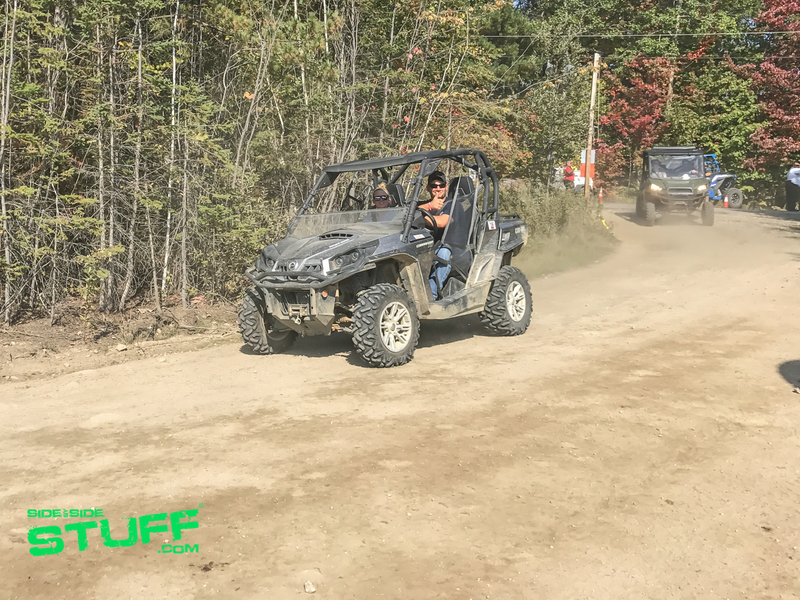 Nestled in the White Mountains just a few miles from downtown Berlin, New Hampshire lies Jericho Mountain State Park. 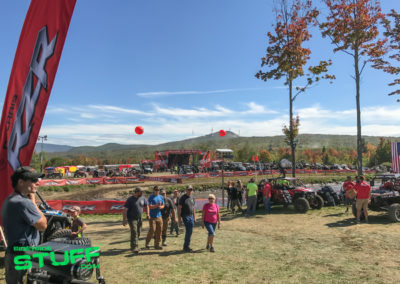 For the past two years, the park has been the home of Camp RZR New England. 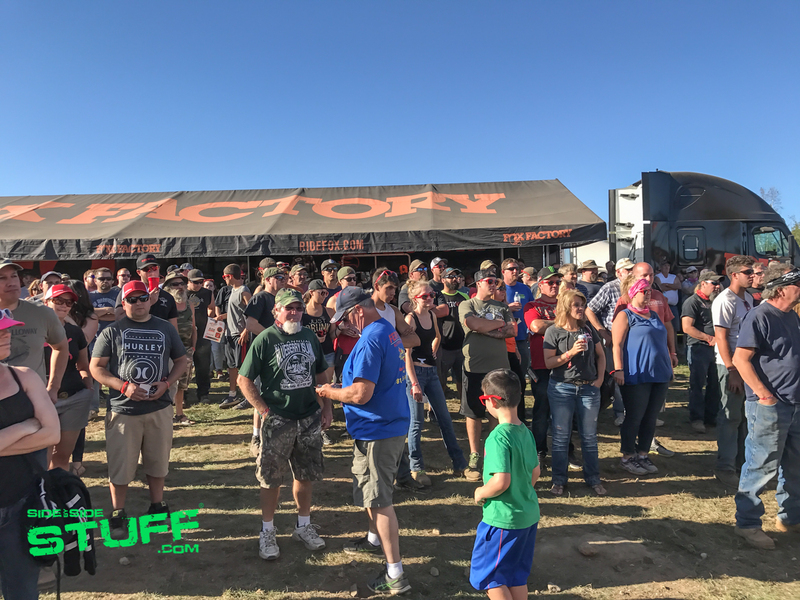 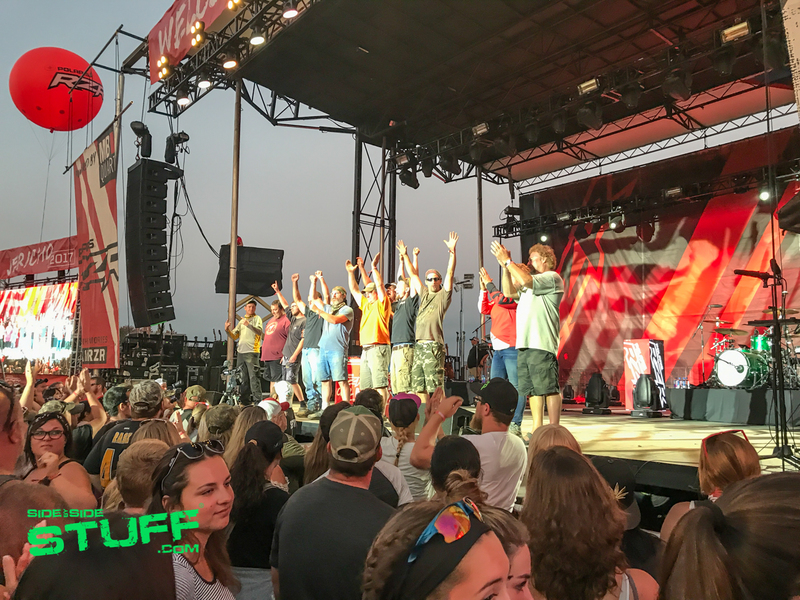 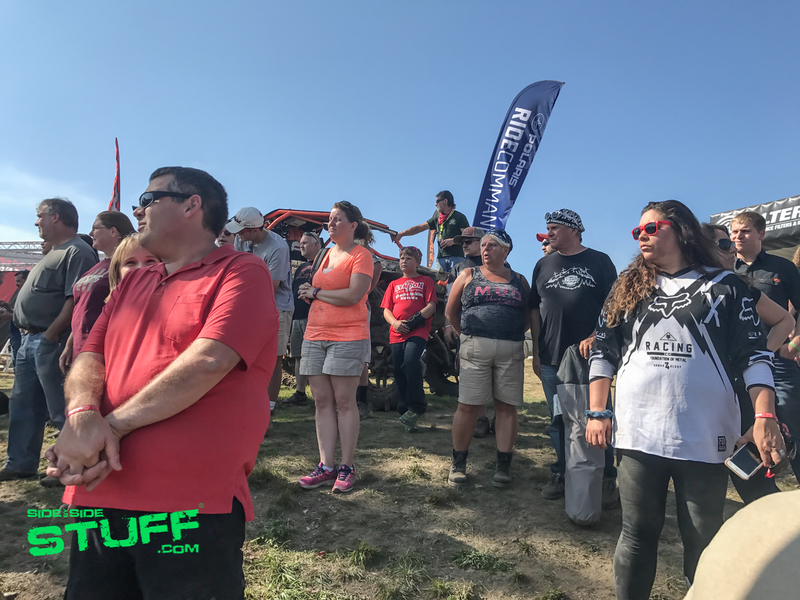 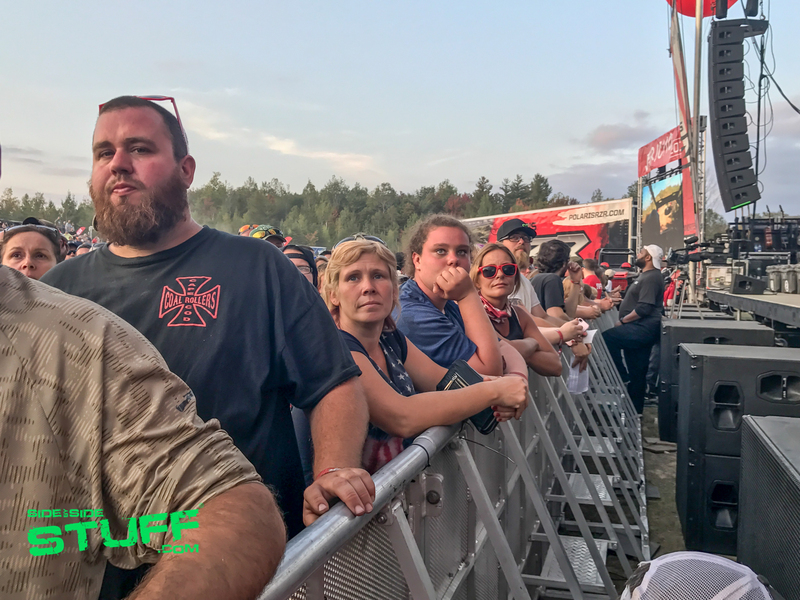 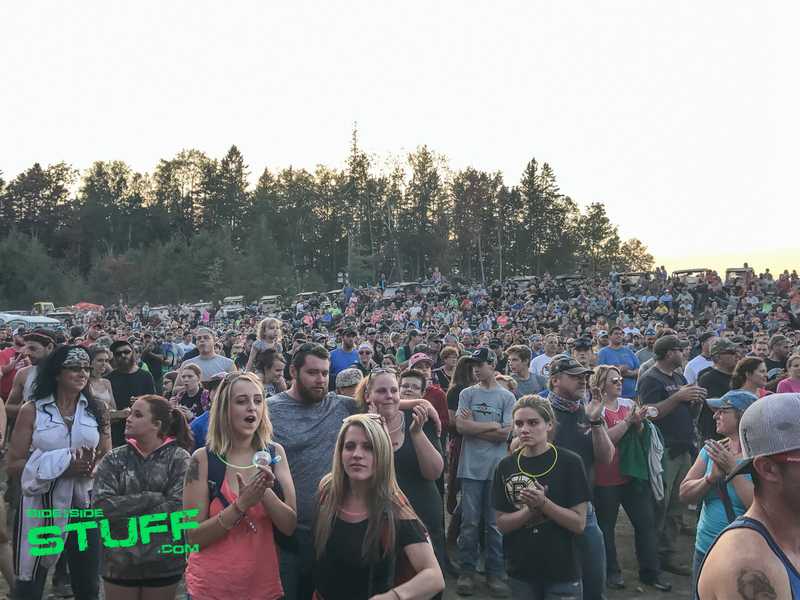 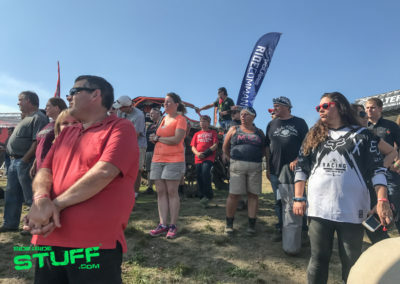 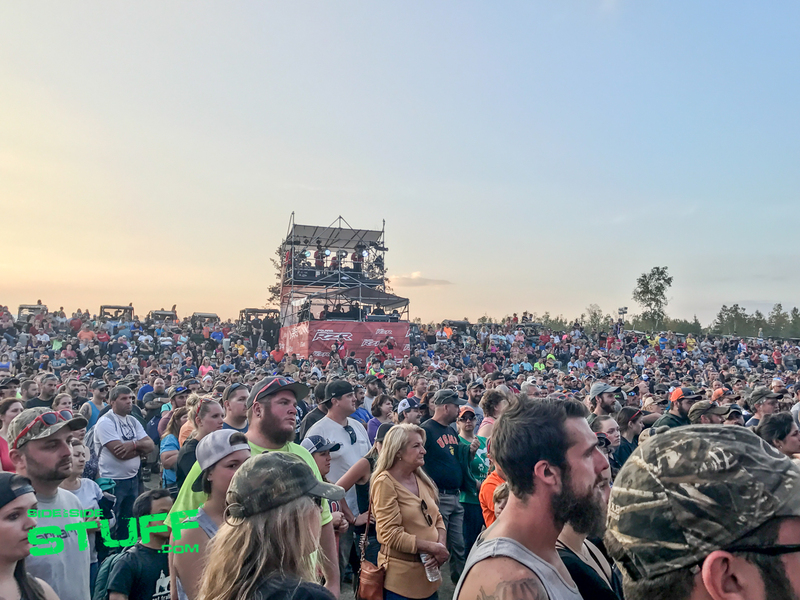 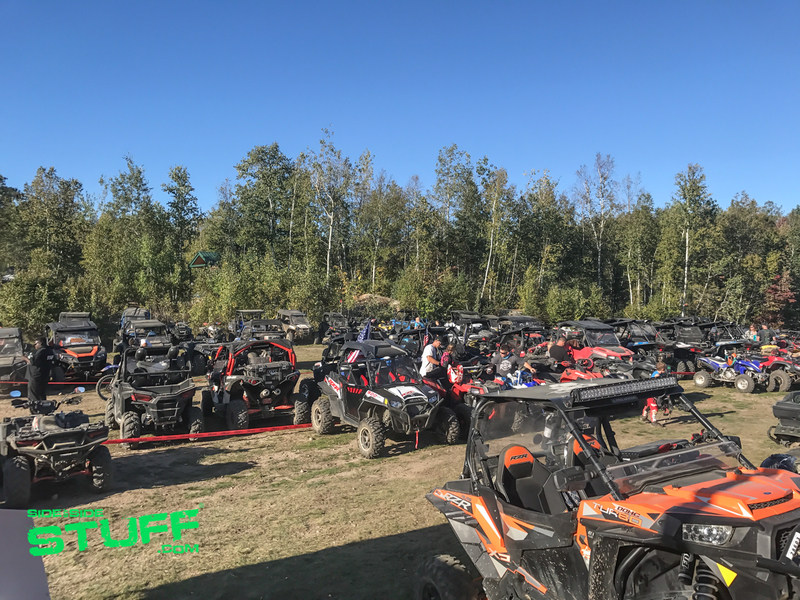 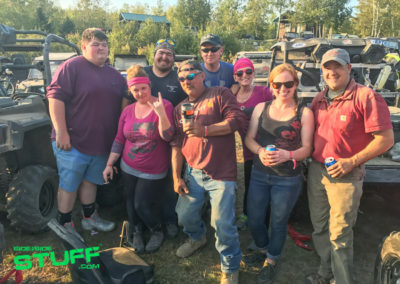 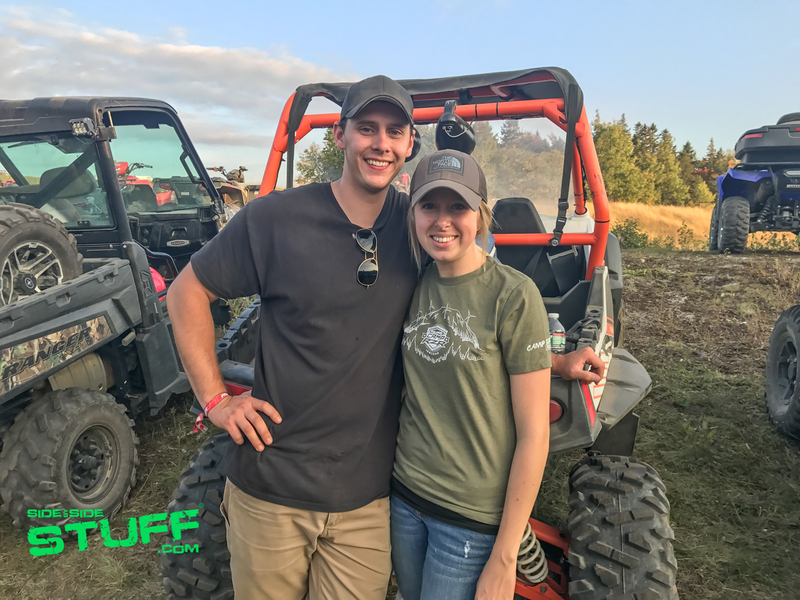 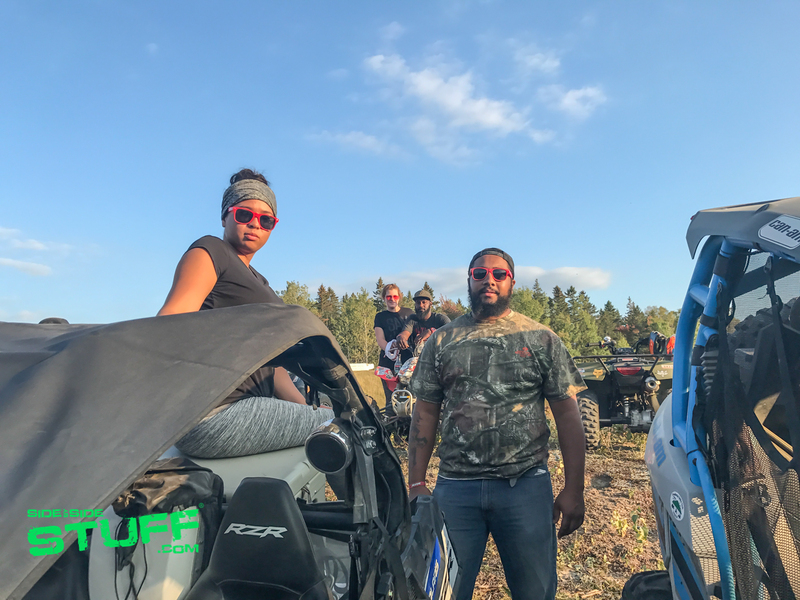 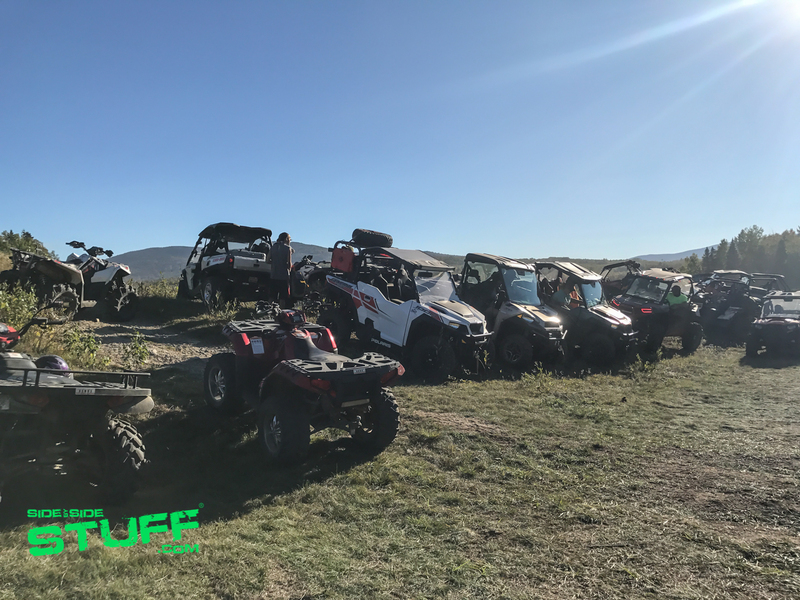 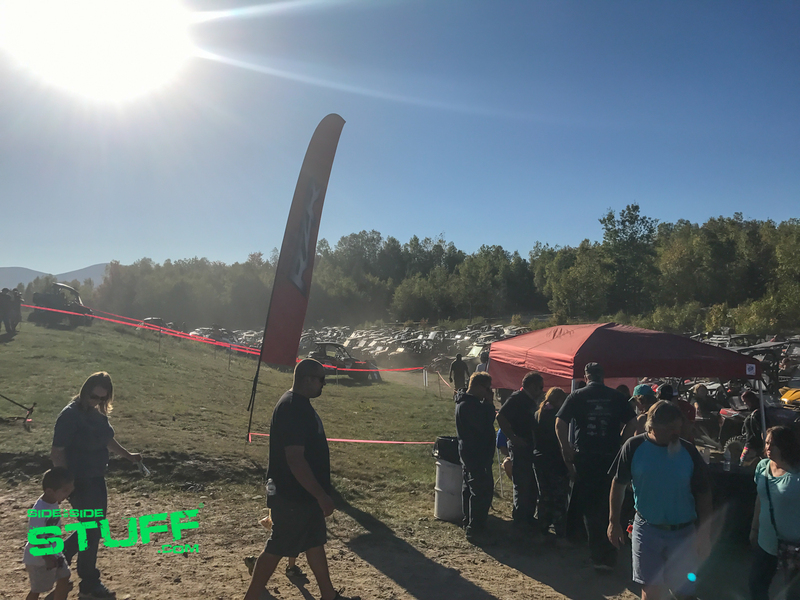 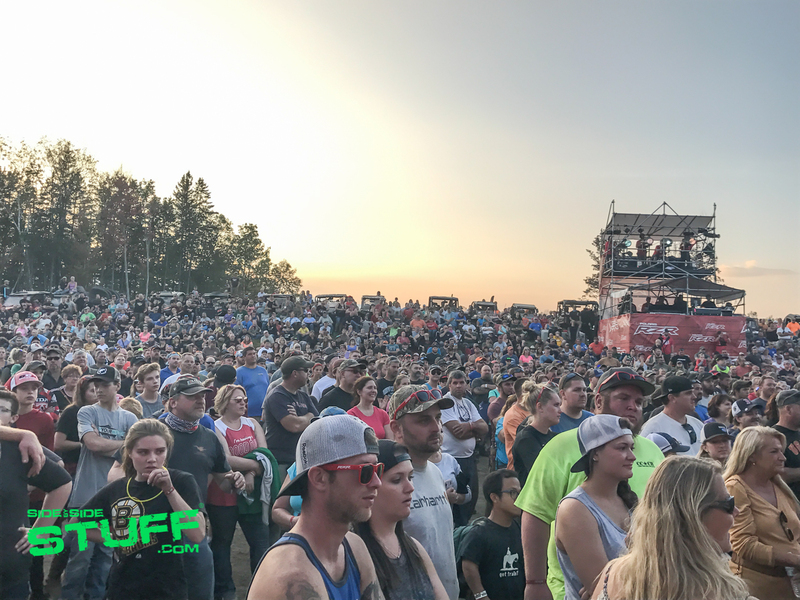 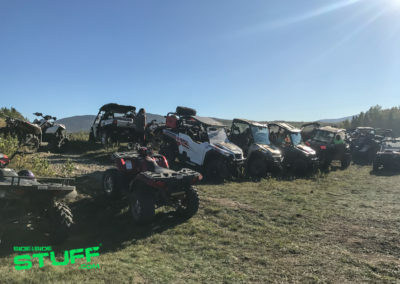 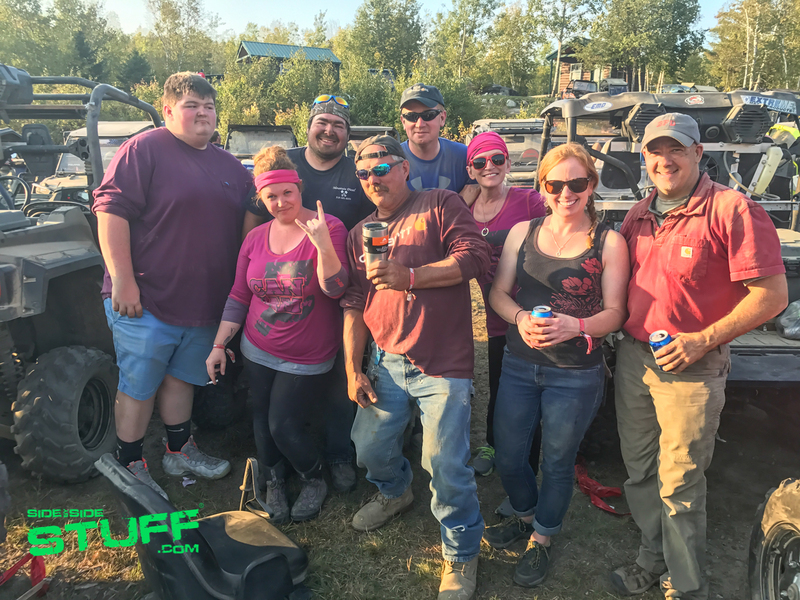 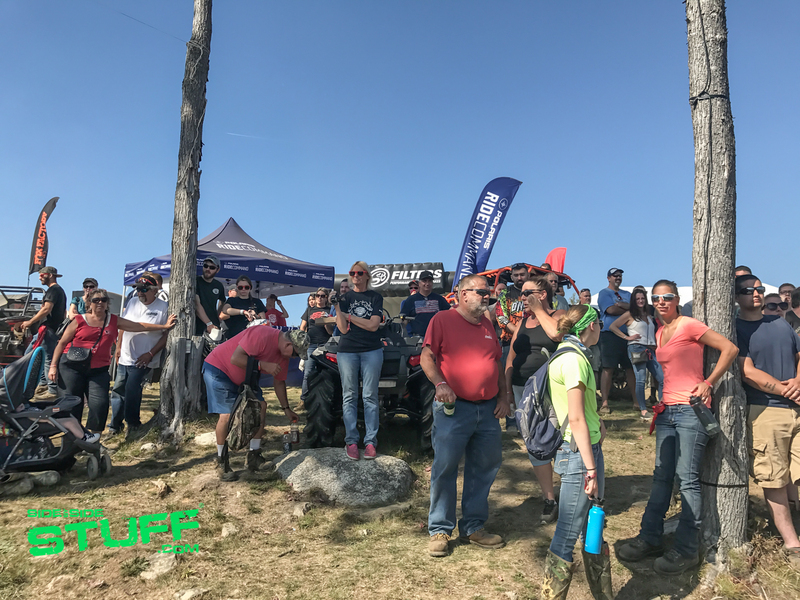 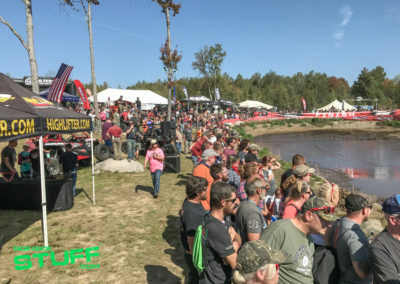 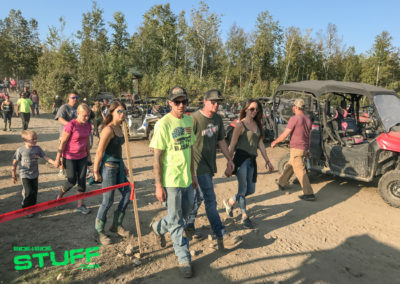 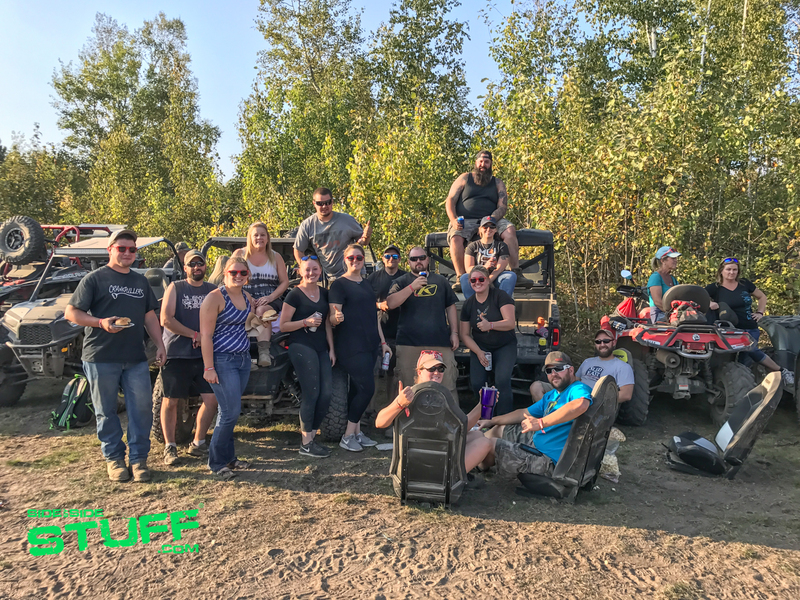 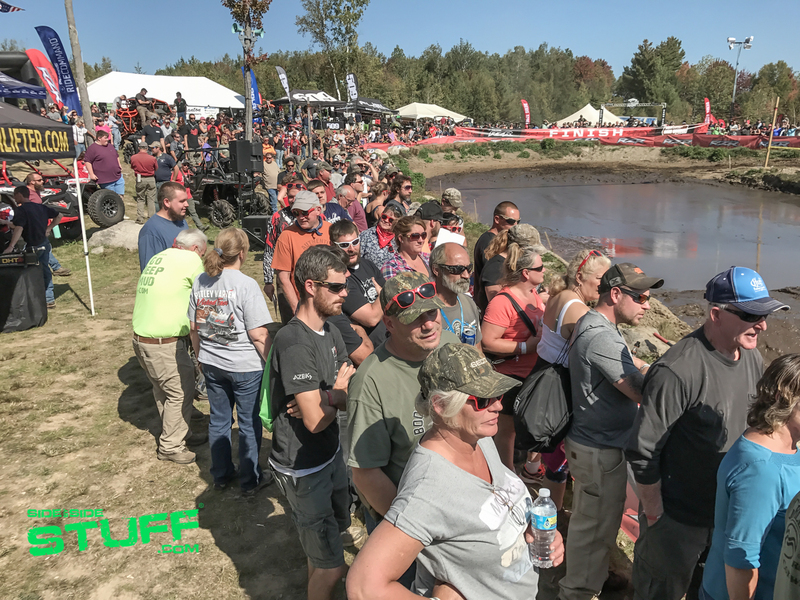 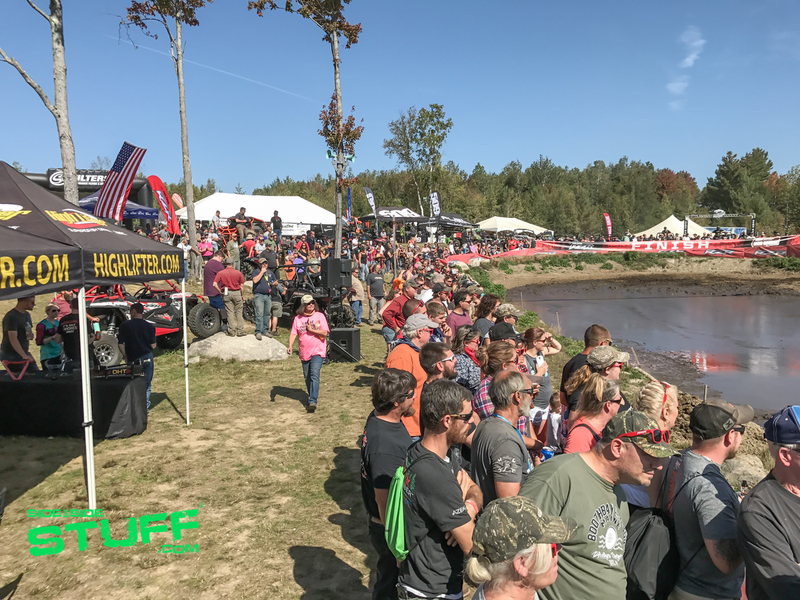 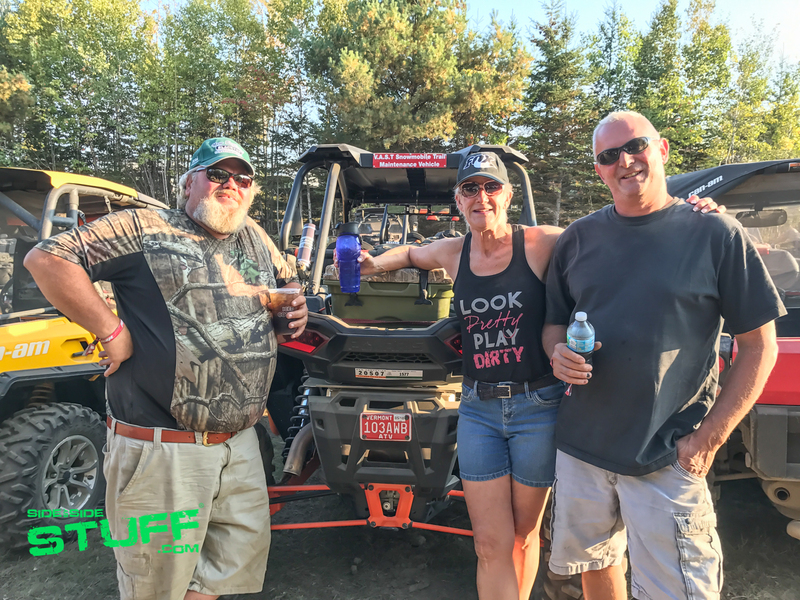 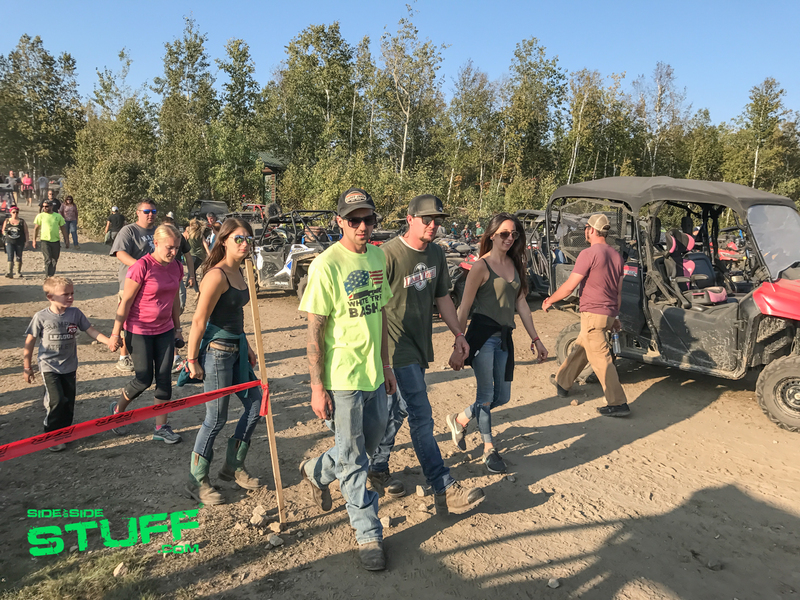 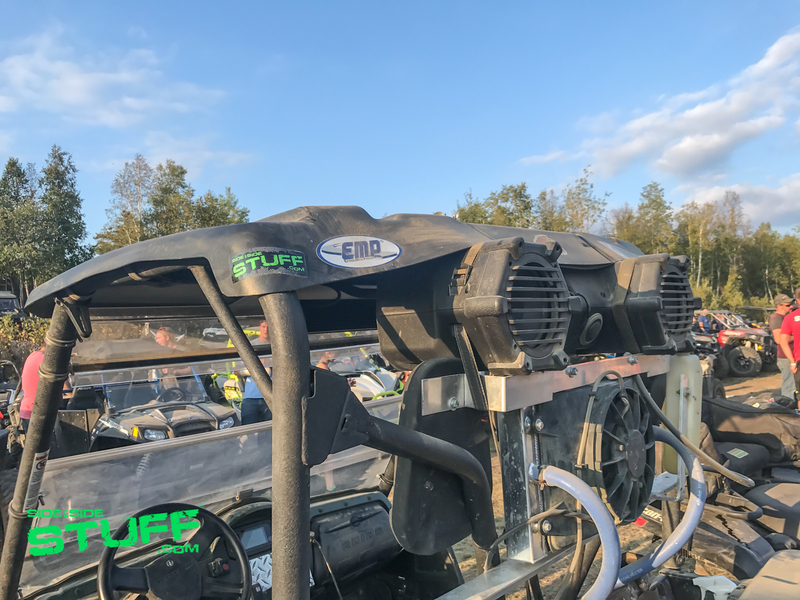 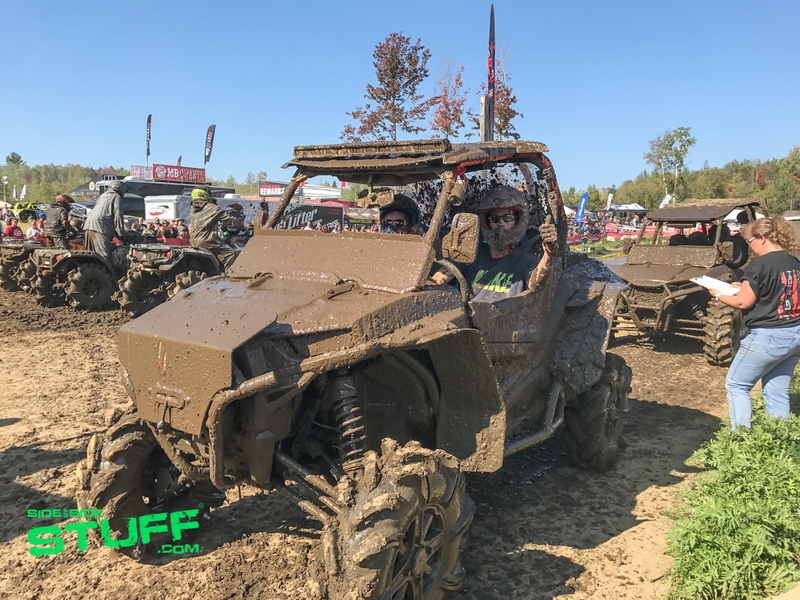 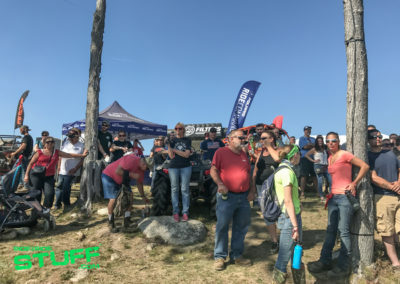 The annual event, brought to you by Polaris, brings out UTV and ATV riders by the thousands and the OHV friendly community of Berlin is very welcoming to SxS enthusiasts for the stay. 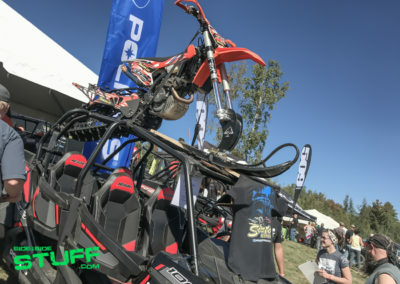 Polaris did a great job with this year’s event, there were plenty of fun activates for the entire family. 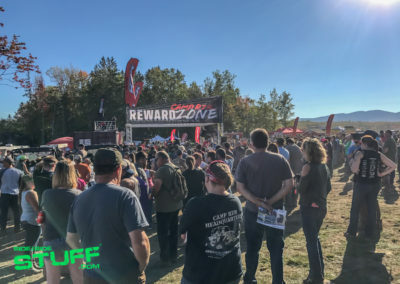 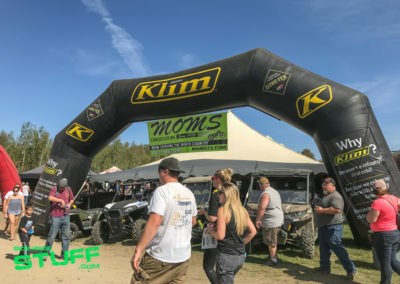 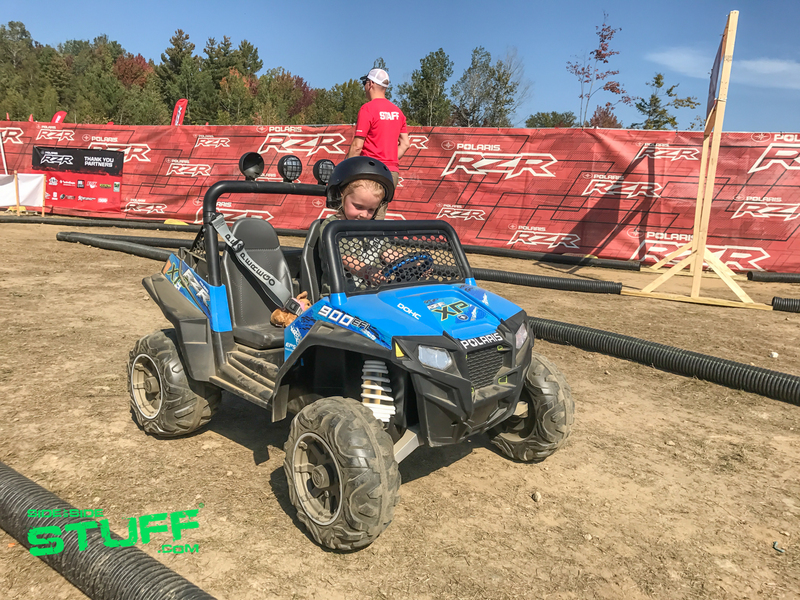 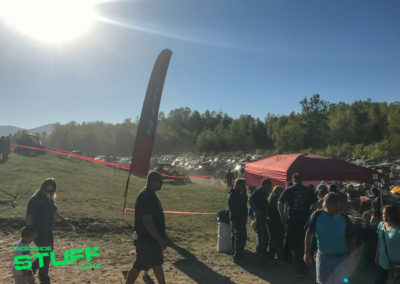 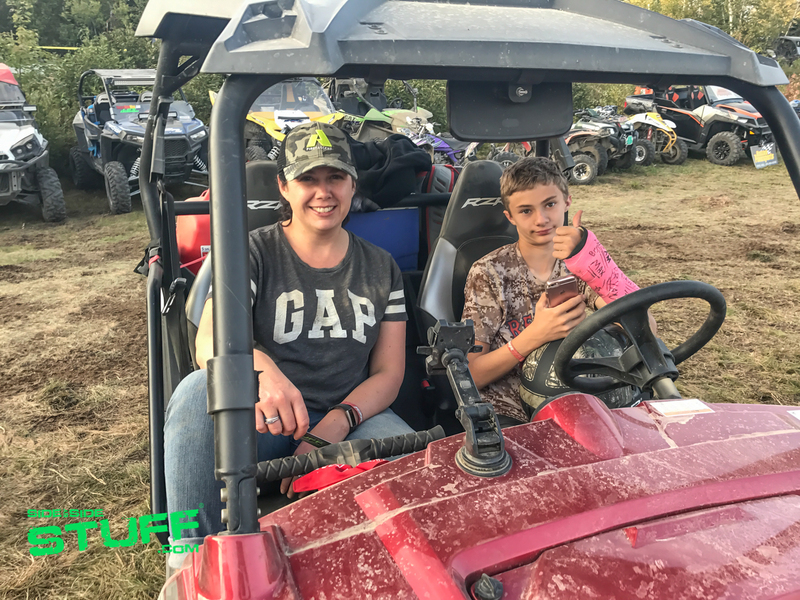 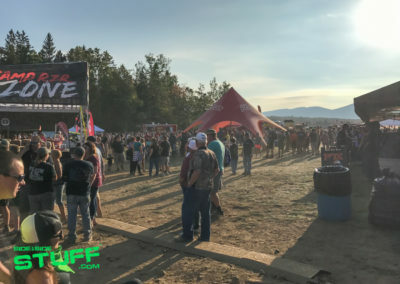 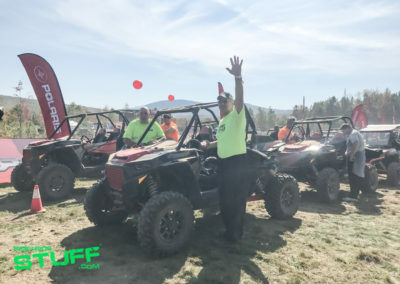 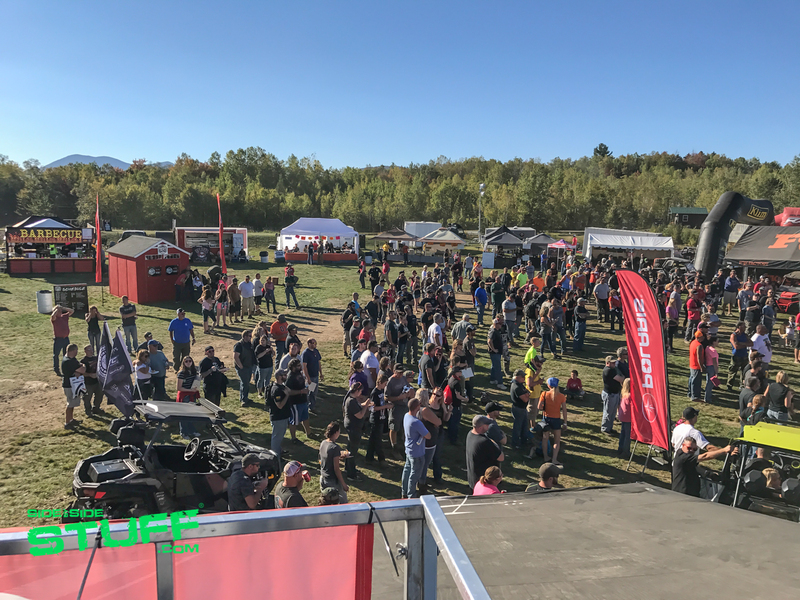 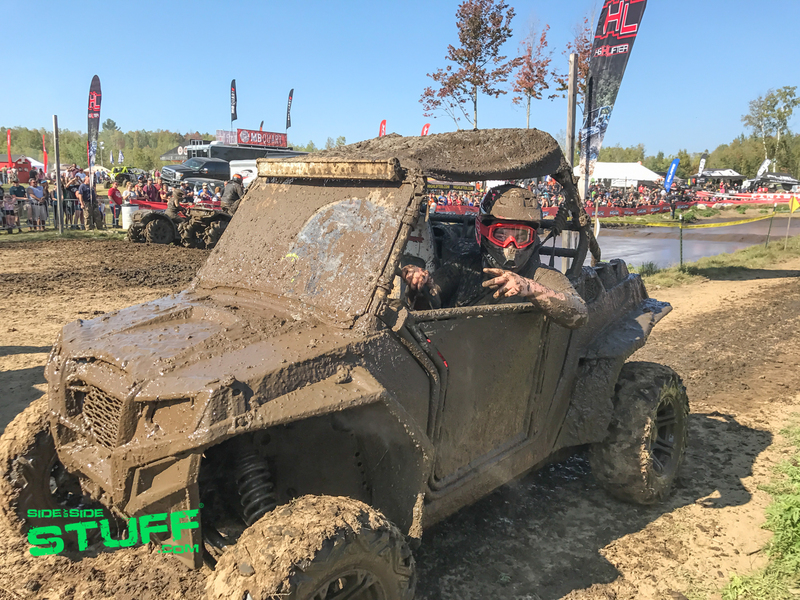 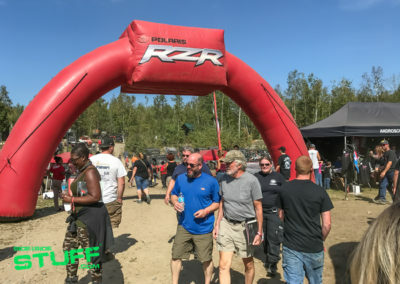 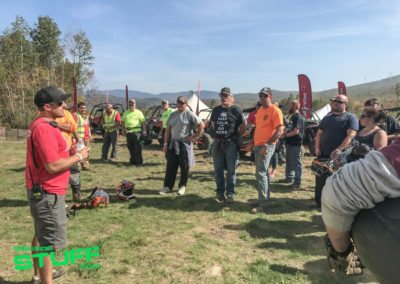 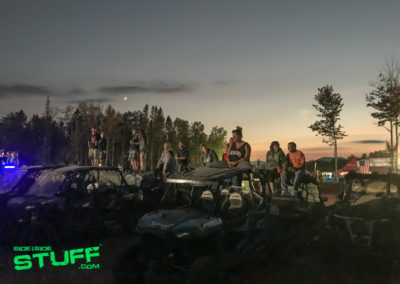 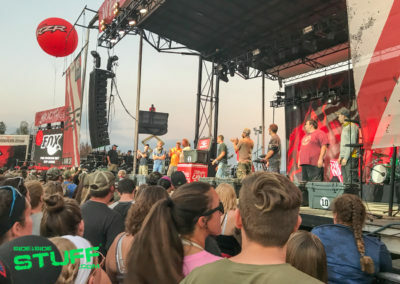 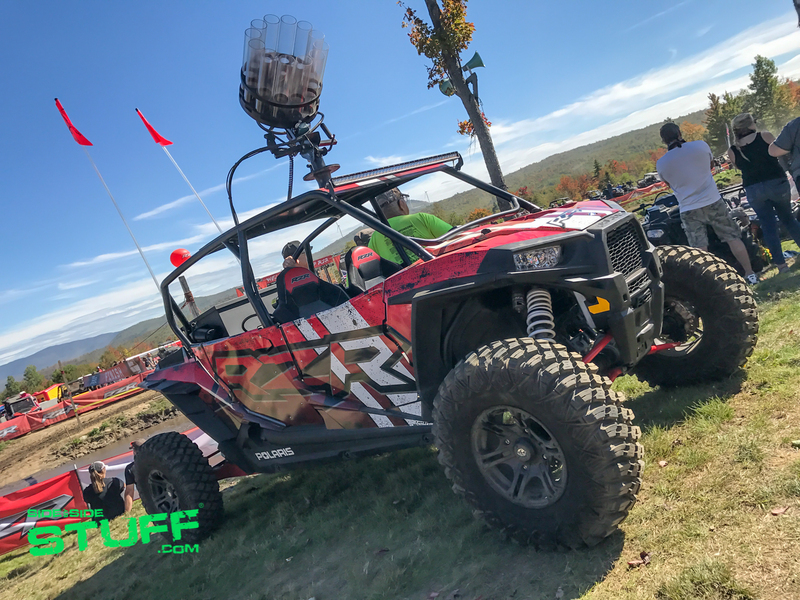 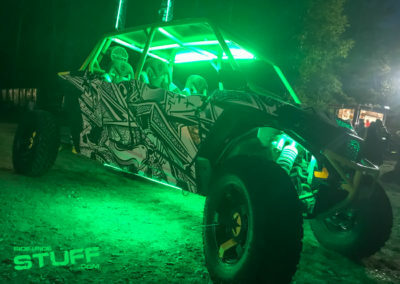 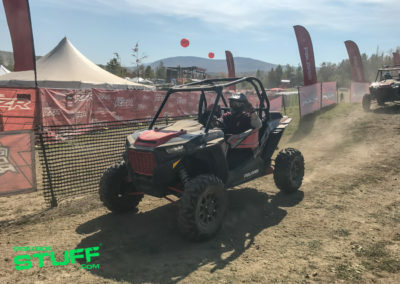 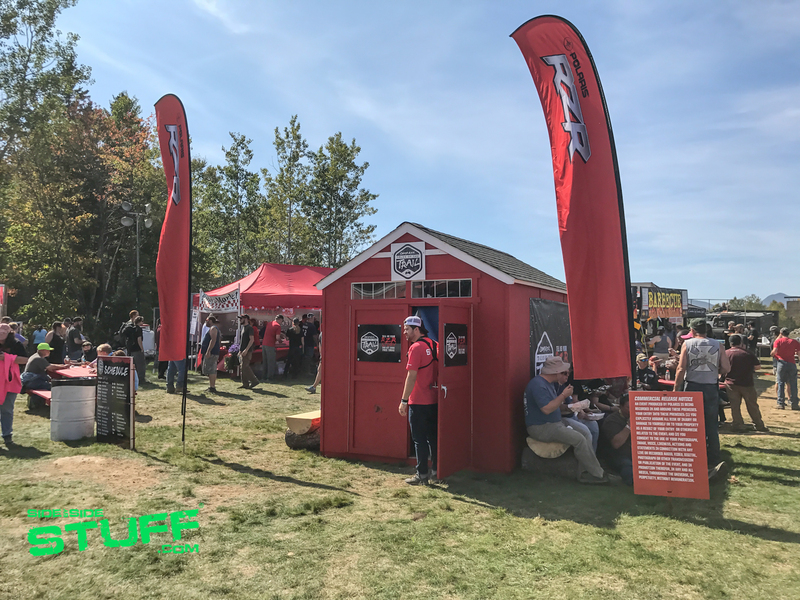 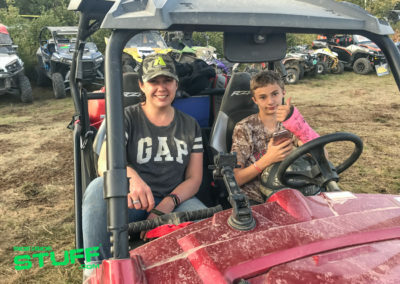 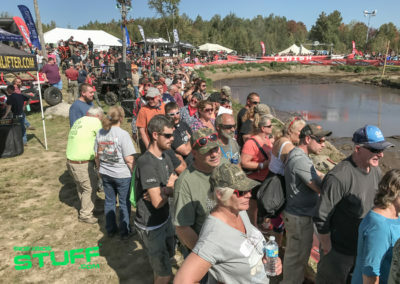 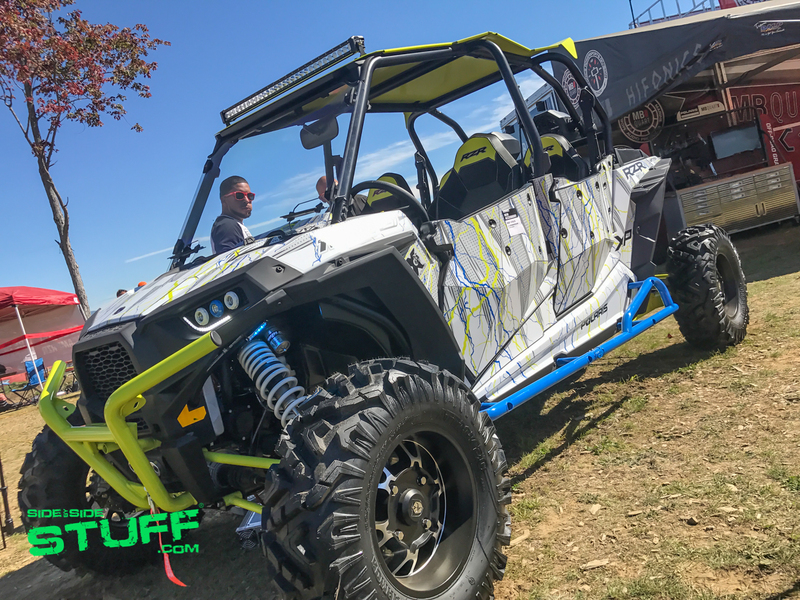 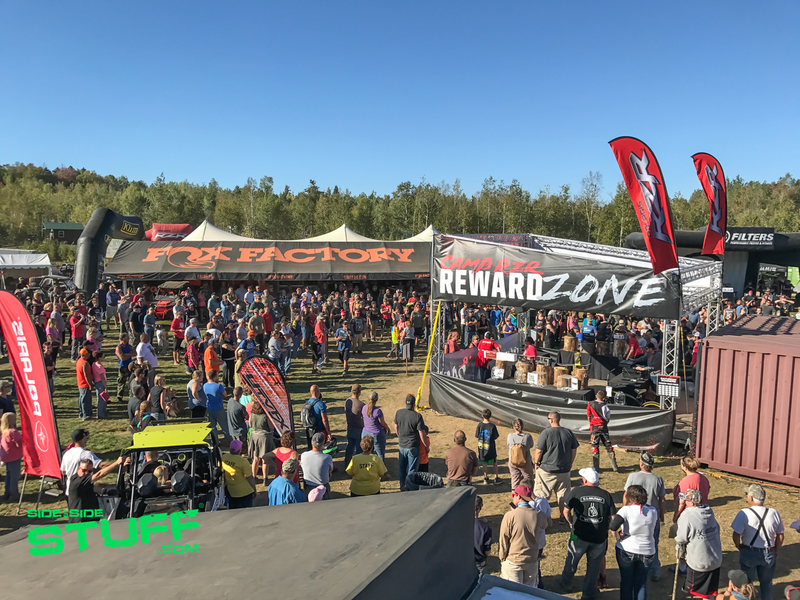 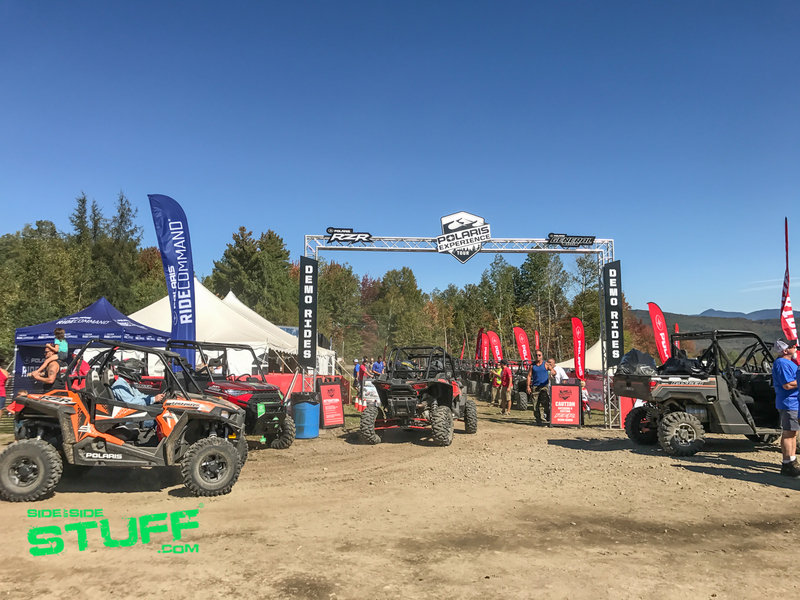 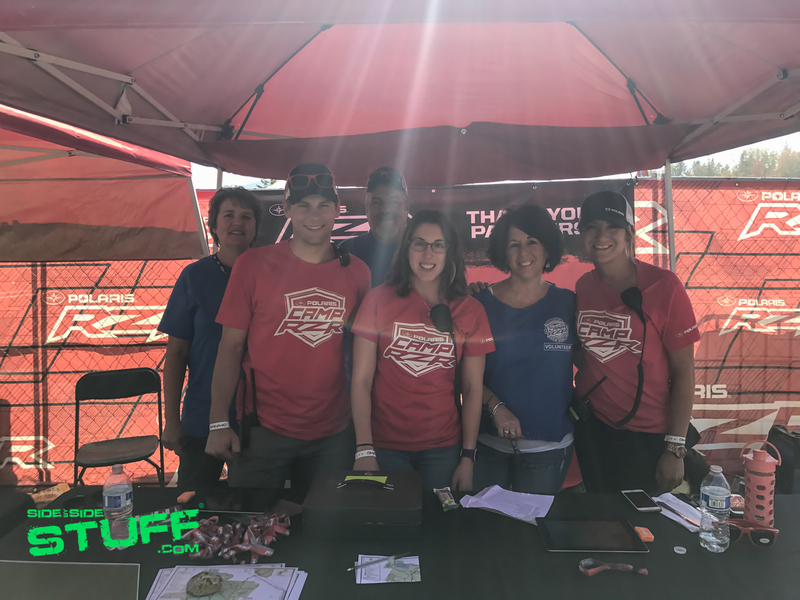 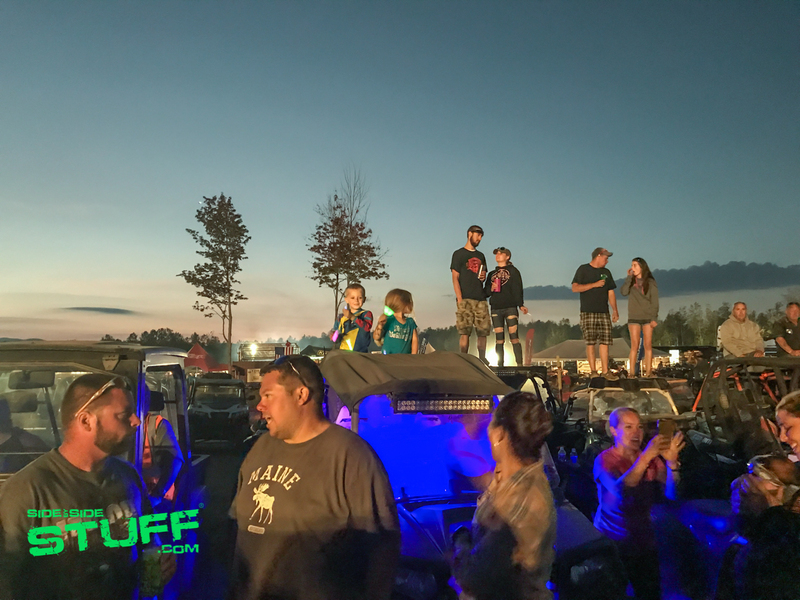 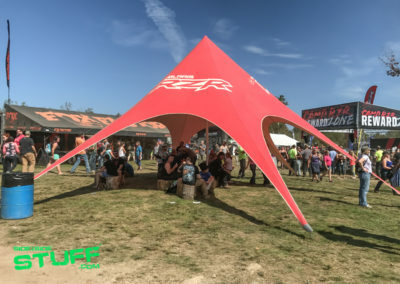 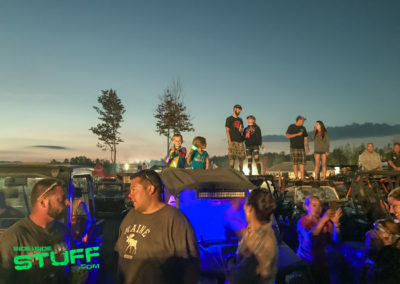 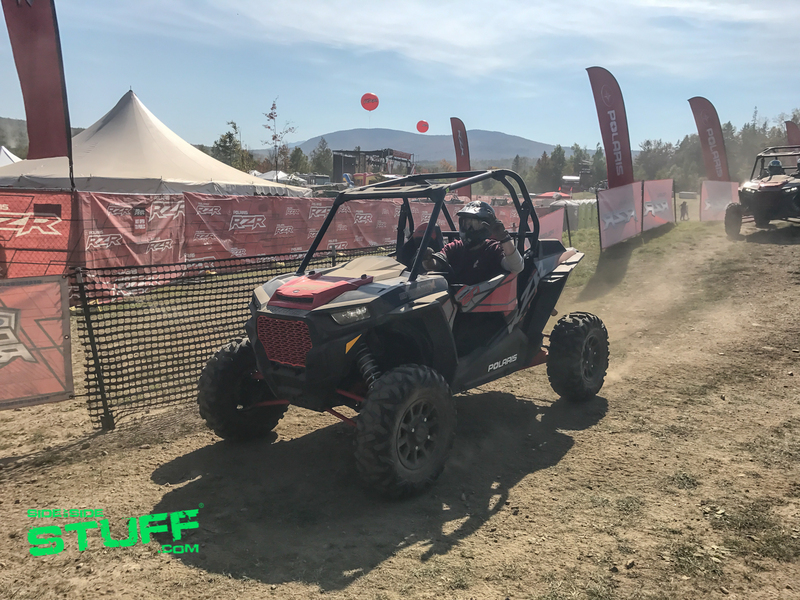 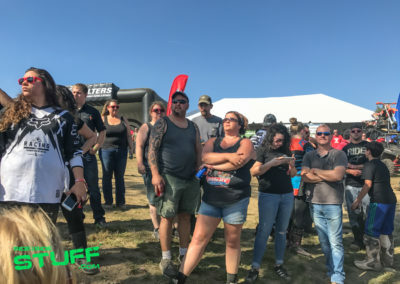 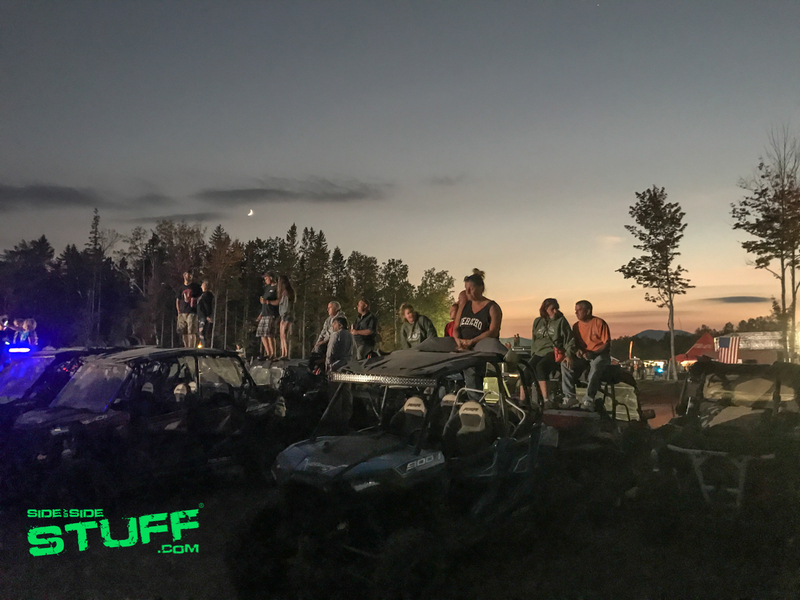 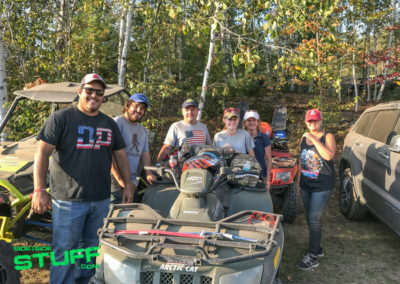 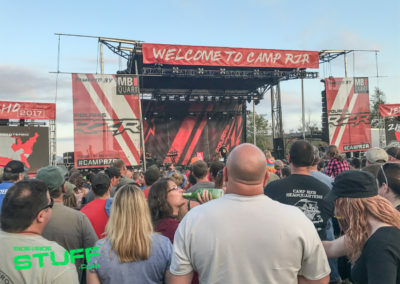 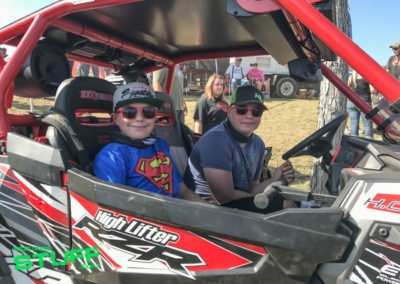 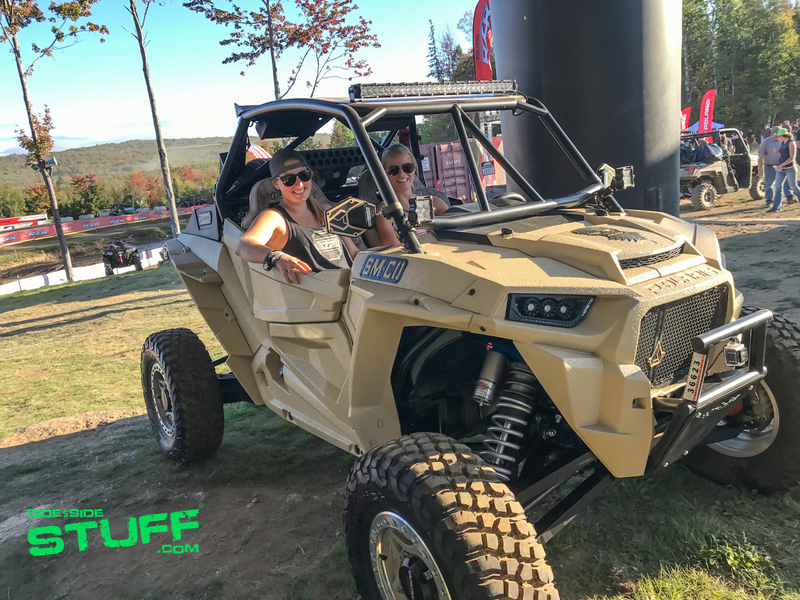 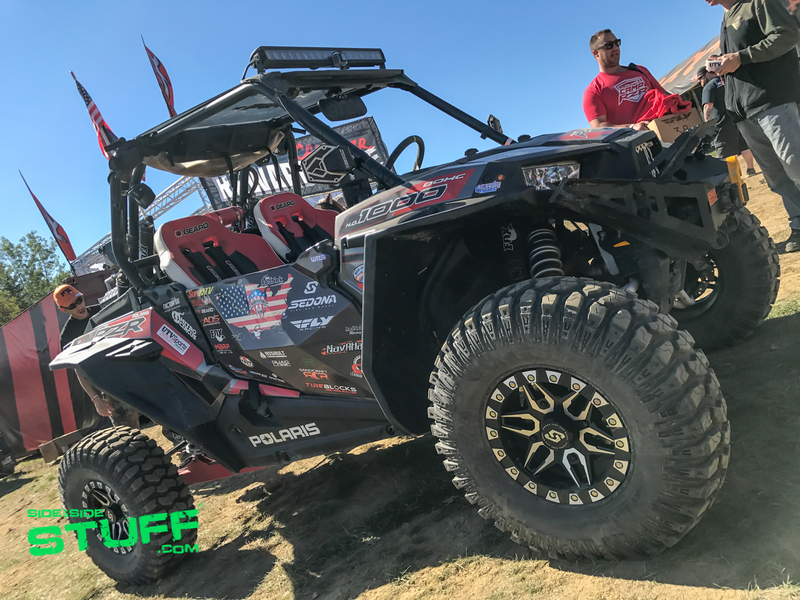 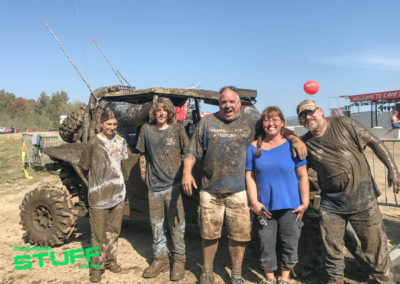 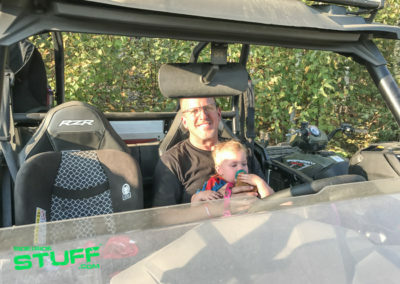 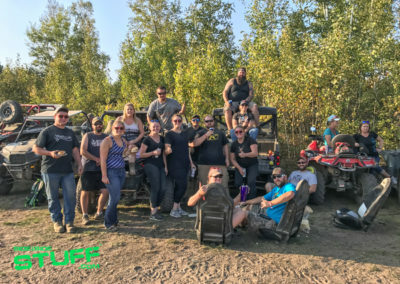 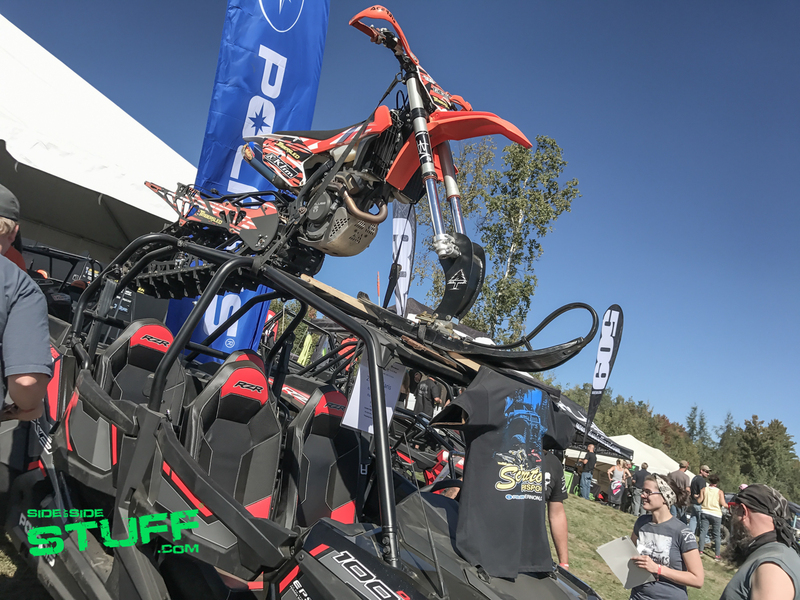 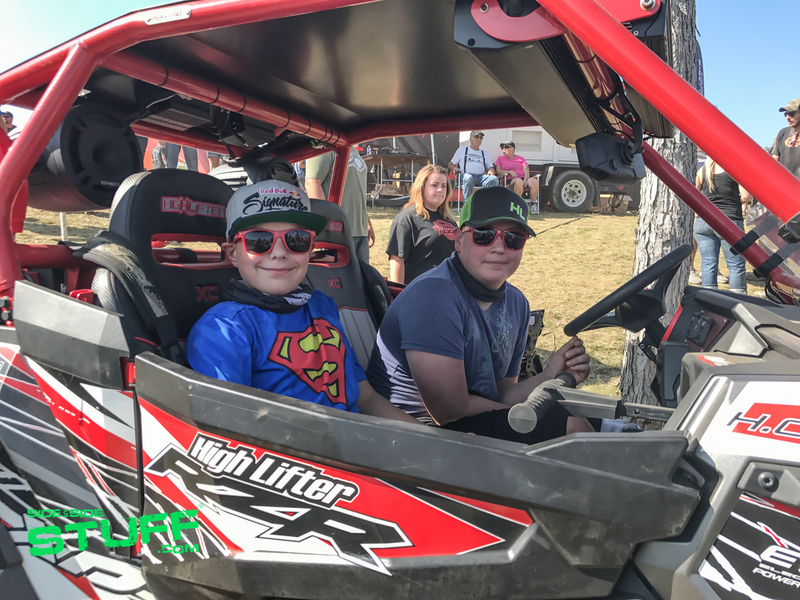 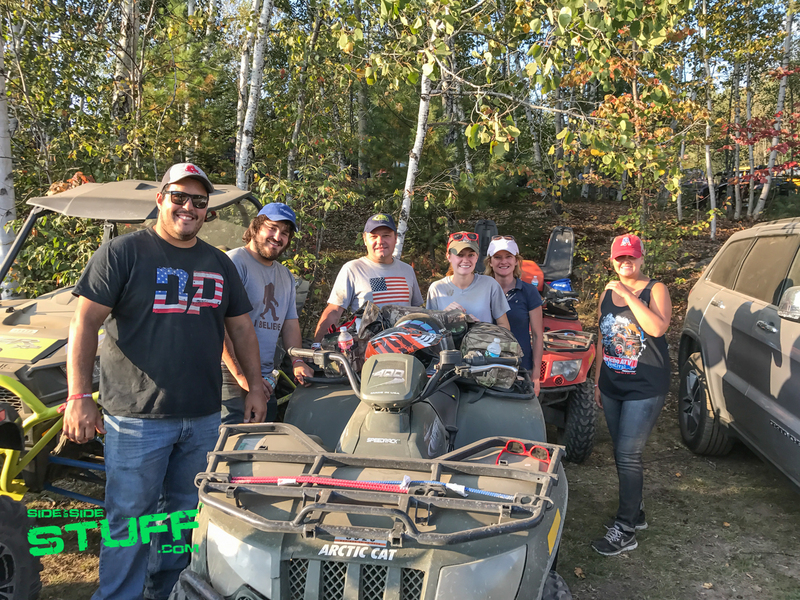 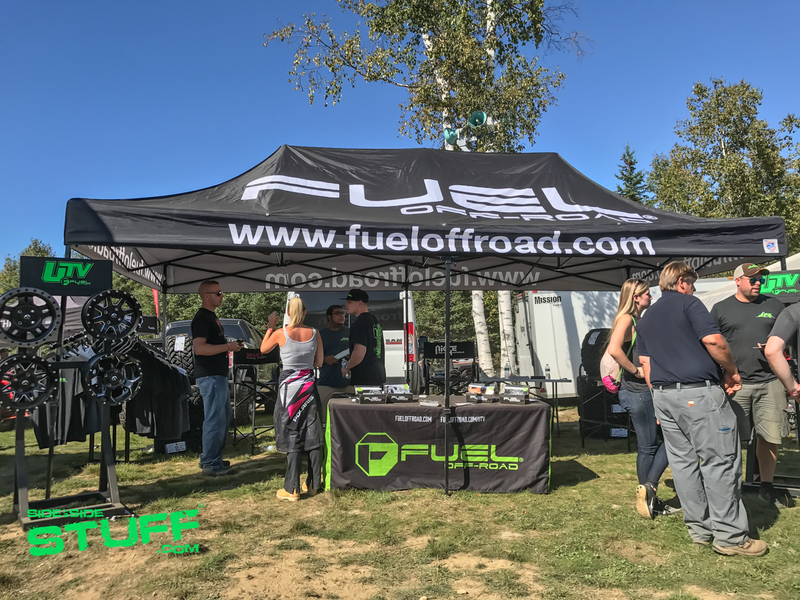 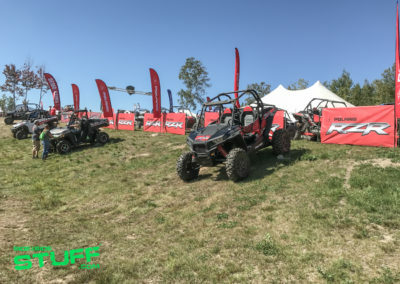 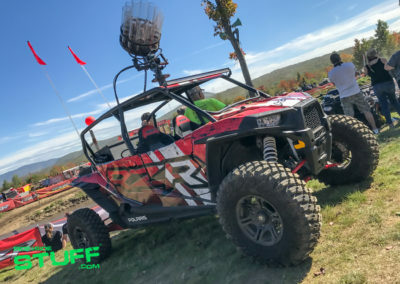 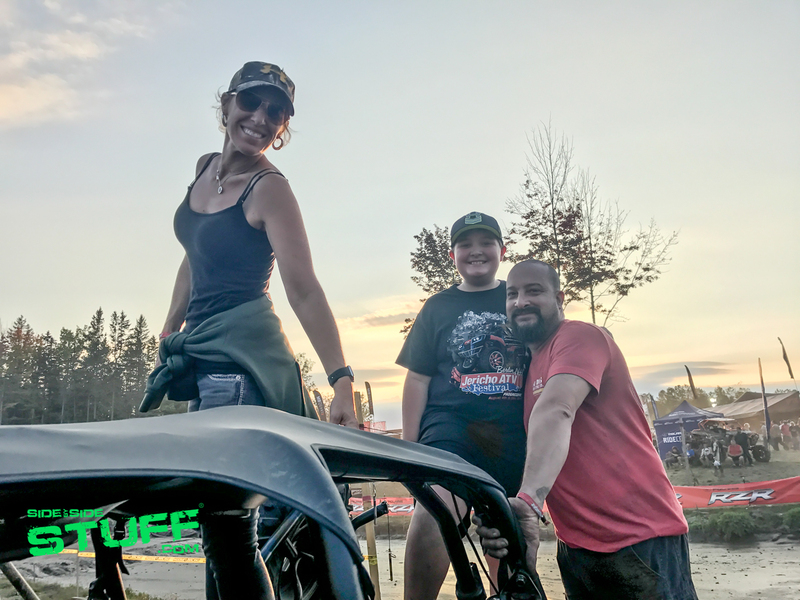 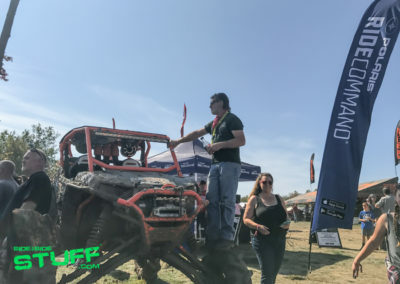 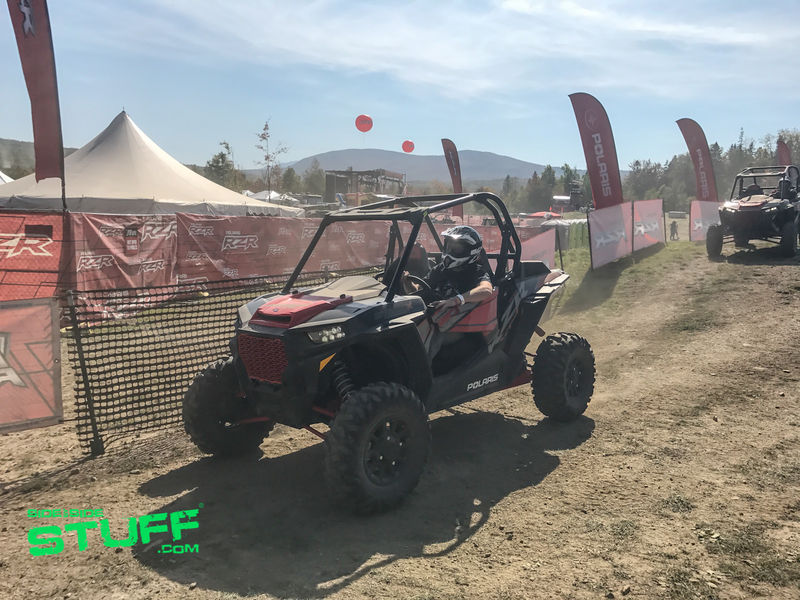 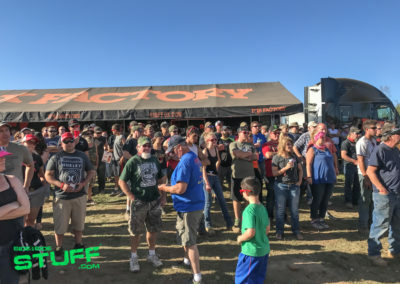 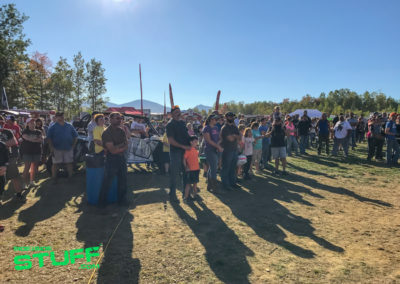 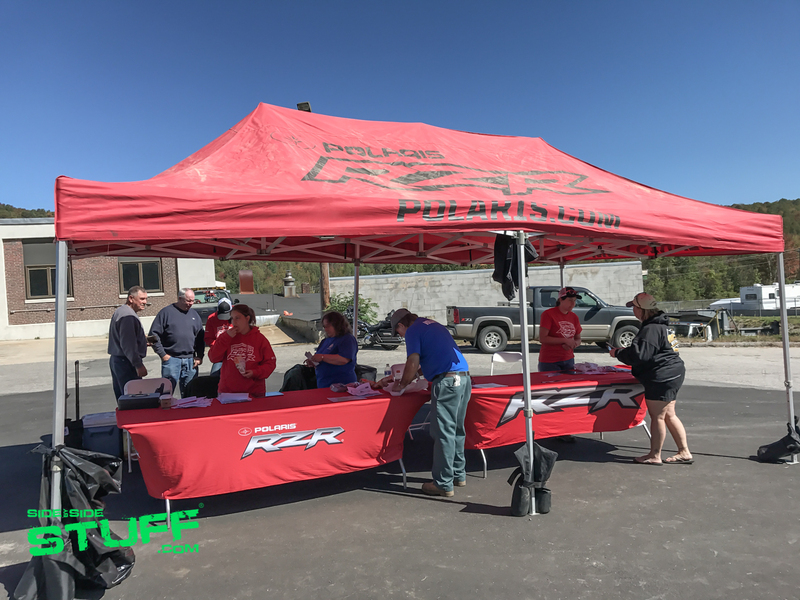 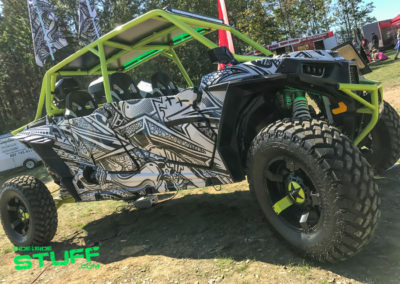 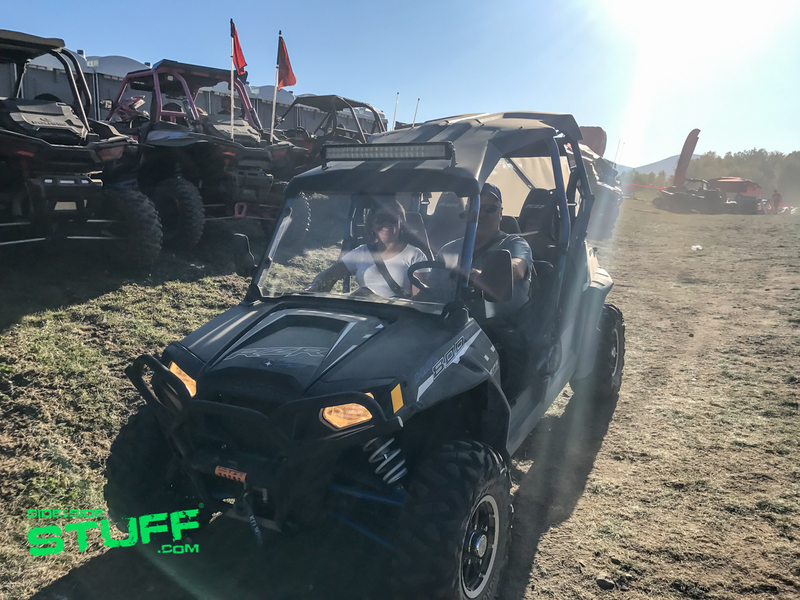 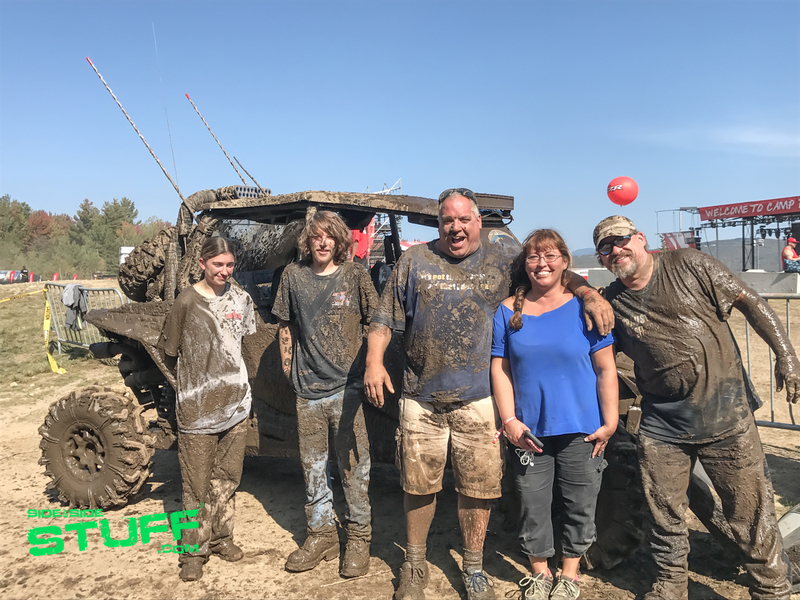 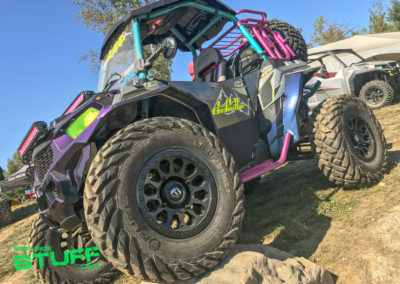 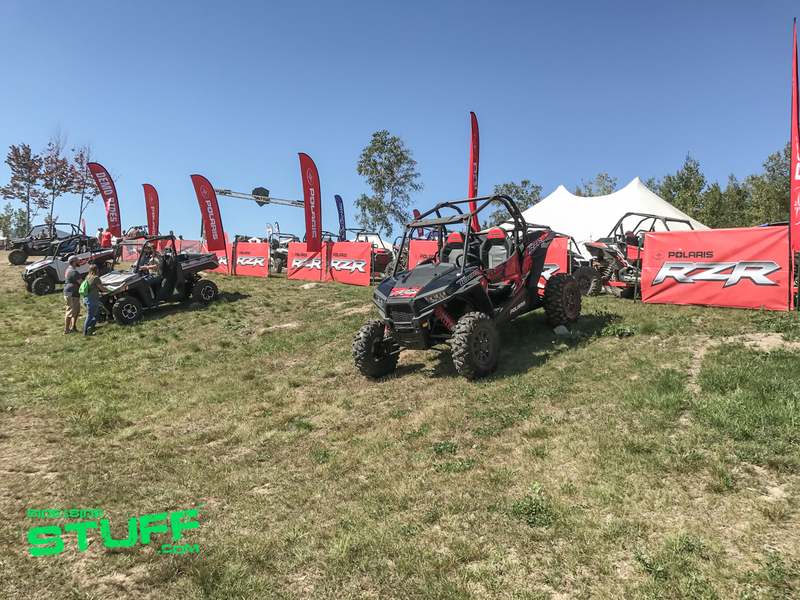 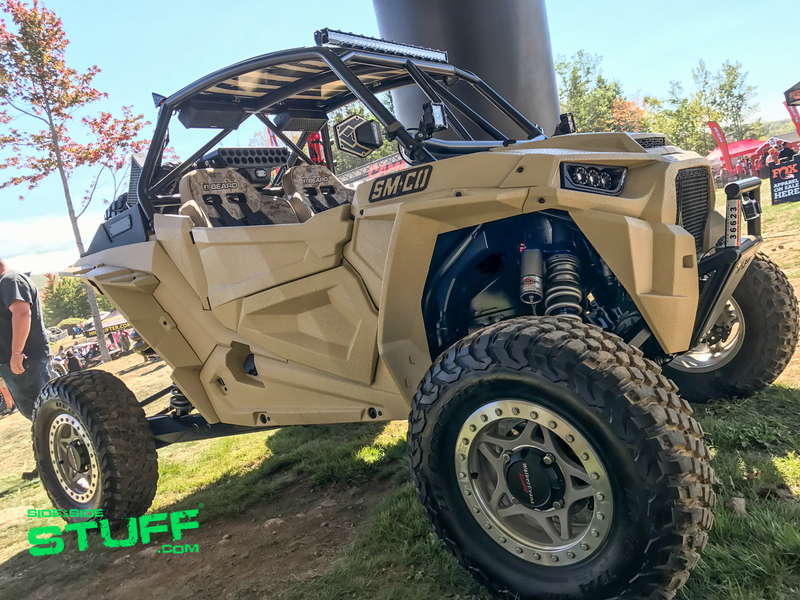 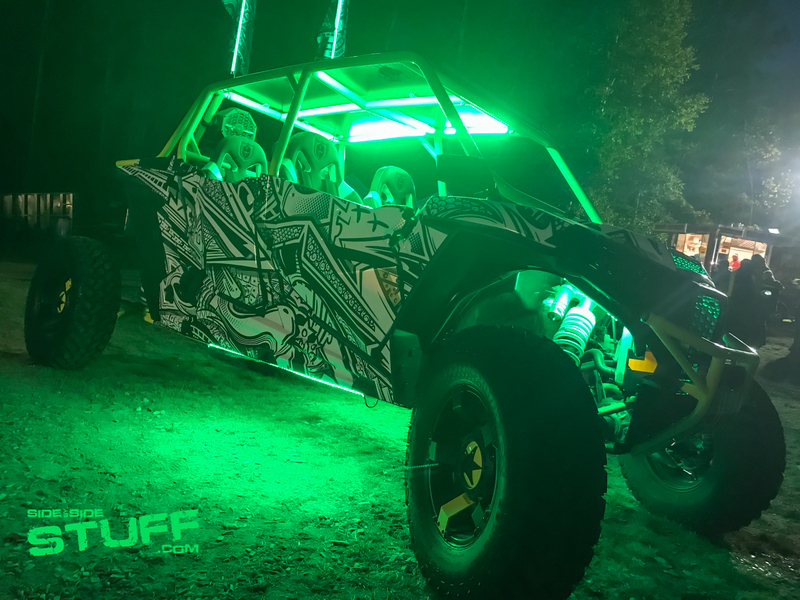 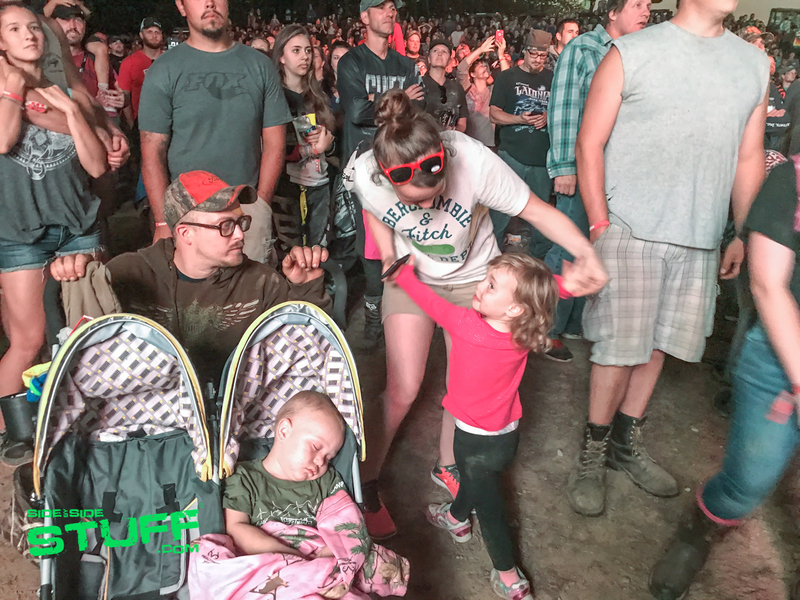 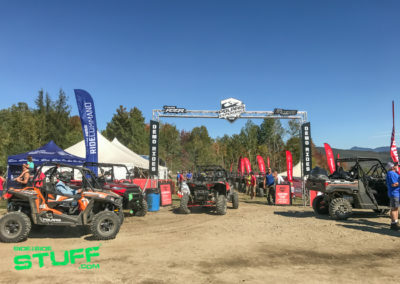 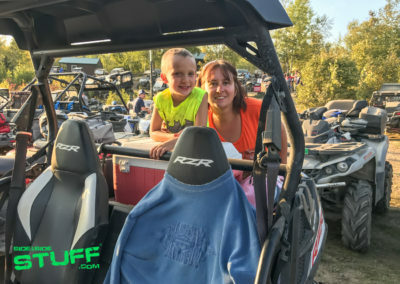 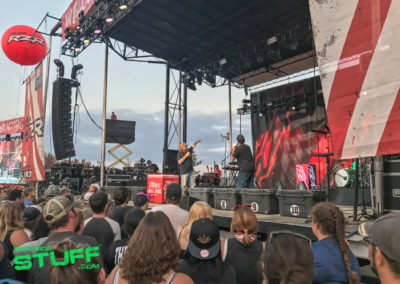 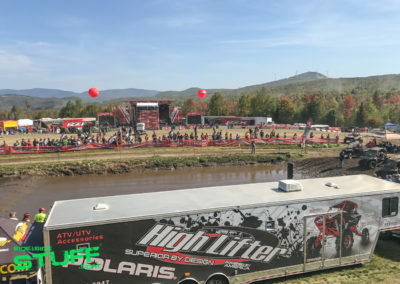 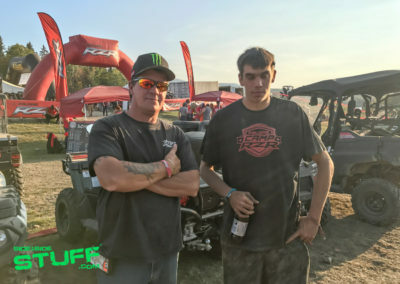 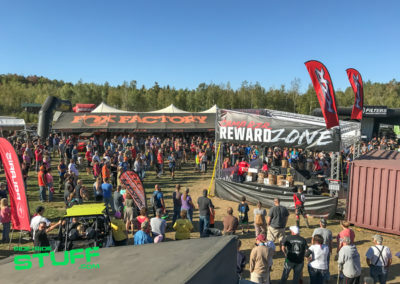 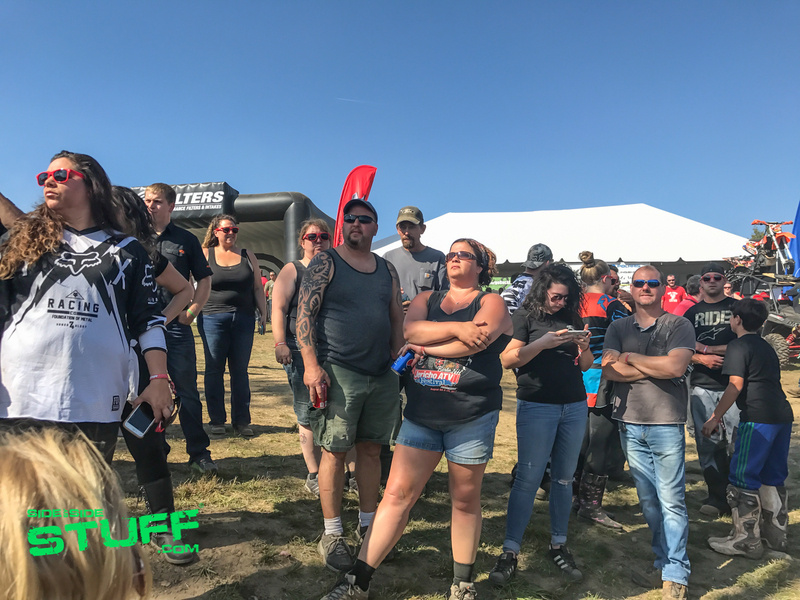 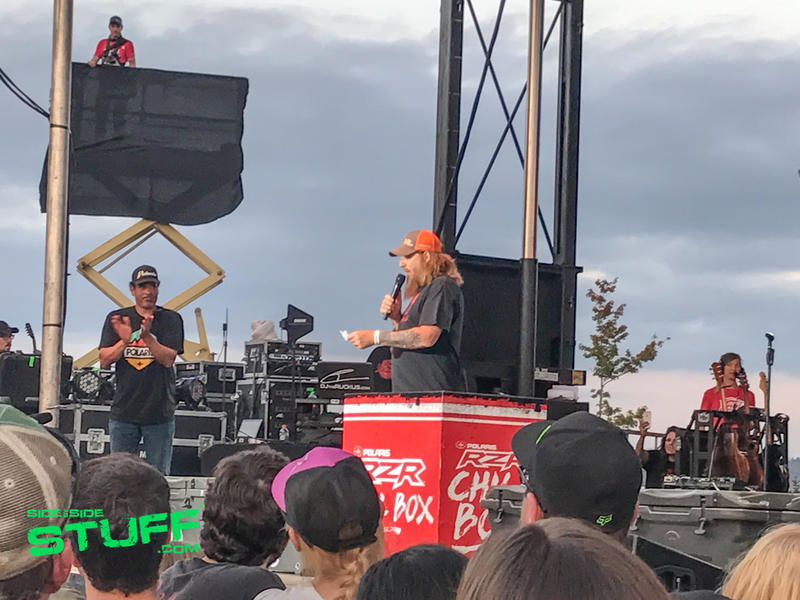 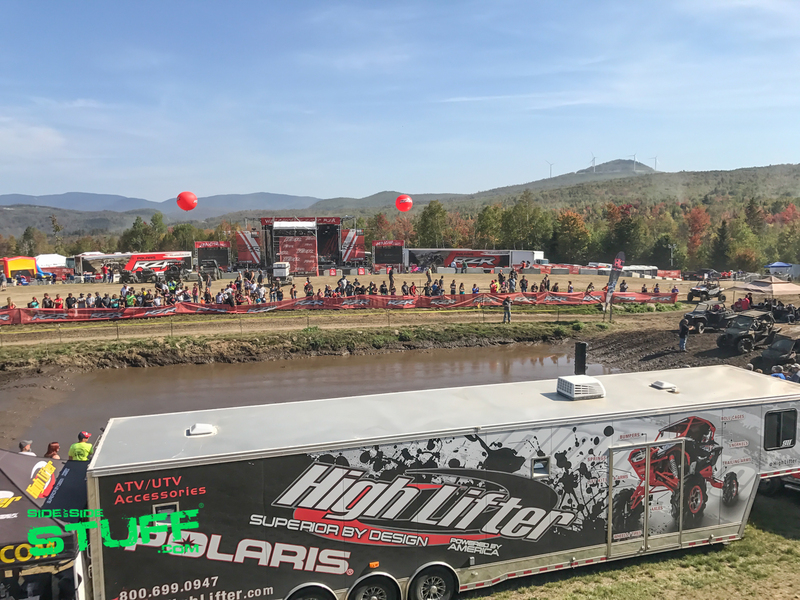 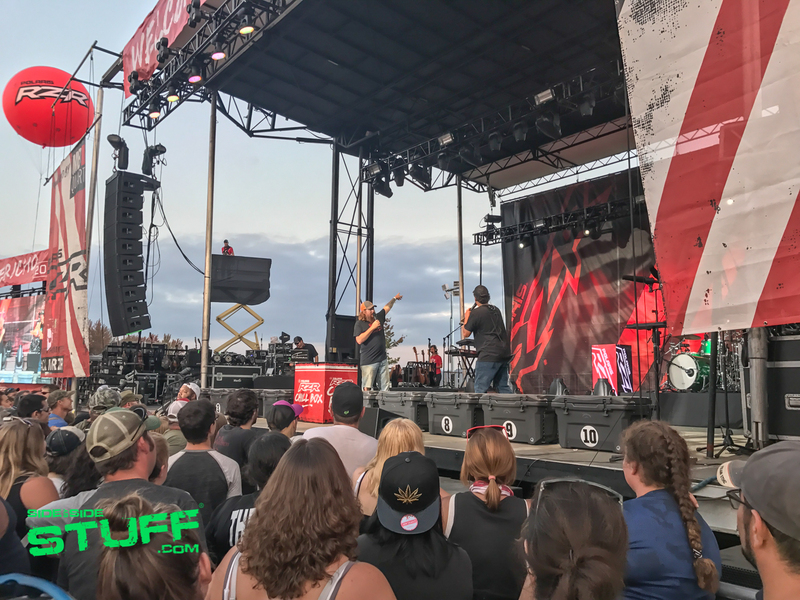 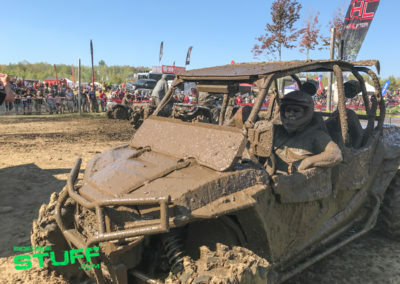 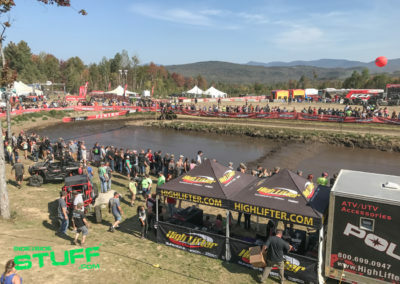 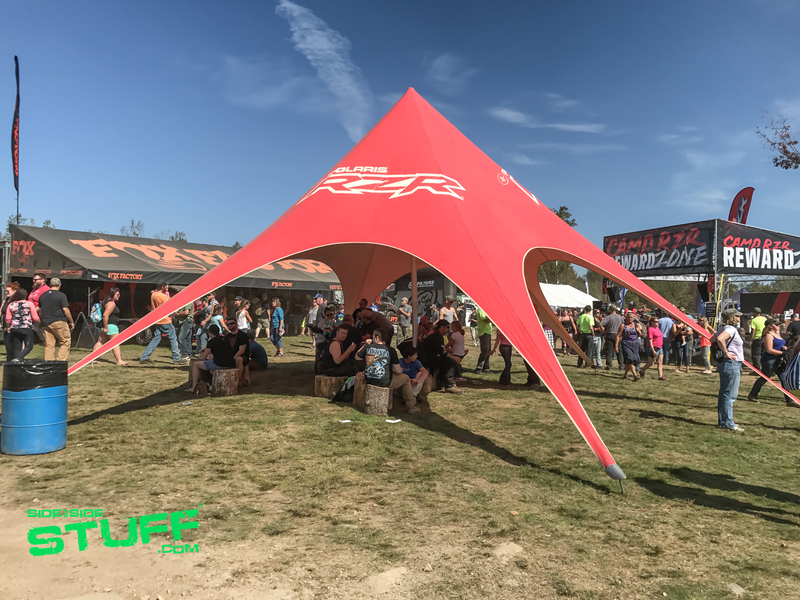 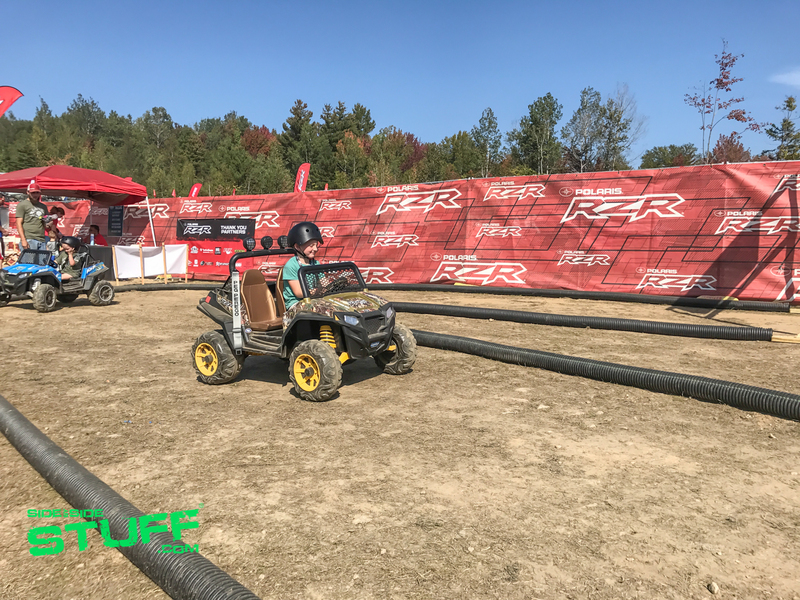 Not only did they cater to adults with activities like the Tales of the Trails booth to share your Camp RZR story and the Fox Proving Grounds Obstacle Course to put your UTV to the test, Polaris also set up a kids zone. 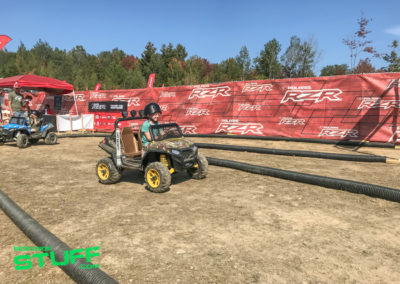 The kids zone included a course set up with electric kids “RZRs” for kids to ride, scheduled games to participate in and a bounce house to play in. 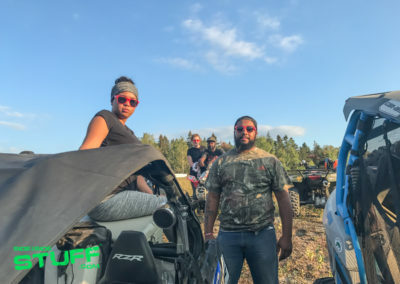 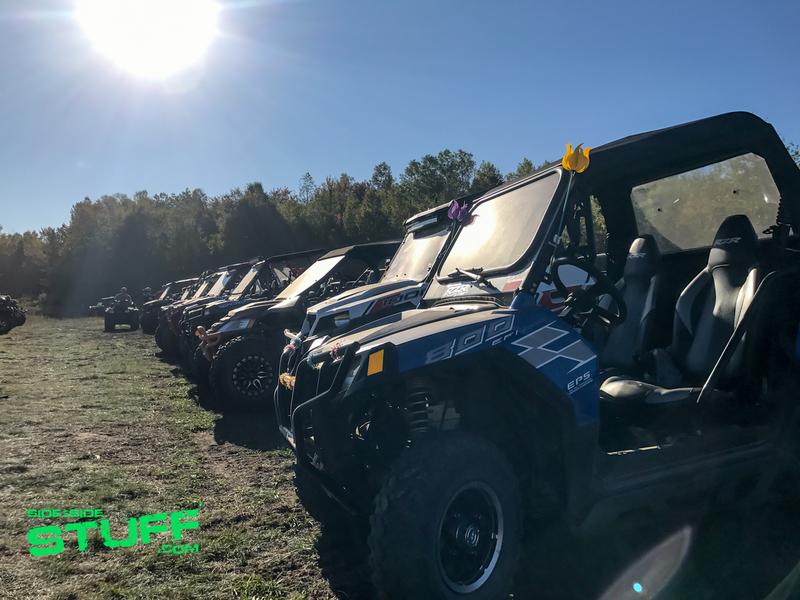 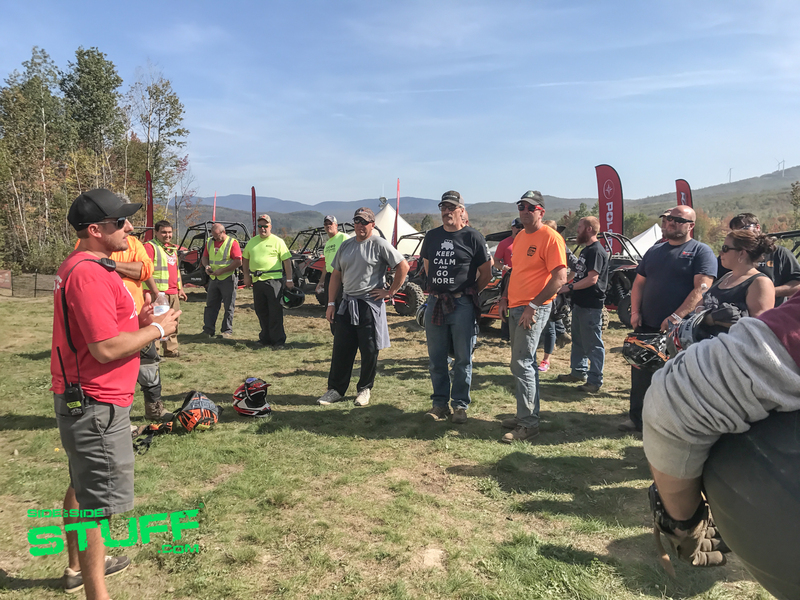 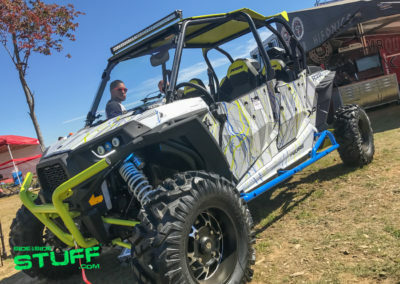 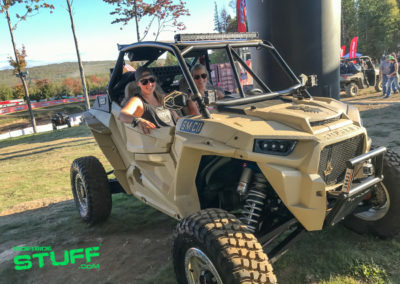 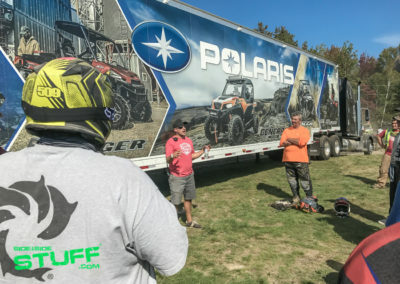 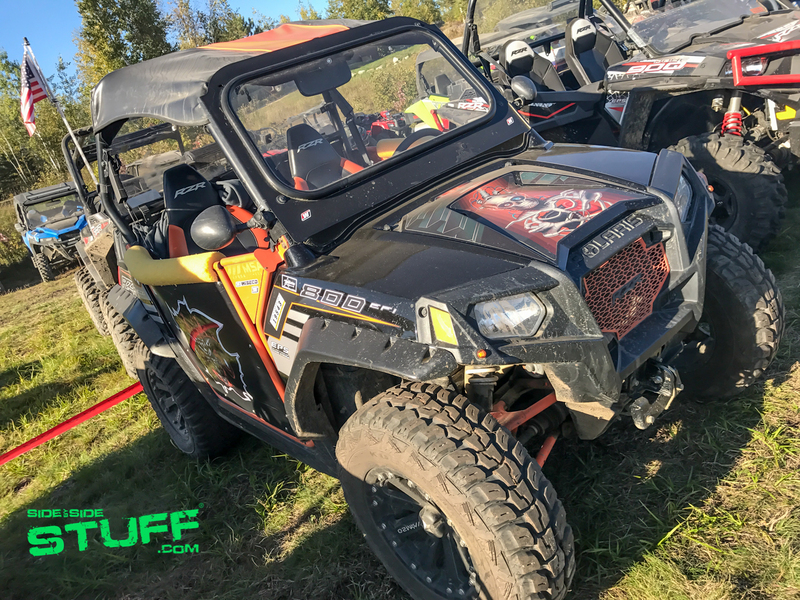 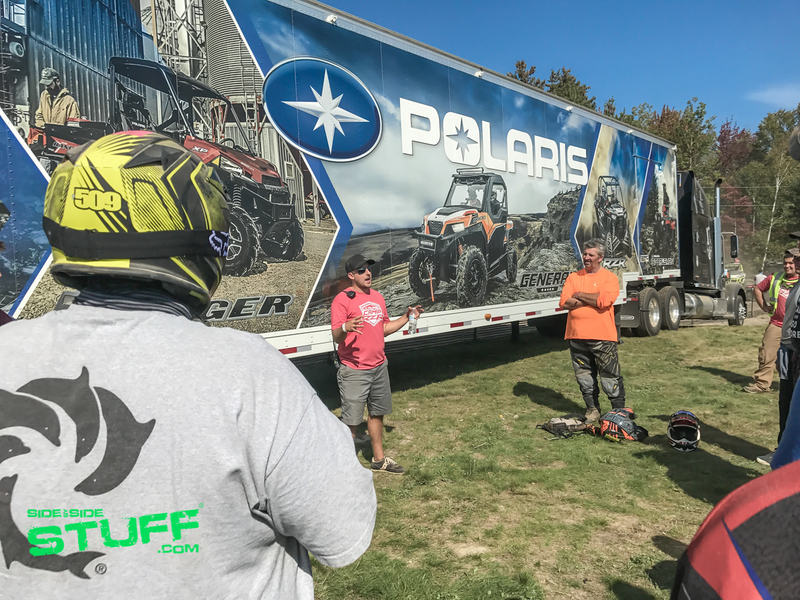 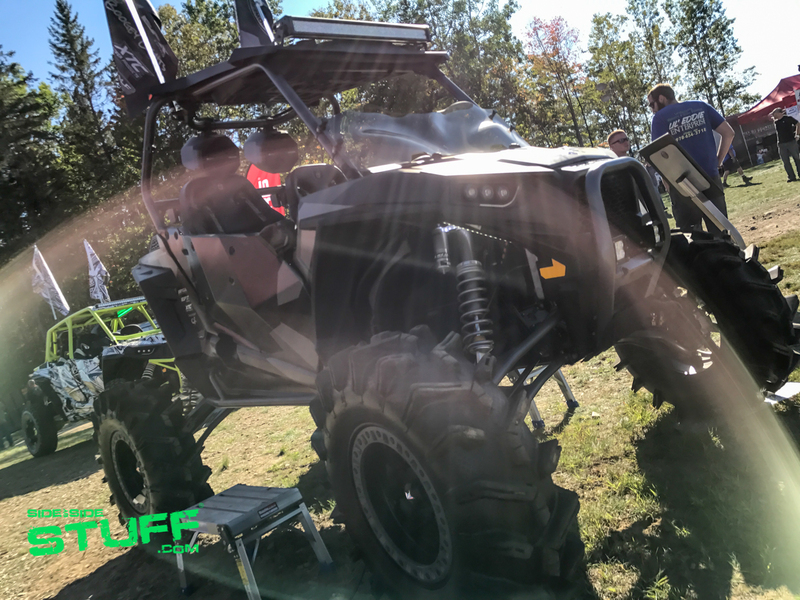 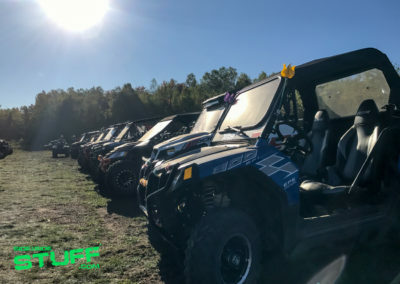 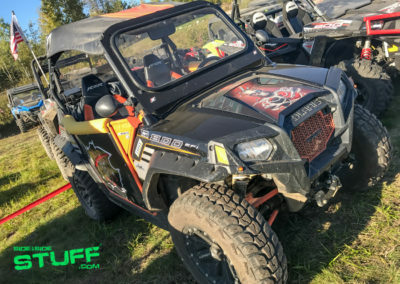 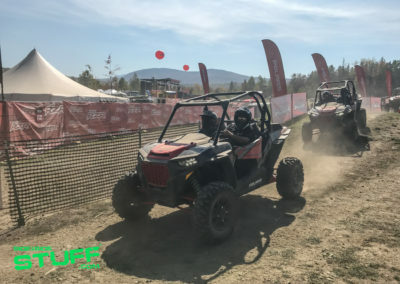 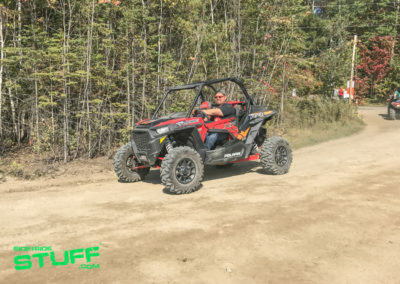 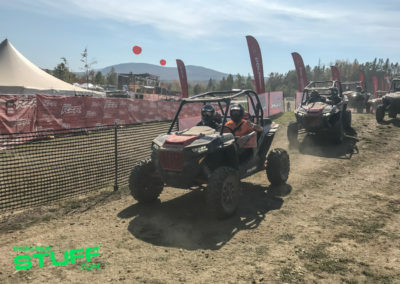 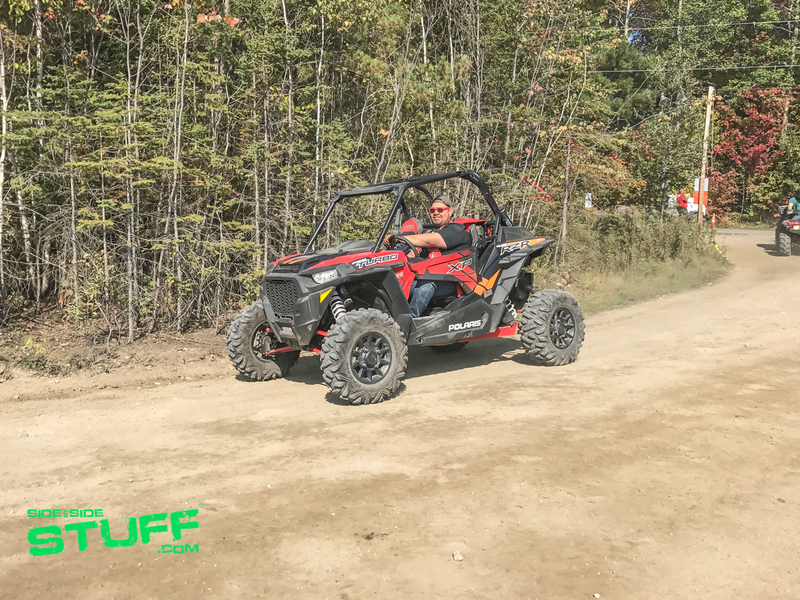 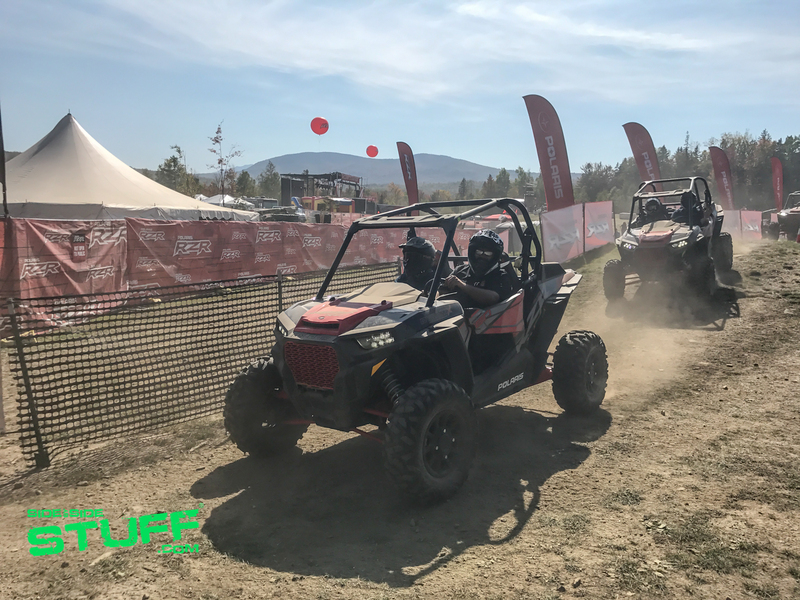 Attendees also had the opportunity to test ride a new machine, Polaris’ Experience Tour was open with a fleet of side by sides to test ride including the Polaris General and the new RZR XP Turbo Dynamix Edition. 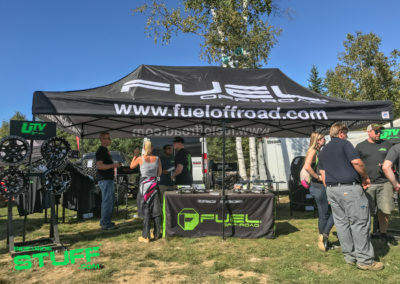 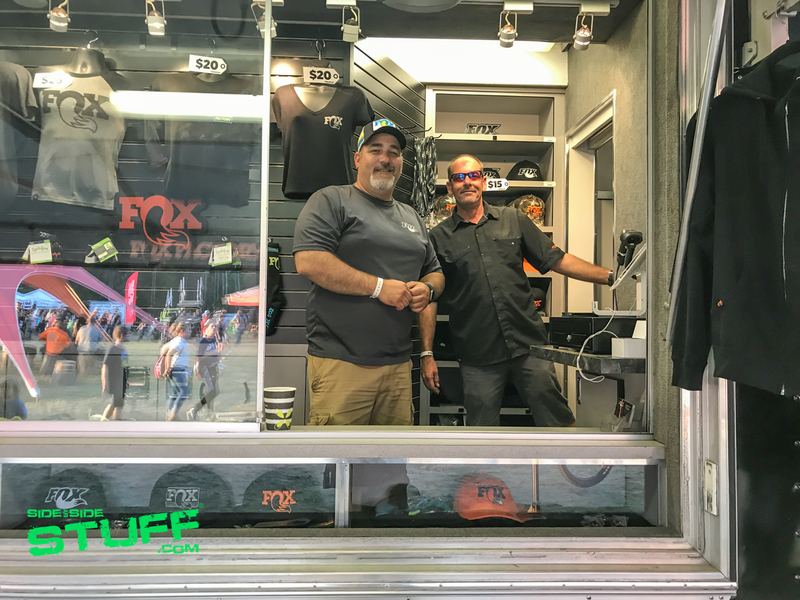 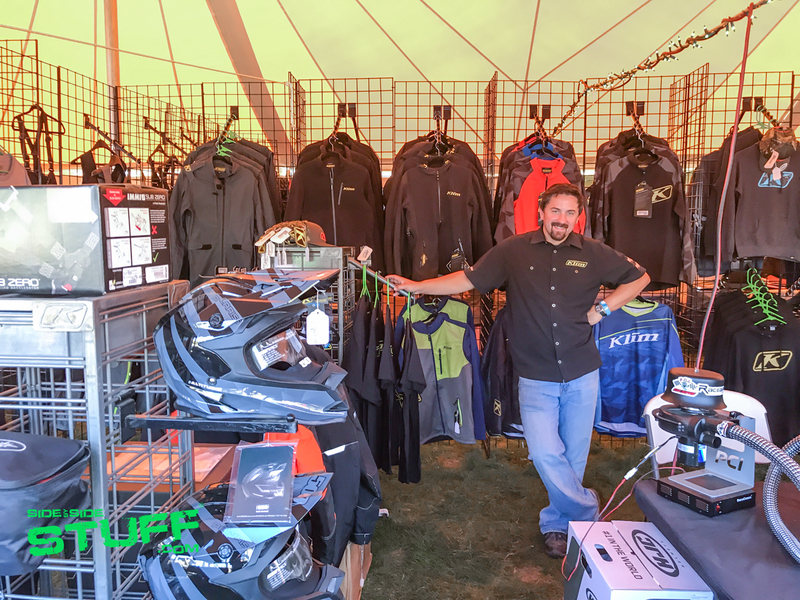 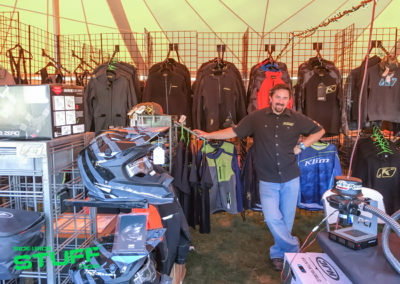 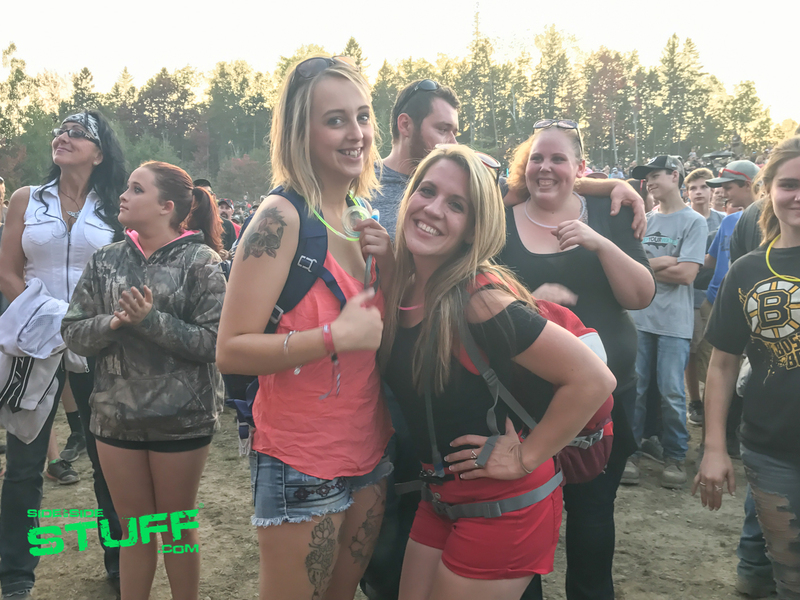 There were plenty of food vendors to get your grub on and aftermarket accessory companies so you could do a little shopping and take a look at some cool products. 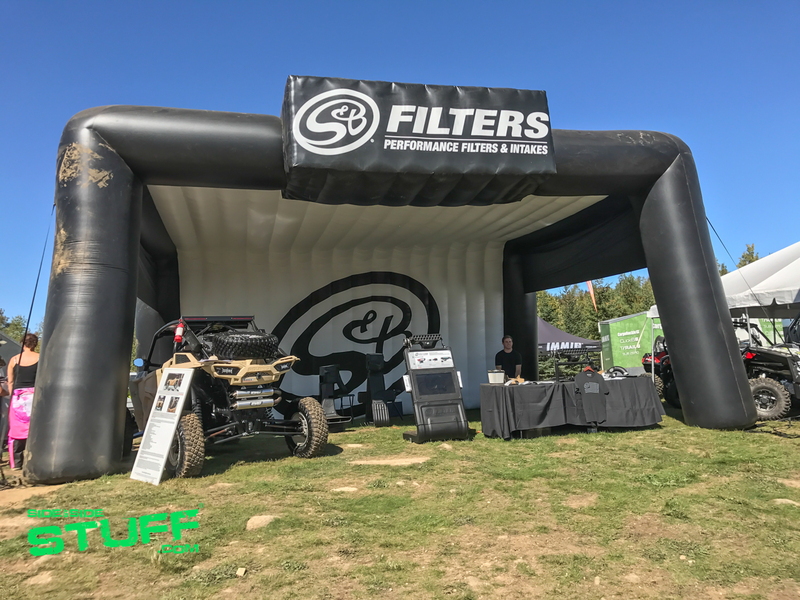 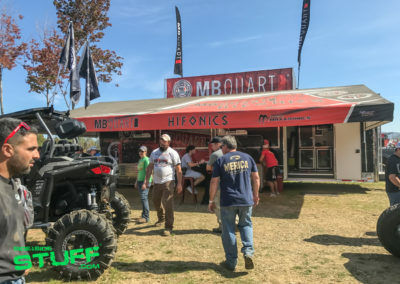 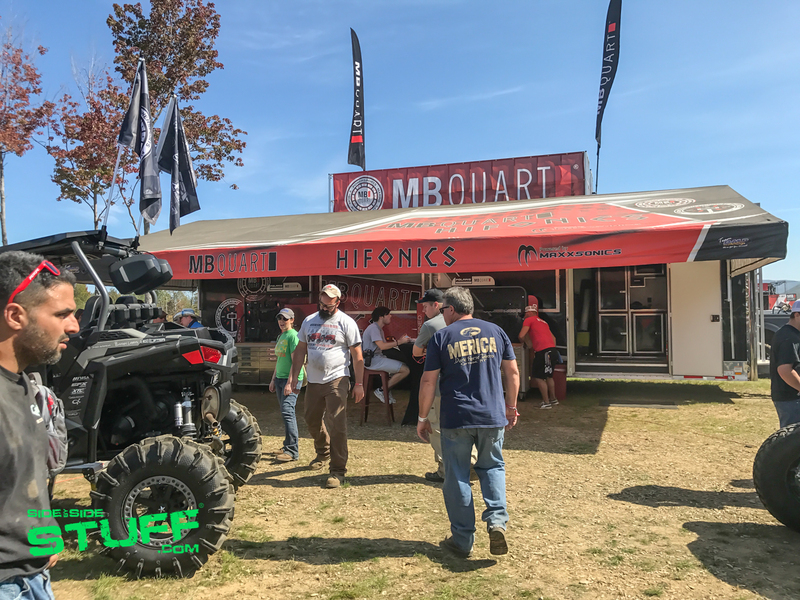 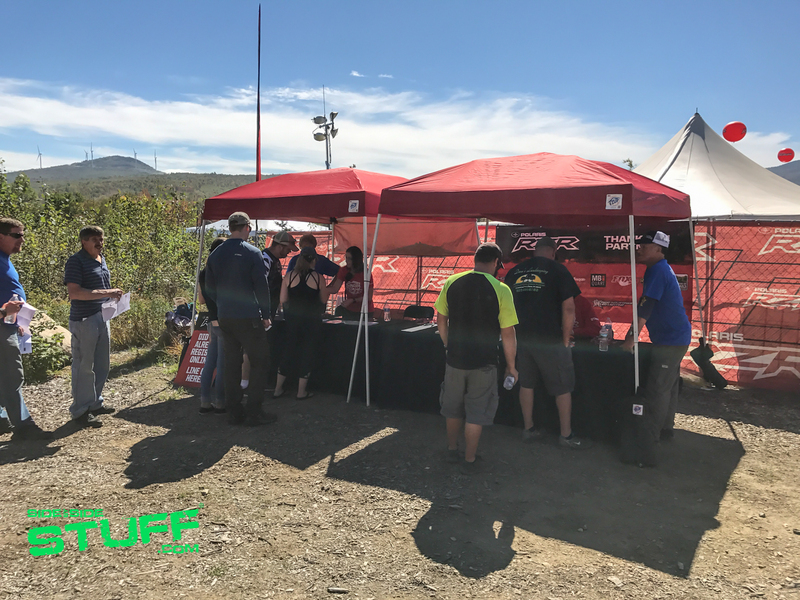 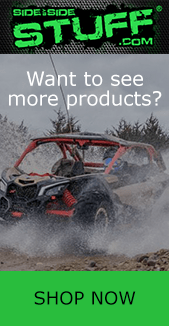 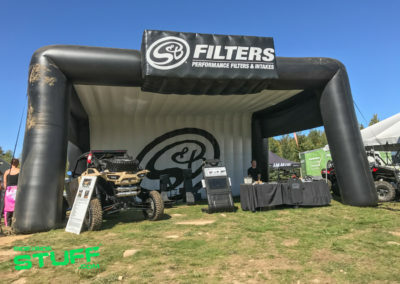 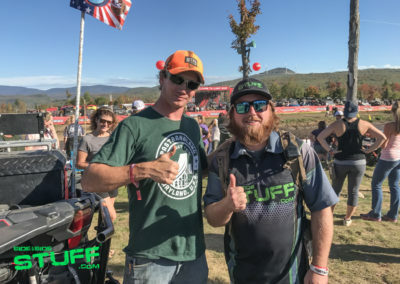 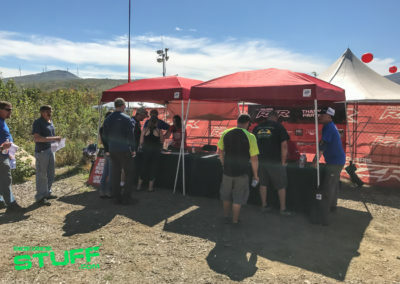 MB Quart, S&B Filters and Fuel Off-Road, just to name a few, were hanging out, enjoying the weekend, shaking hands with fans and answering any product questions. 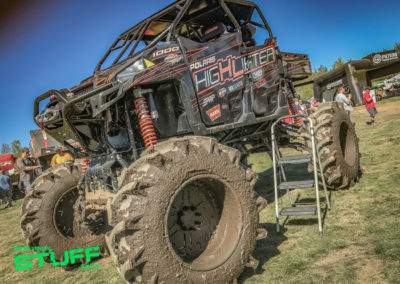 High Lifter Products was there too, they brought the fun with the High Lifter Mud Grudge. 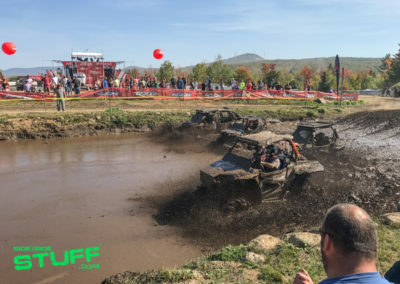 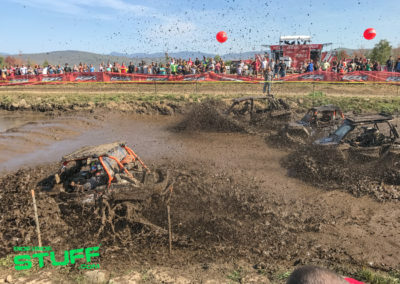 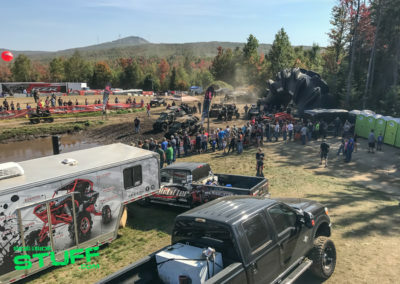 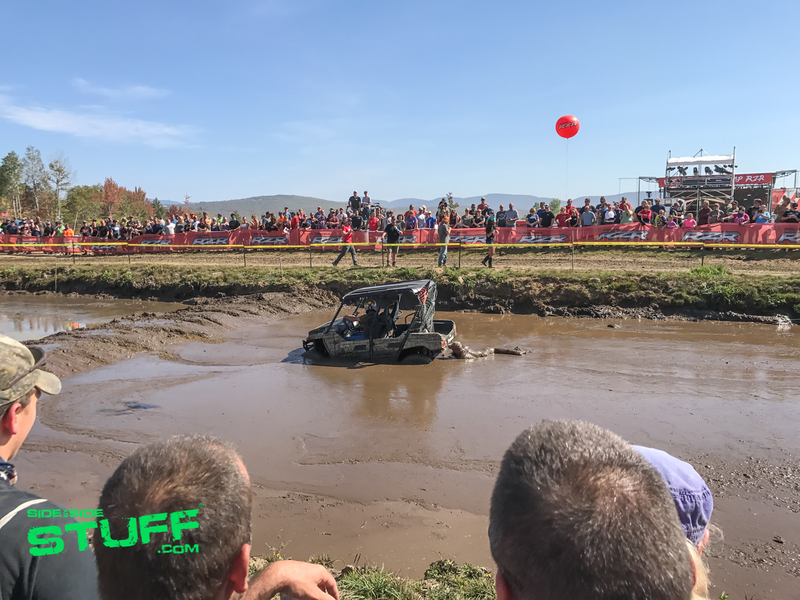 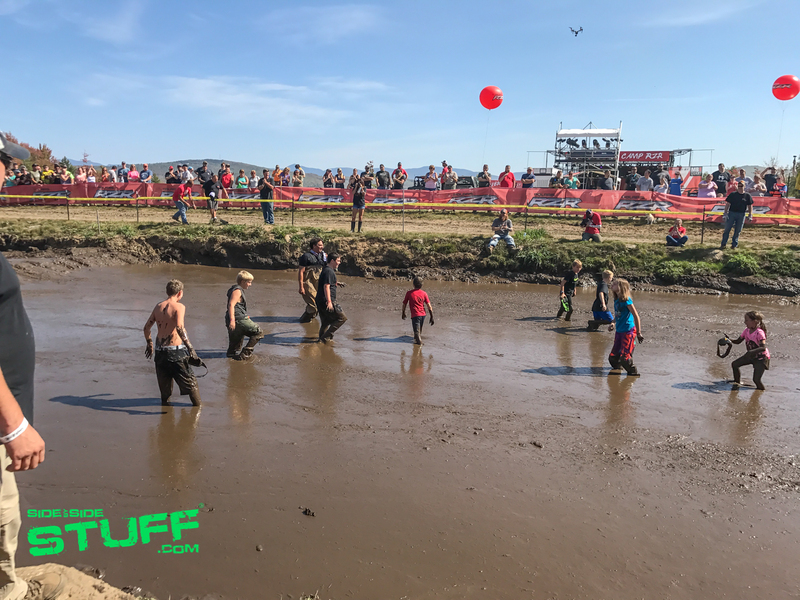 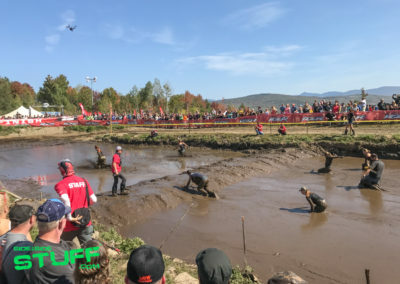 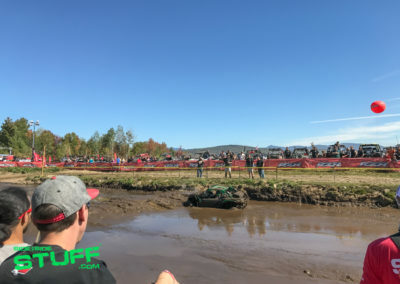 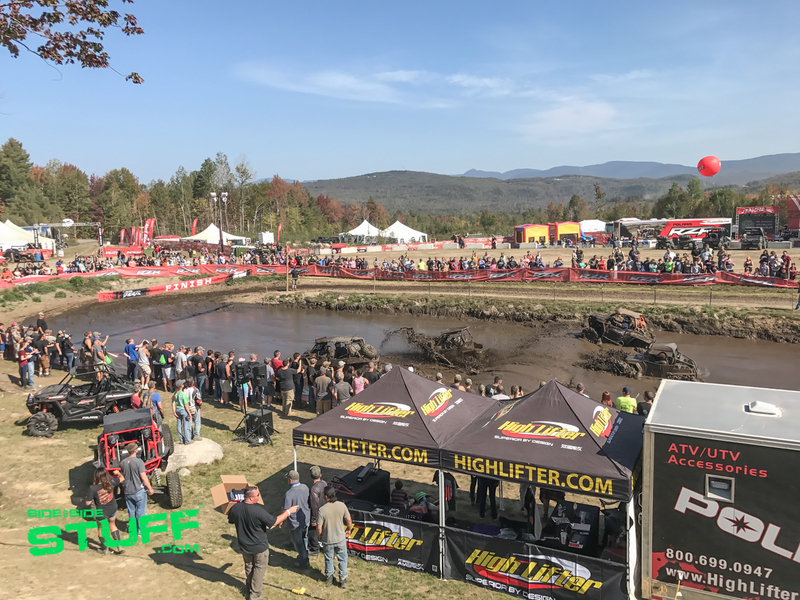 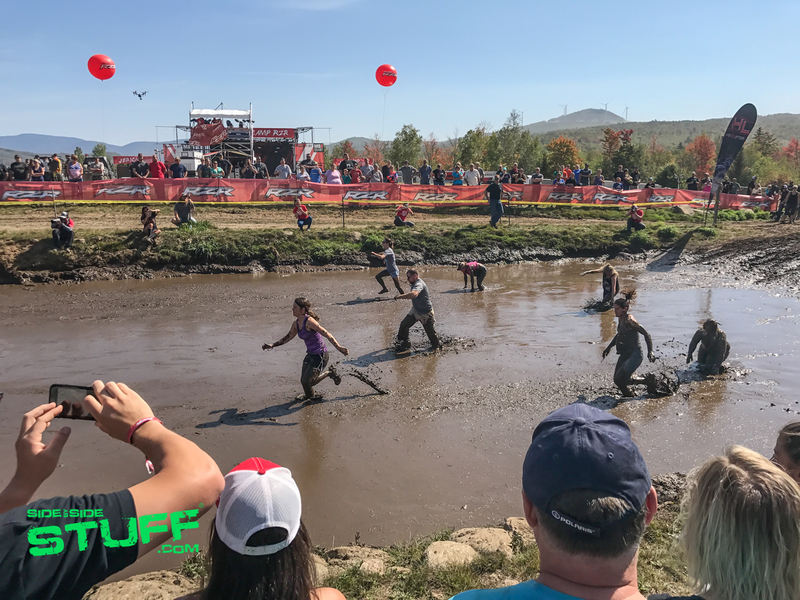 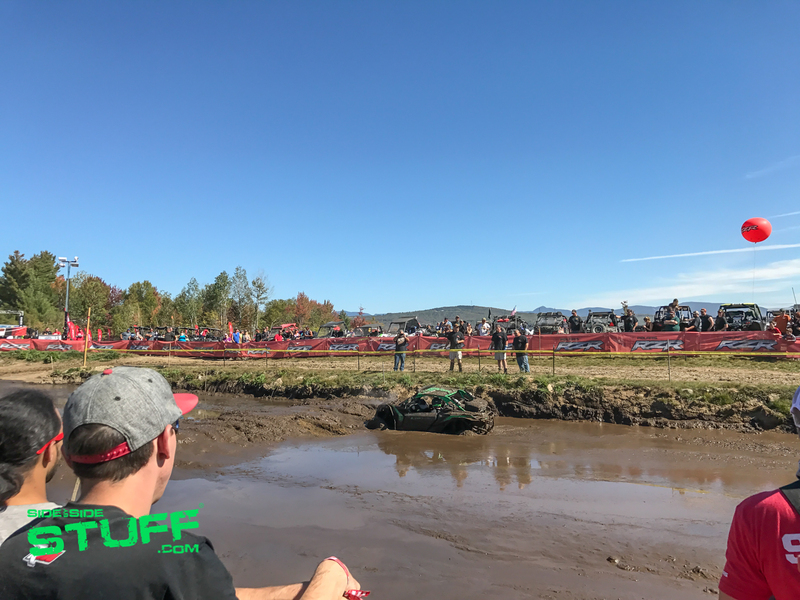 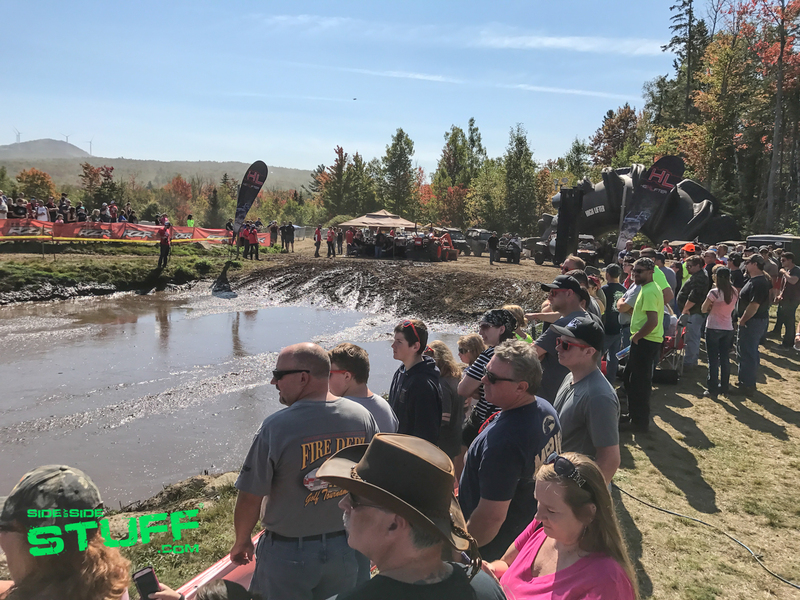 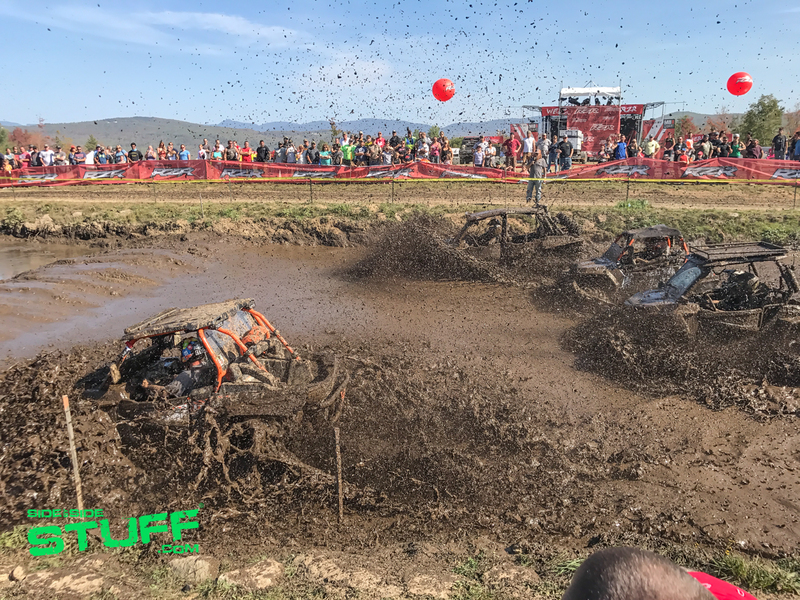 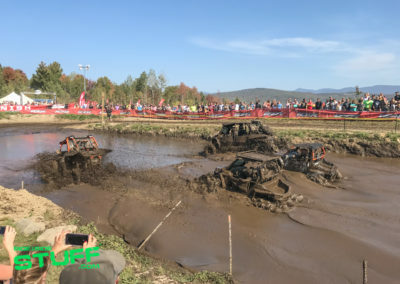 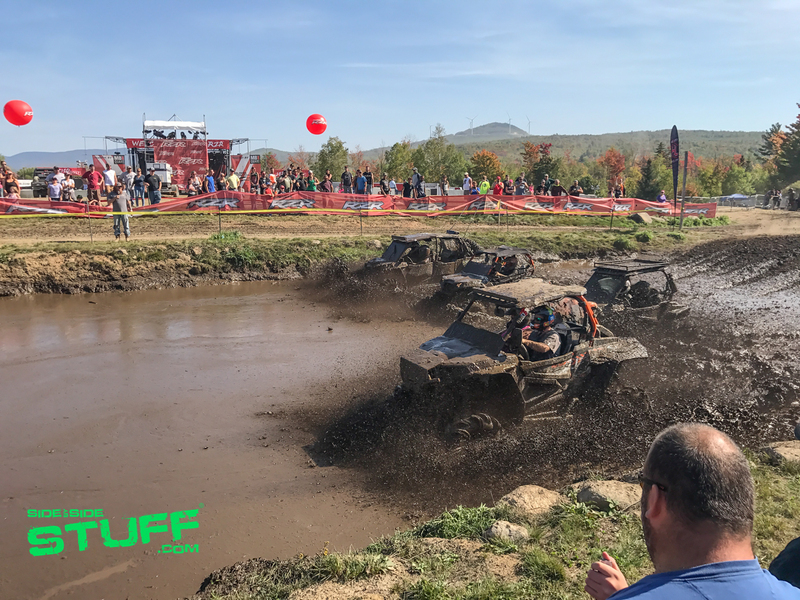 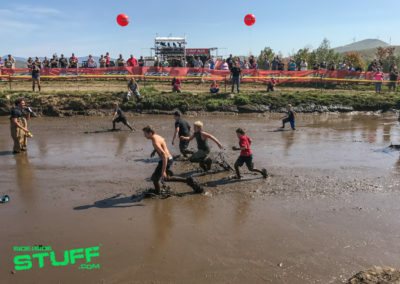 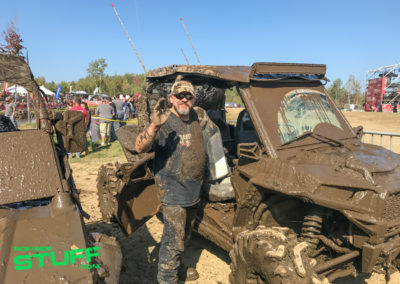 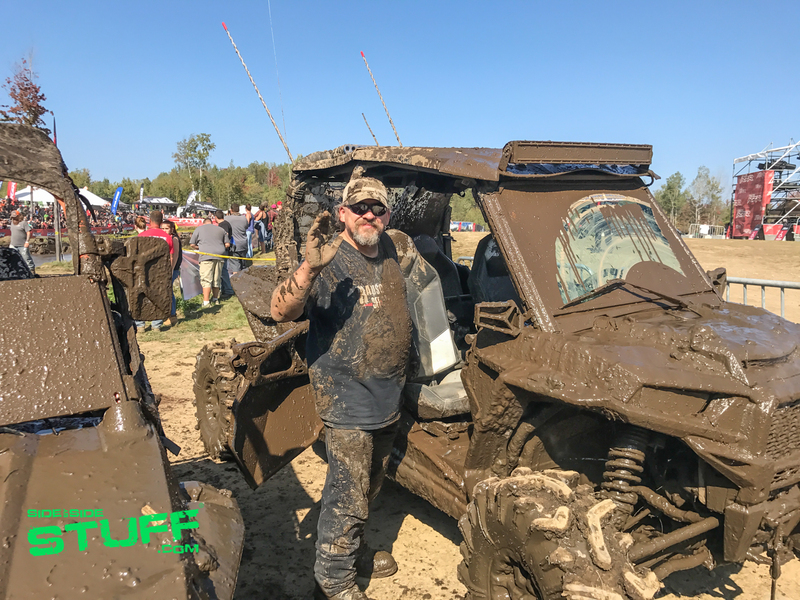 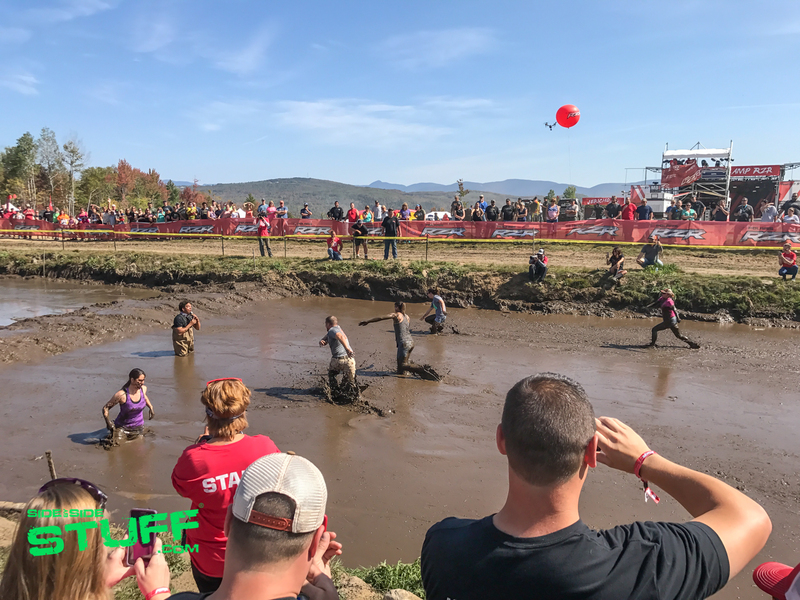 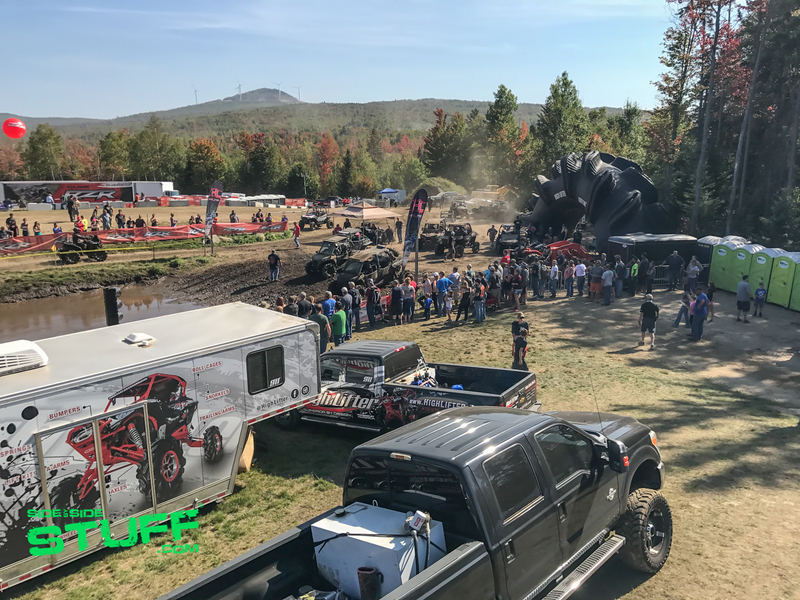 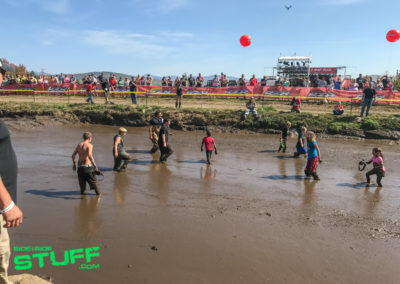 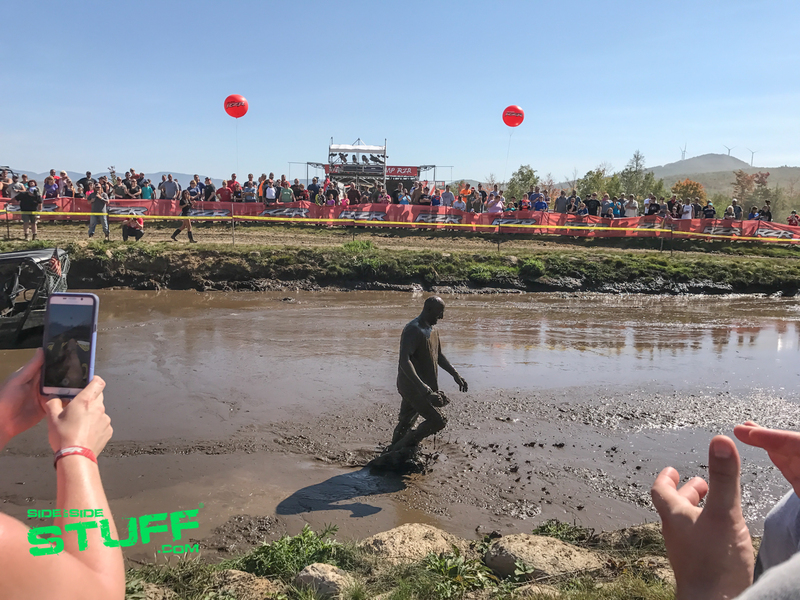 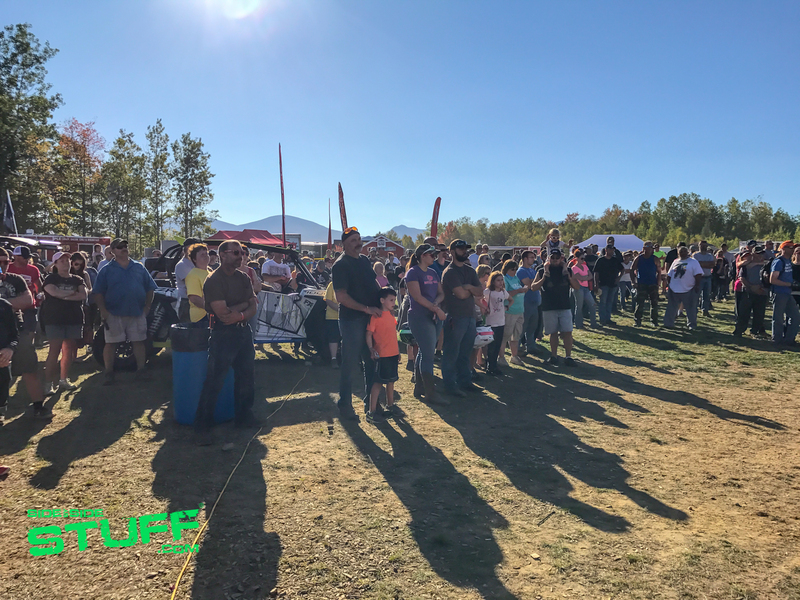 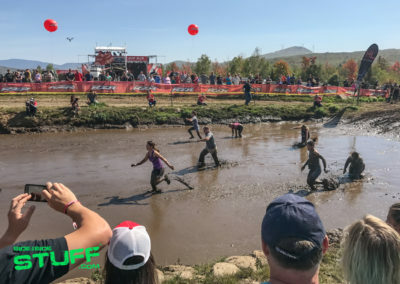 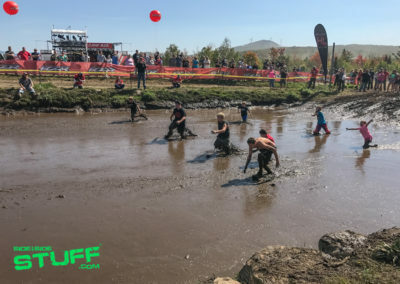 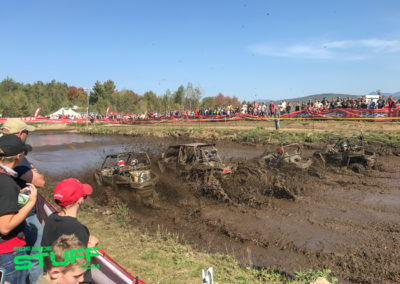 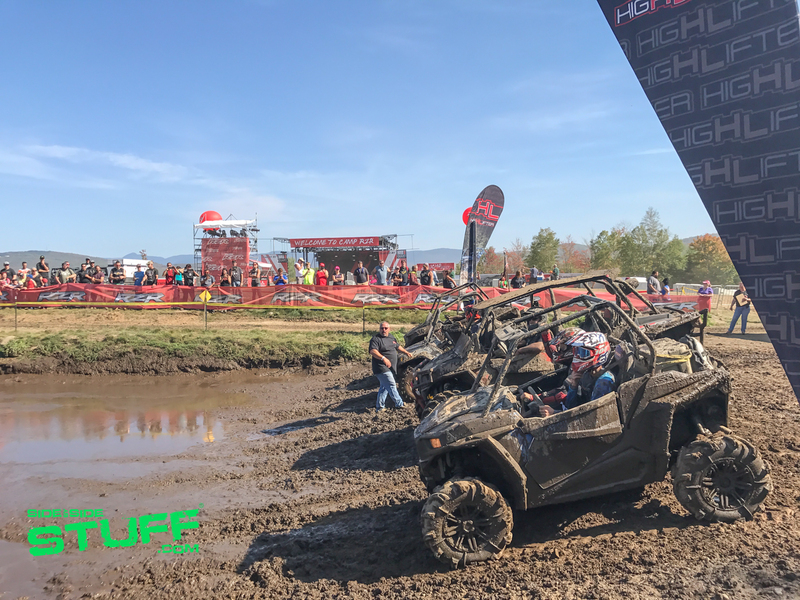 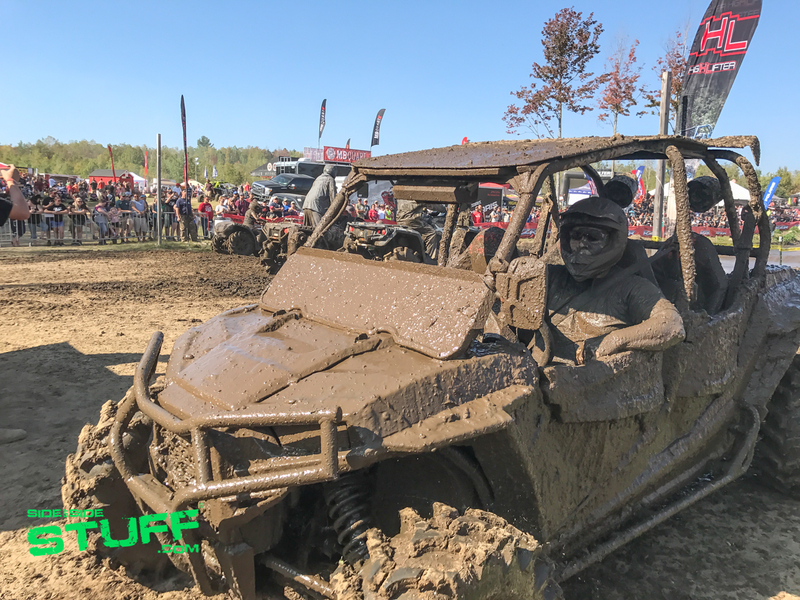 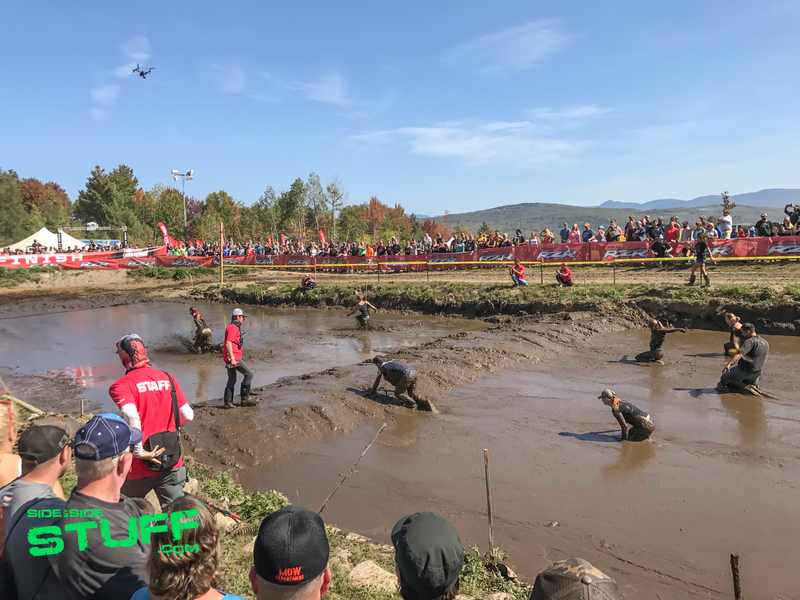 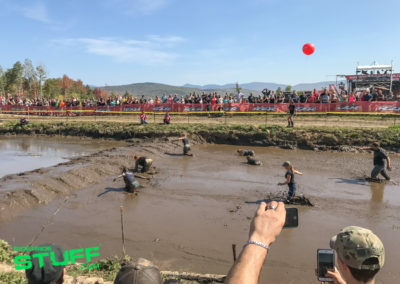 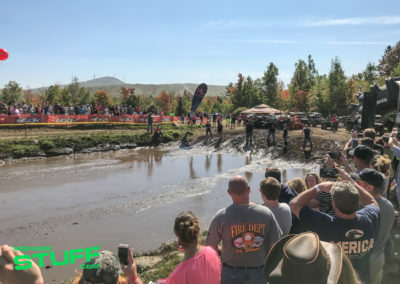 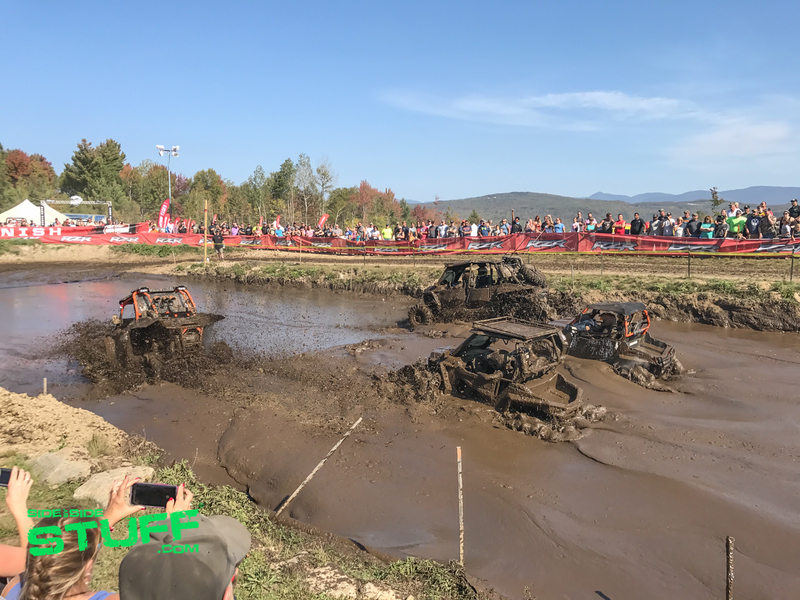 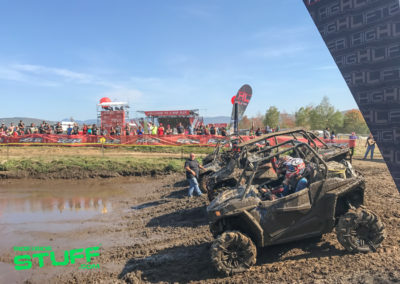 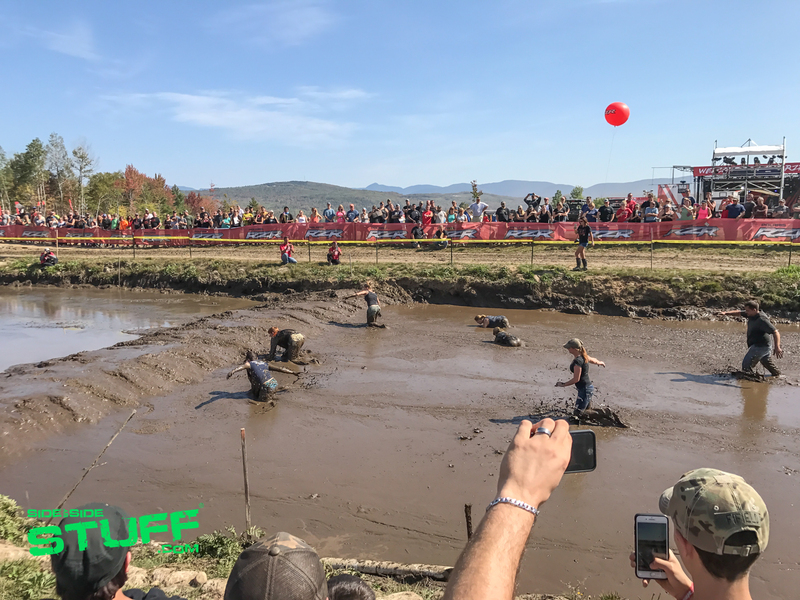 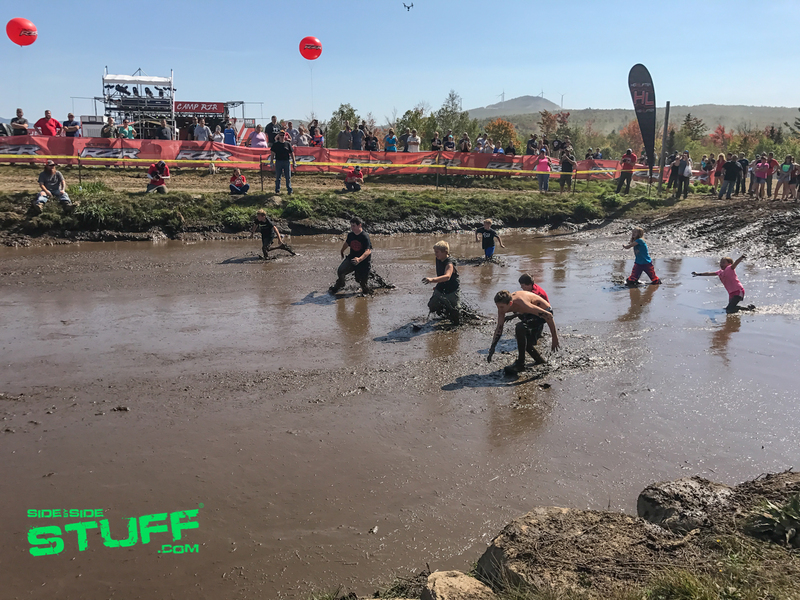 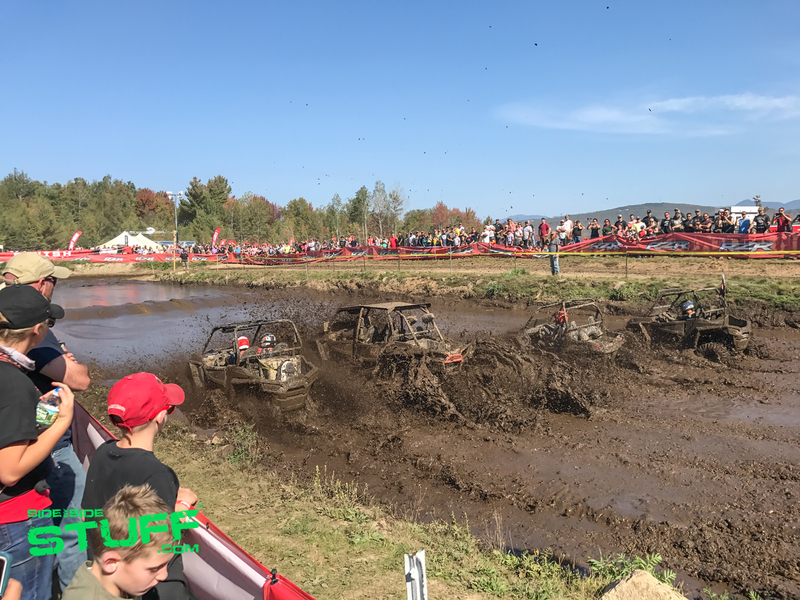 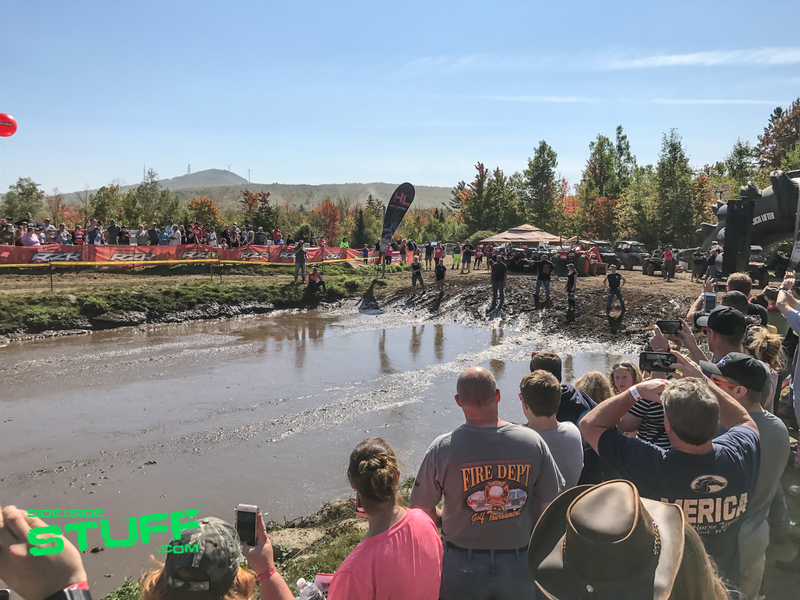 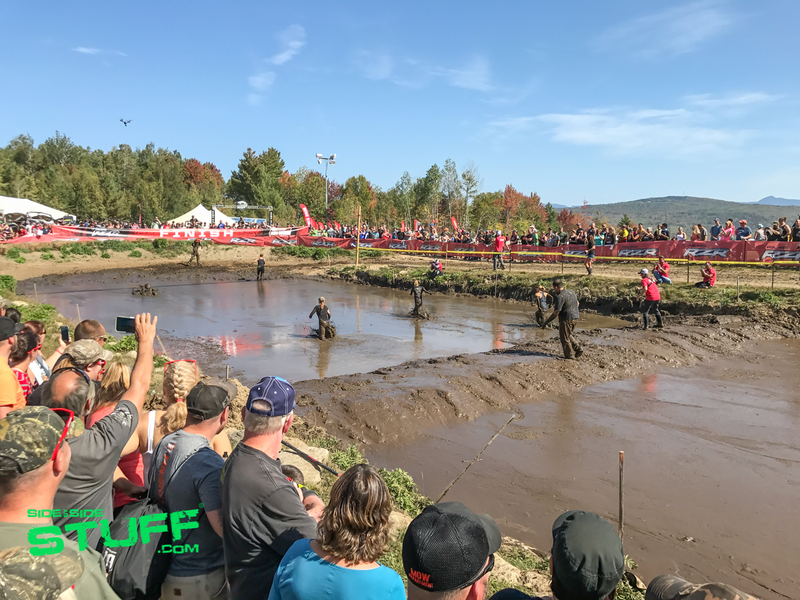 One of the biggest attractions at the event, attendees had an opportunity to race their machines through the mud in competition for prizes. 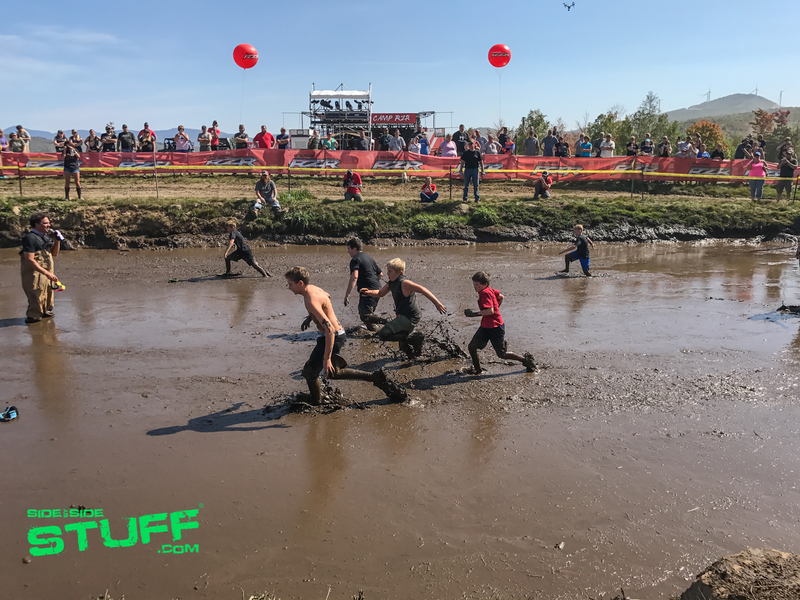 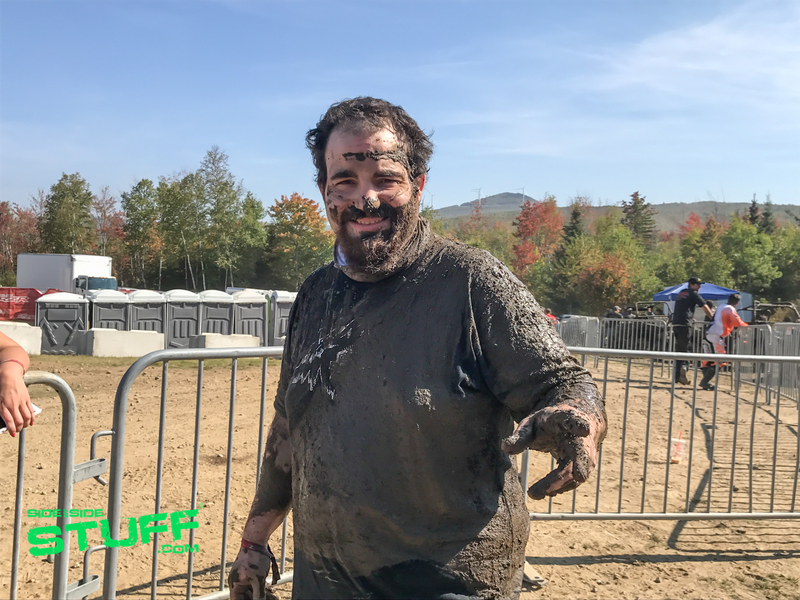 There were several foot races through the mud as well, many attendees weren’t afraid to volunteer to get muddy for a chance to win a prize. 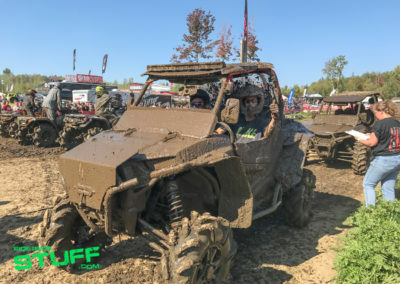 High Lifter also brought out their latest UTV build, Chief, a High Lifter Edition Polaris Ranger 1000 decked out and lifted way up for extreme mud bogging. 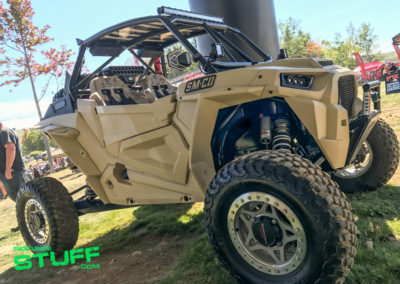 It was definitely a cool and unique build, CLICK HERE to view the walk around video. 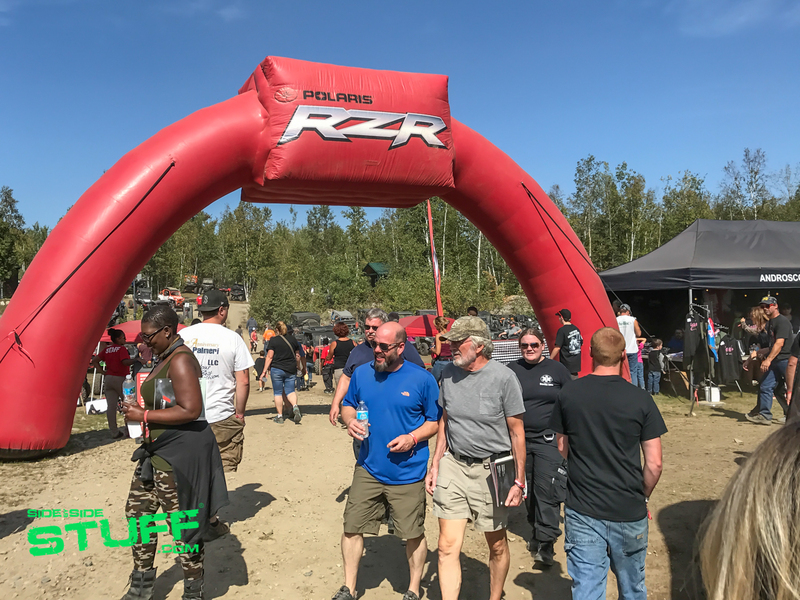 Prizes, prizes, prizes… Not only did Polaris give out many prizes each day they also gave away not one, not two, but three new Polaris RZRs. 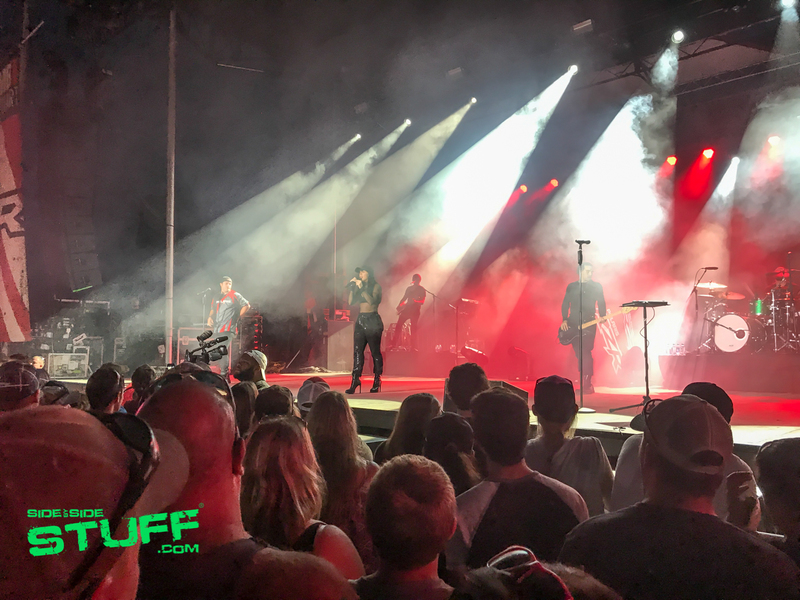 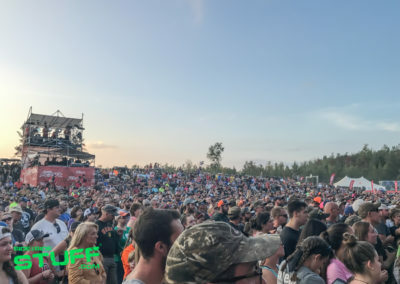 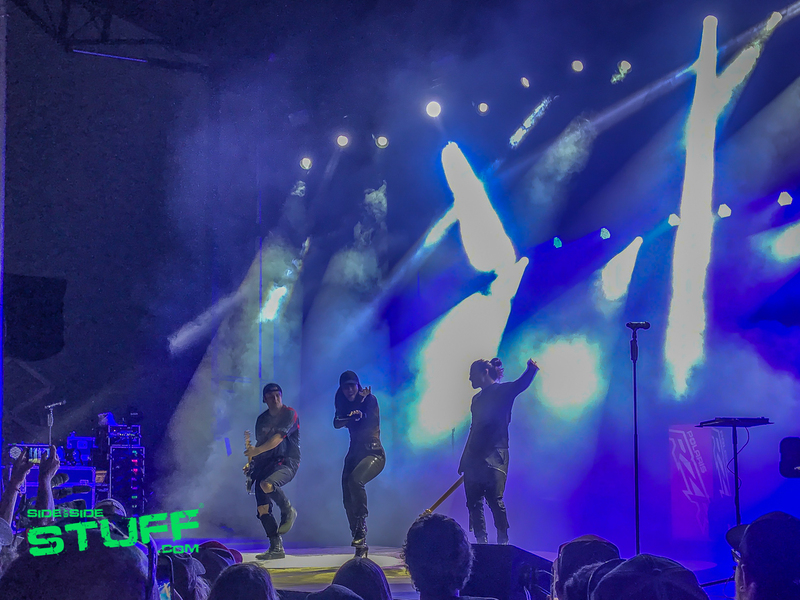 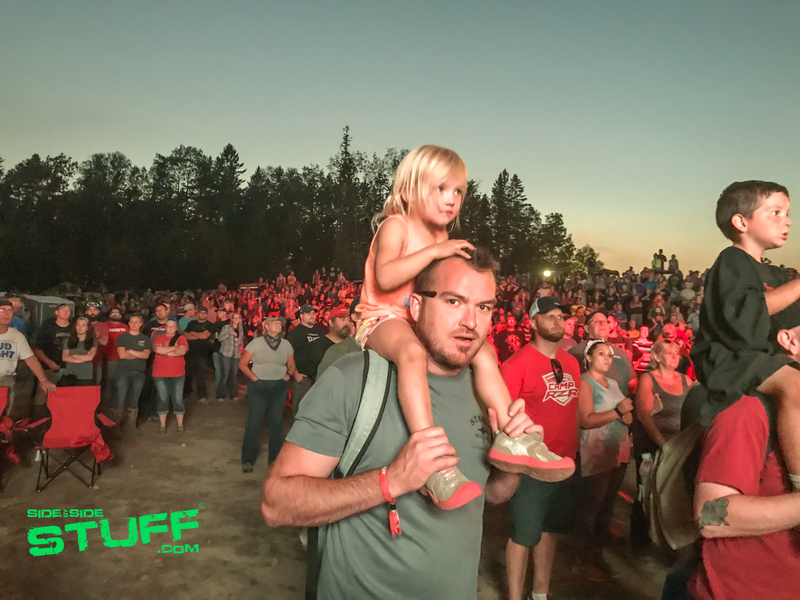 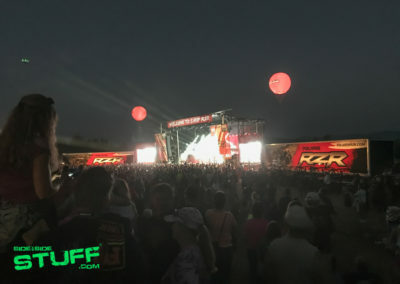 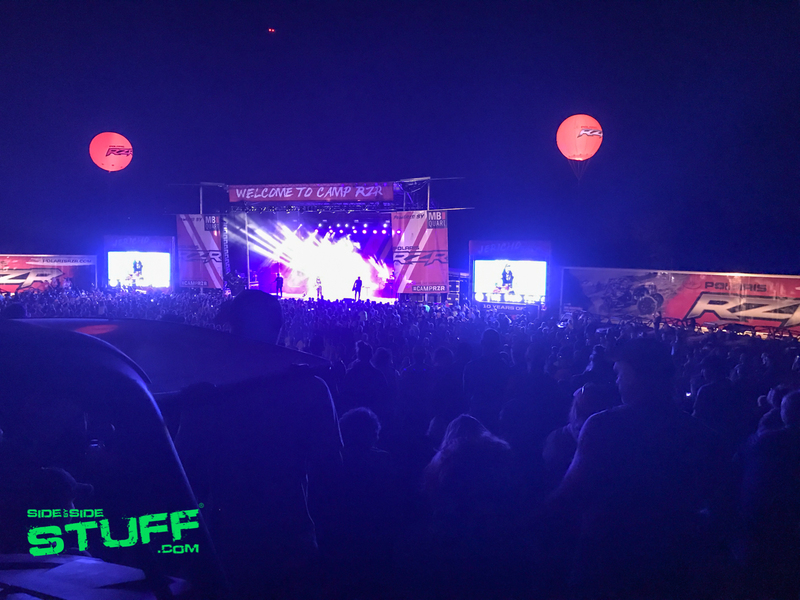 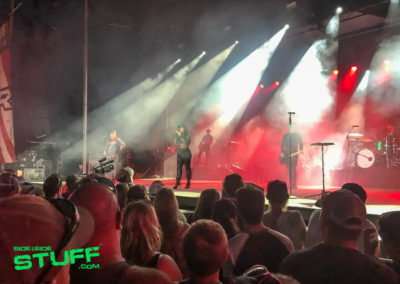 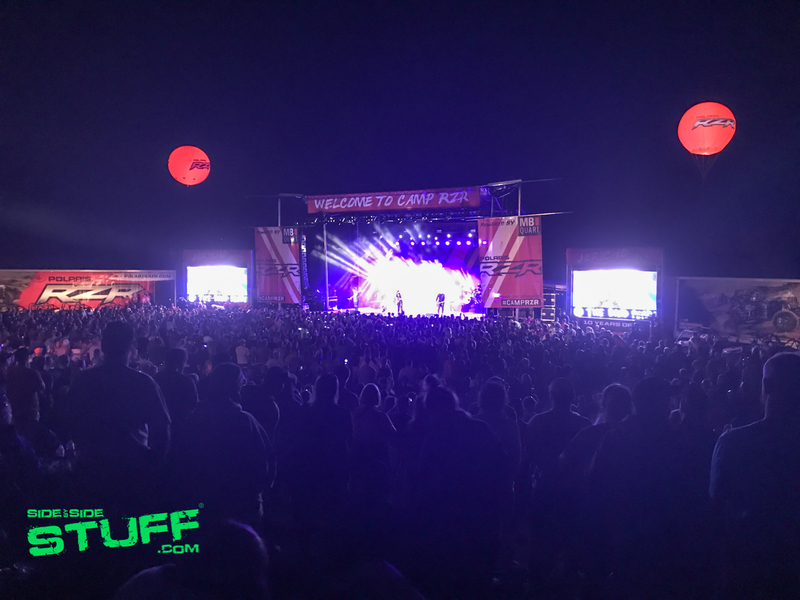 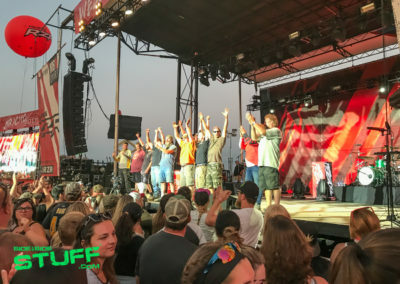 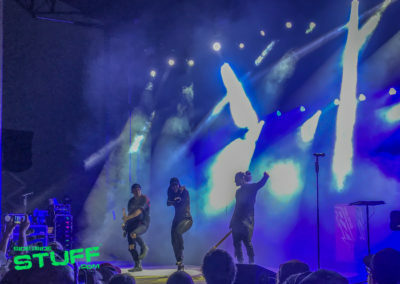 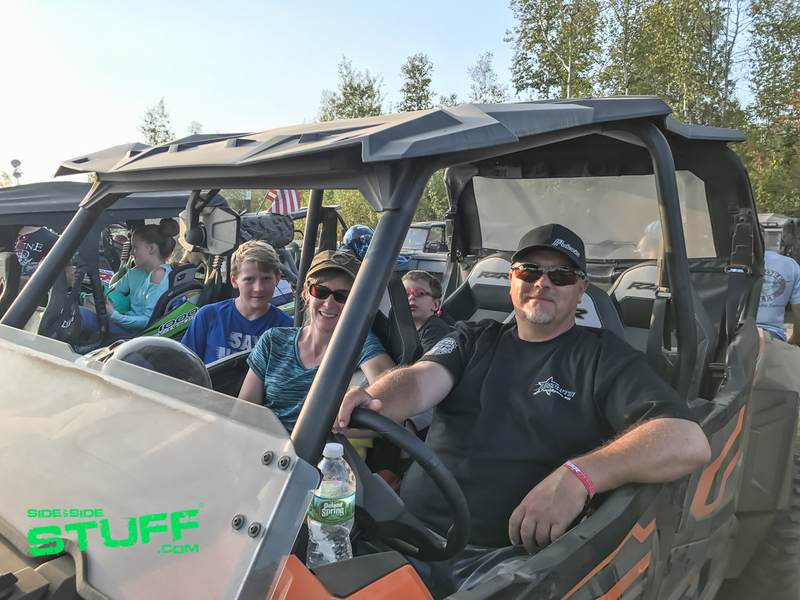 Each evening ended with a bang as well, including a sun set ride that featured a great view and s’mores on Friday and a live concert by The Band Perry followed by a firework show on Saturday. 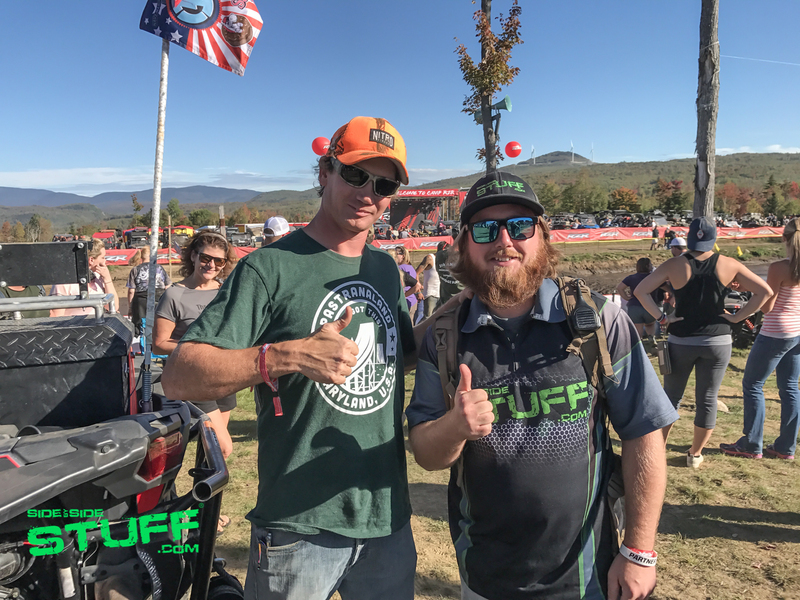 Industry celebrity Hubert Rowland, aka “Everyone’s Favorite RedNek”, was hanging out this year. 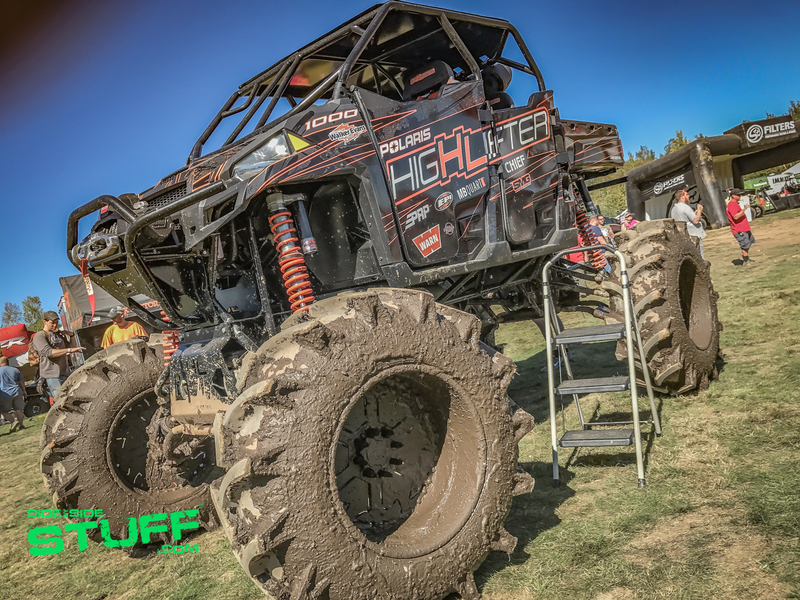 Hubert gained his fame from MTV’s Nitro Circus, Hubert is the engineering mastermind behind a majority of the stunts performed on the show. 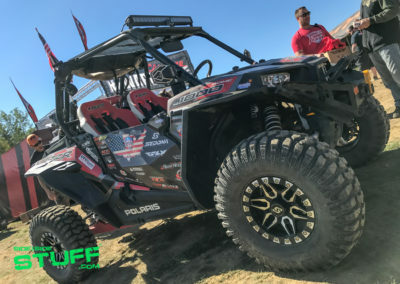 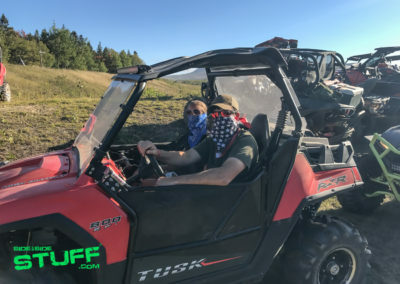 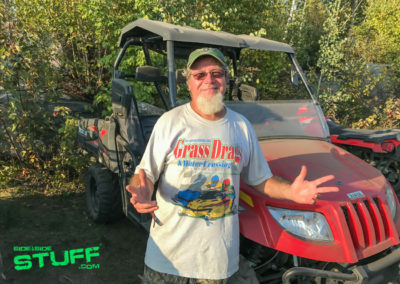 Recently Hubert and his crew took a 5,000 mile journey across America in his Polaris RZR making history to be the first to drive coast to coast in a UTV. 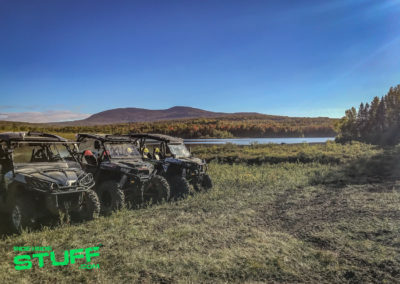 Jericho Mountain State Park boasts 60 + miles of trails to ride, but since the explosive growth of the UTV industry local OHRV clubs and organizations have successfully opened connecting trails to nearby existing trail systems; now from the park you can ride hundreds of miles to several surrounding towns and states ( yes, ride to surrounding states ). 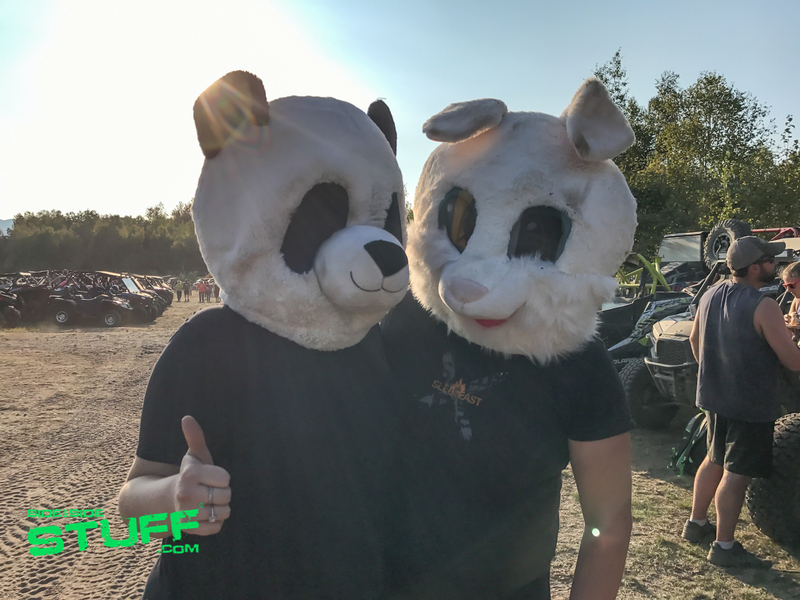 The city of Berlin is very OHV friendly, at first camping seemed a little scarce at this event until we realized many locals rent out campsites at their homesteads. 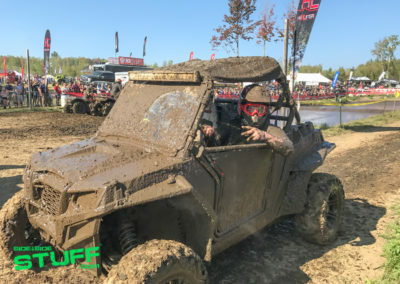 Each day the streets of Berlin filled with ATVs and side by sides headed back and forth from their campsite to the park as well as stop in at local business establishments to eat, fuel up and shop. 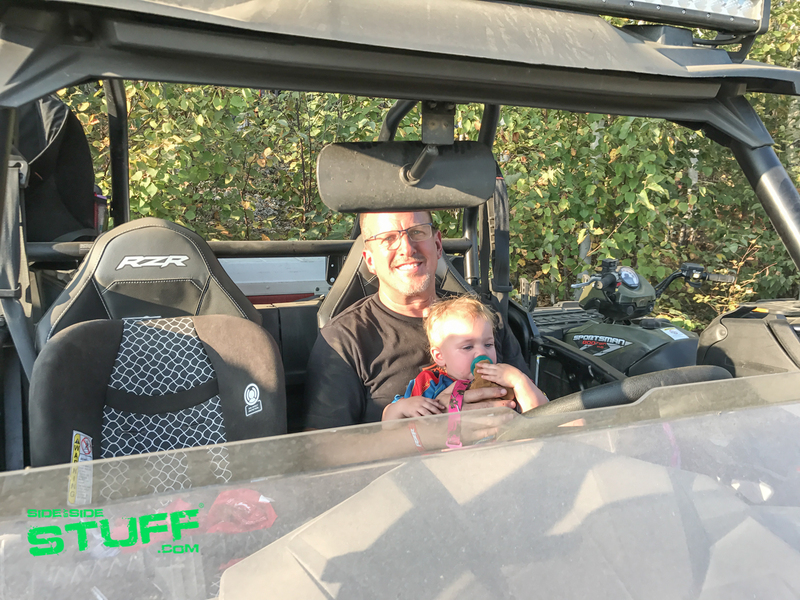 BIG THANKS to Berlin resident Paul Bourbeau and his family for their wonderful hospitality, we really enjoyed our stay. 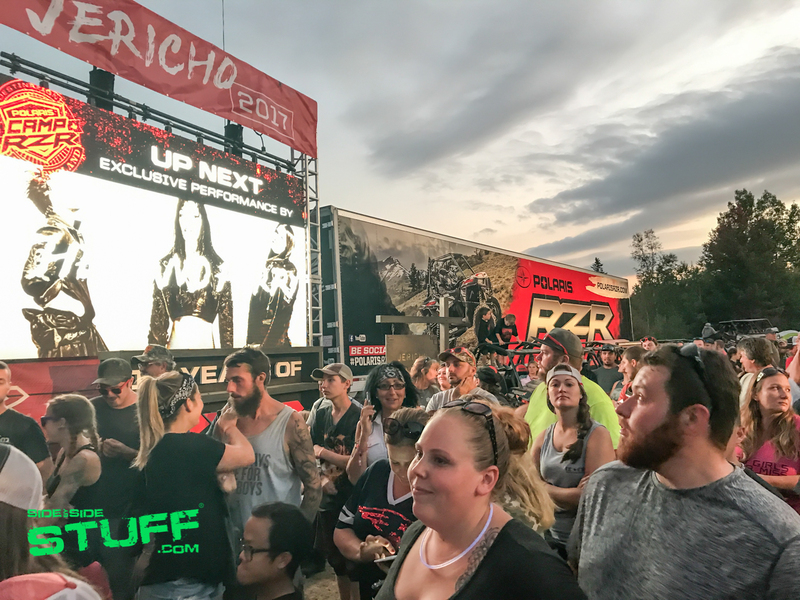 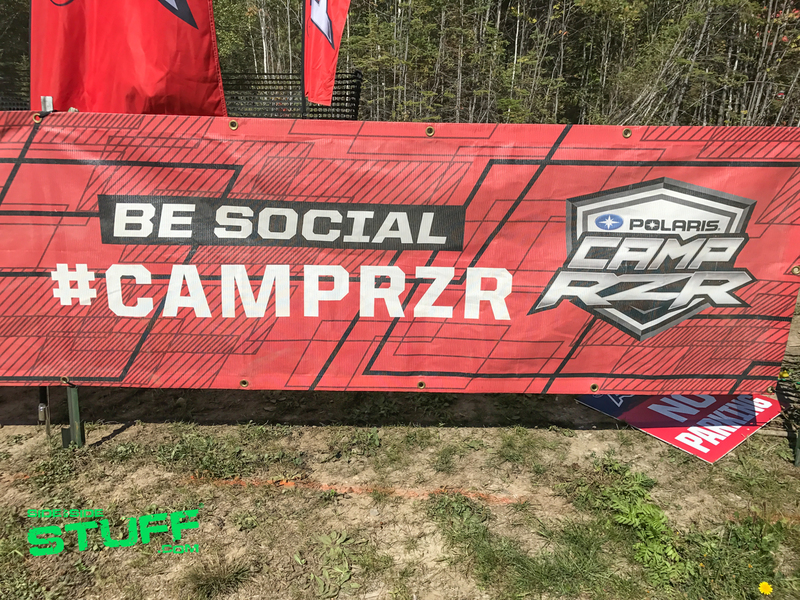 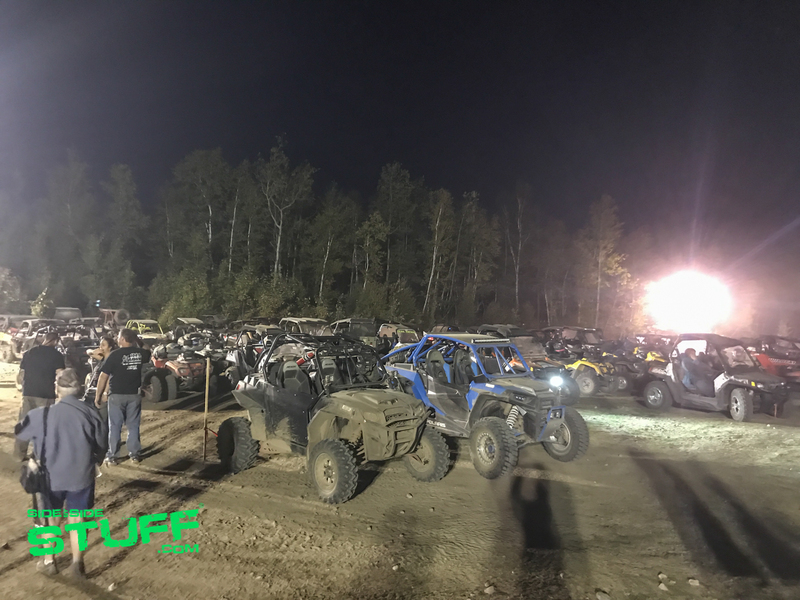 While at the event, we heard rumors that the contract with Polaris and the local Chamber of Commerce was over after this year’s event and that Camp RZR might be in a new location for 2018. 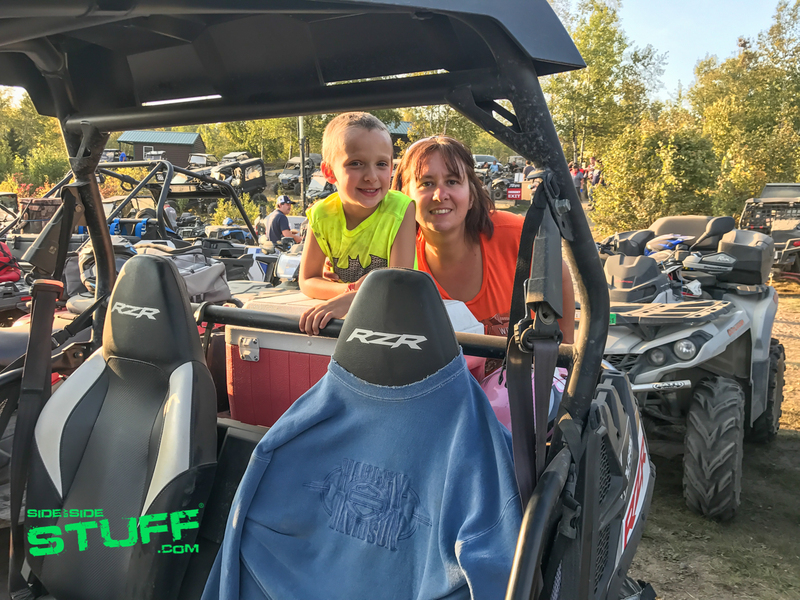 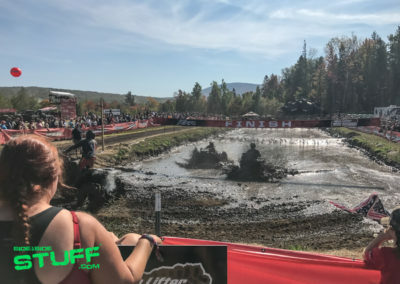 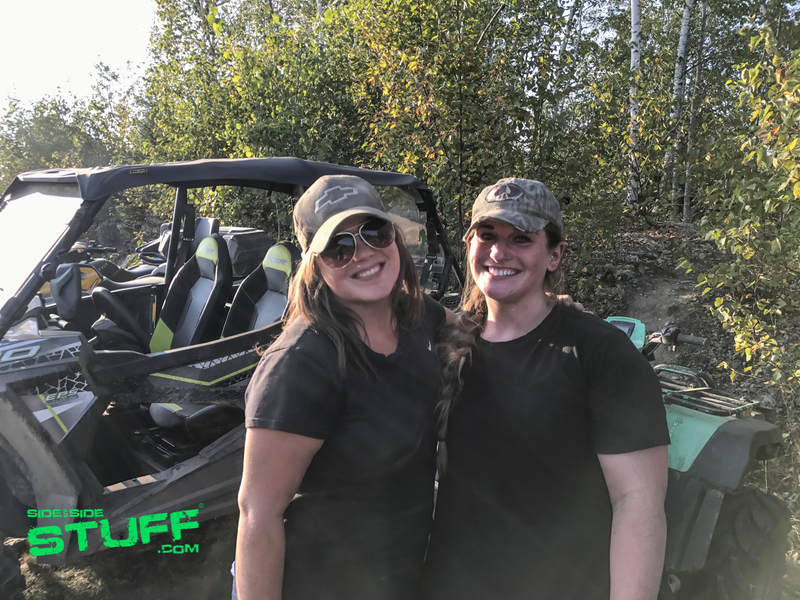 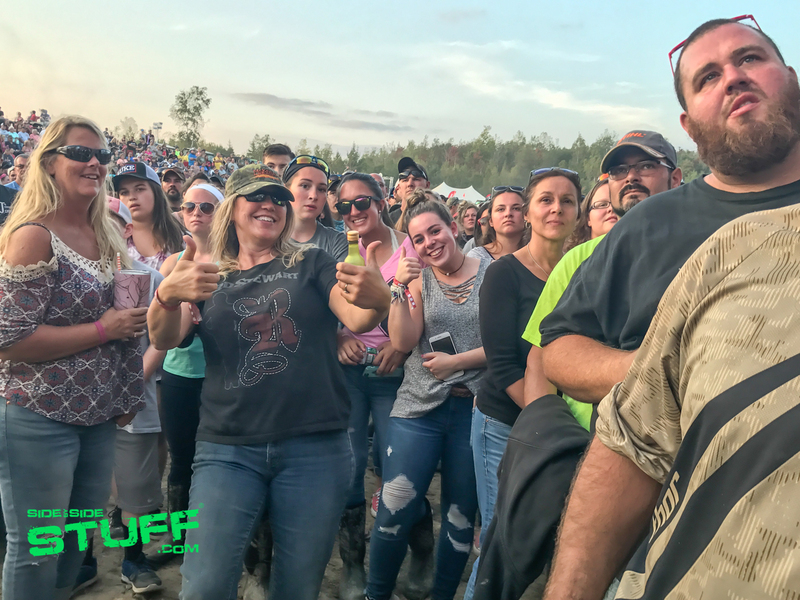 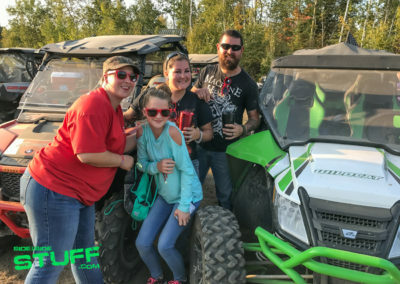 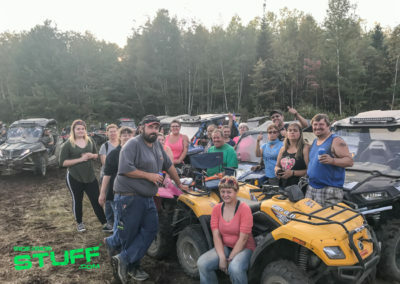 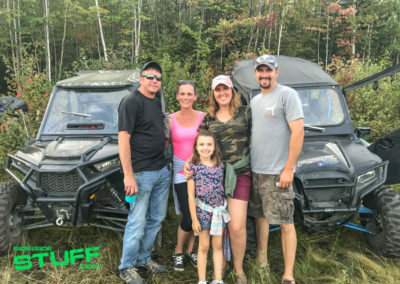 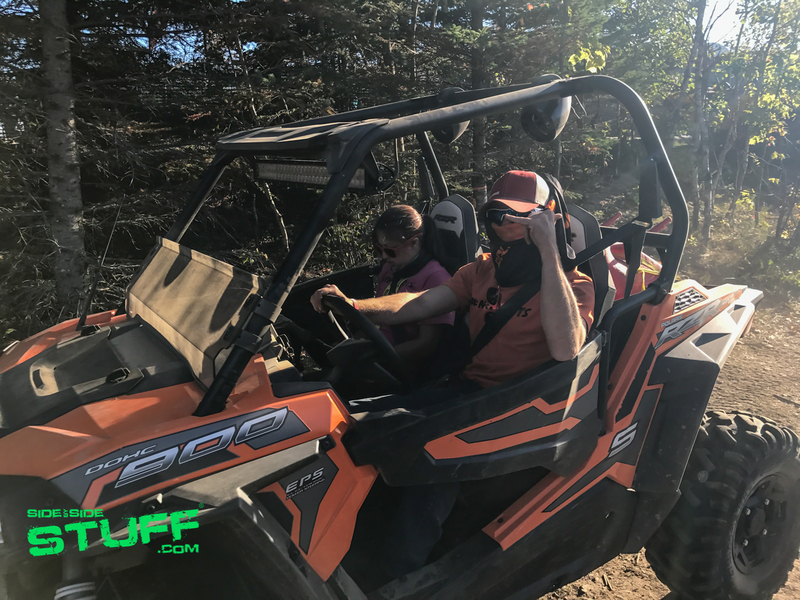 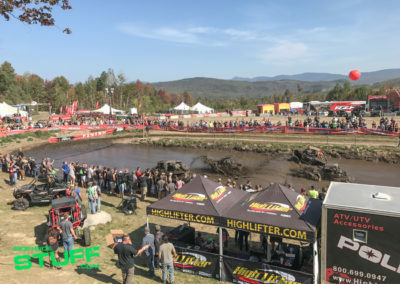 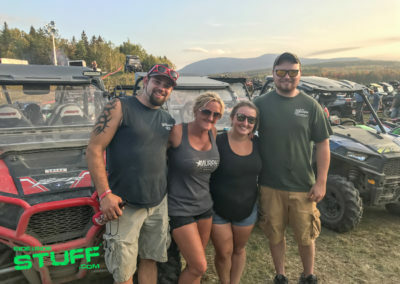 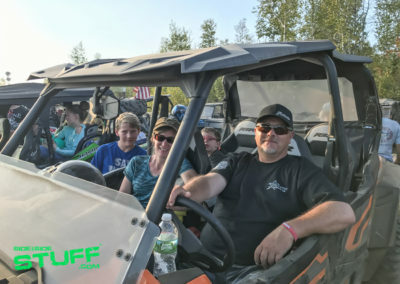 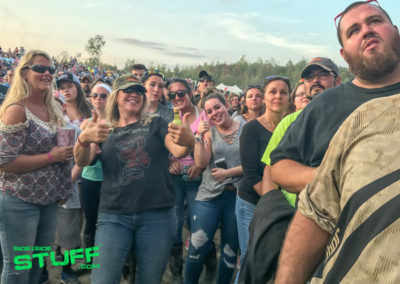 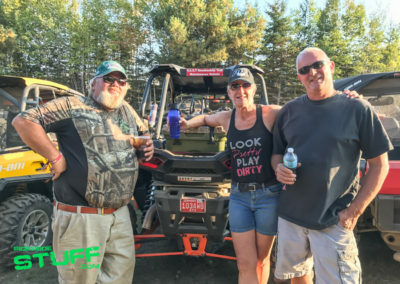 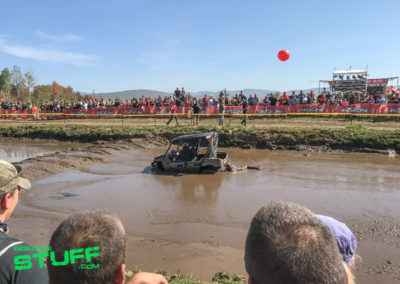 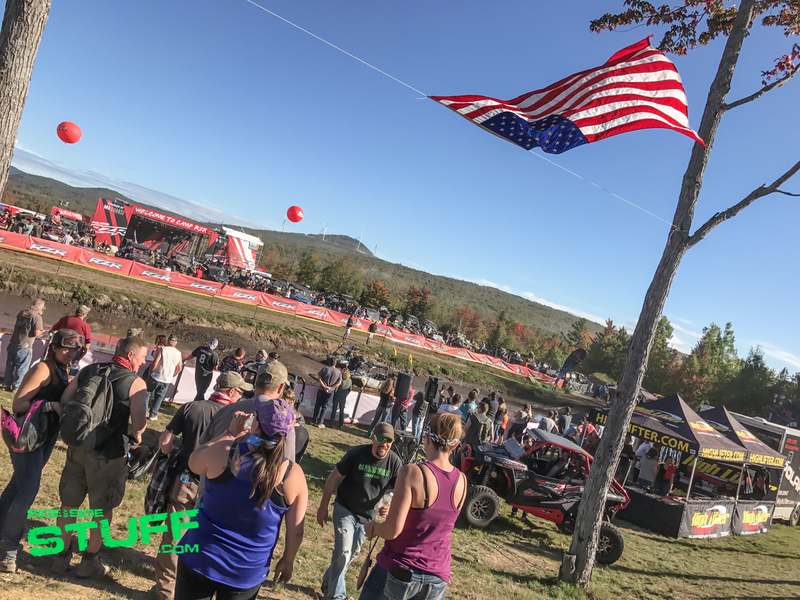 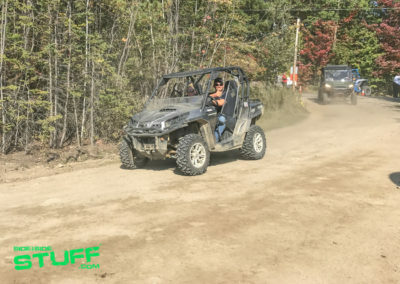 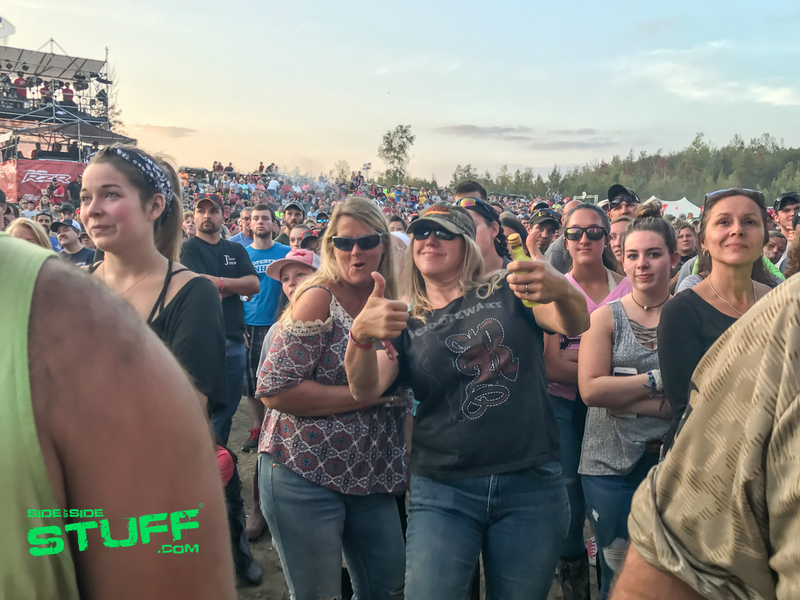 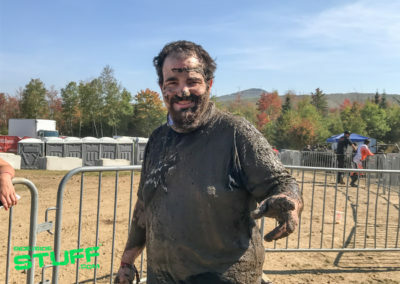 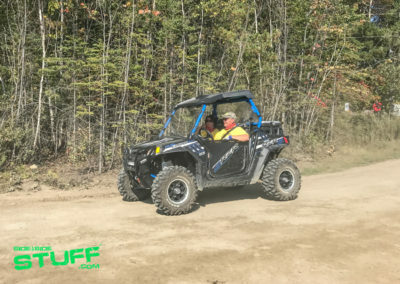 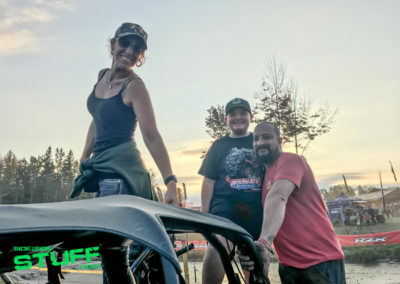 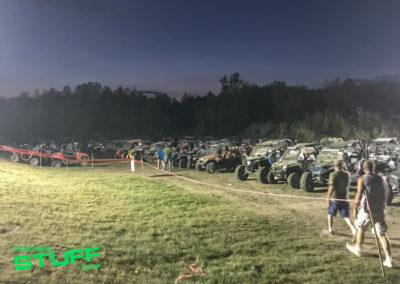 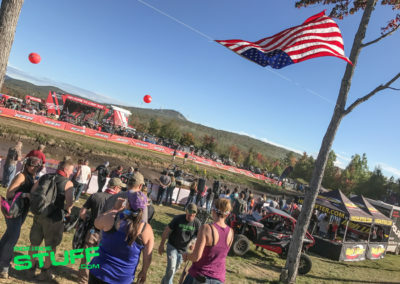 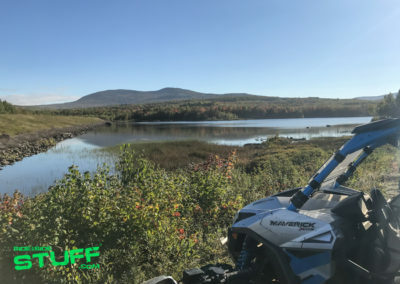 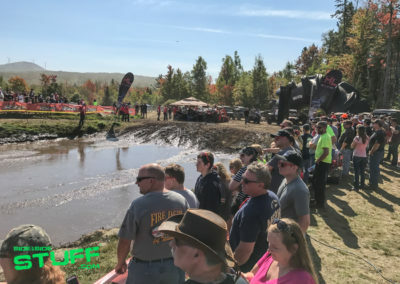 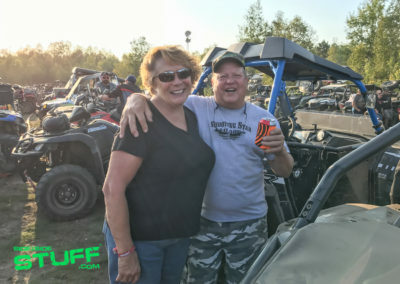 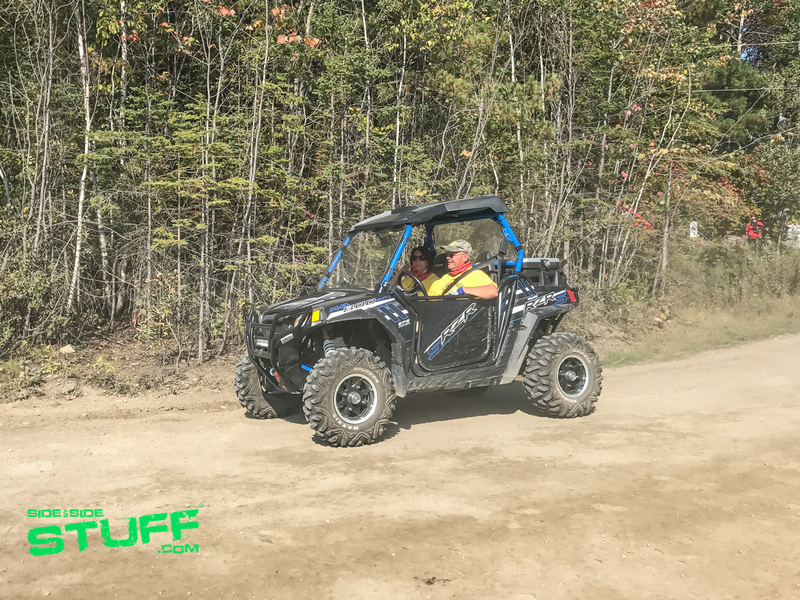 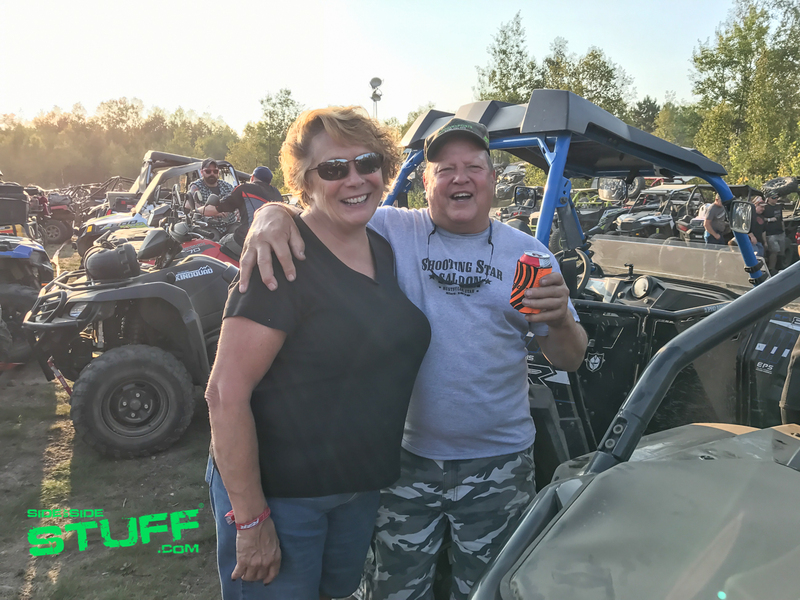 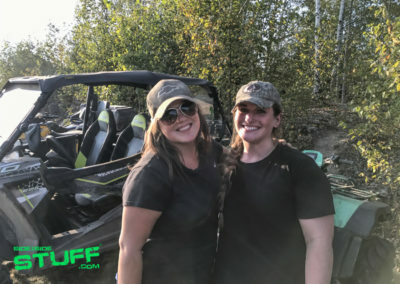 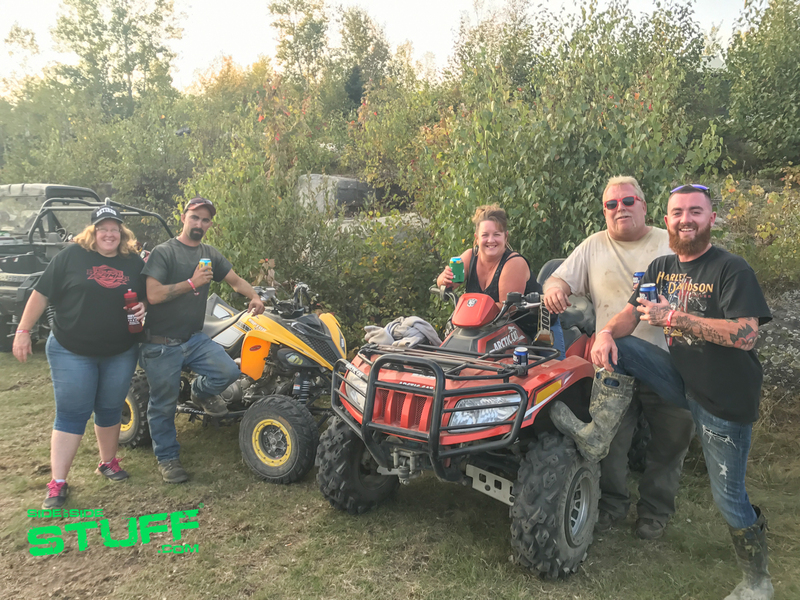 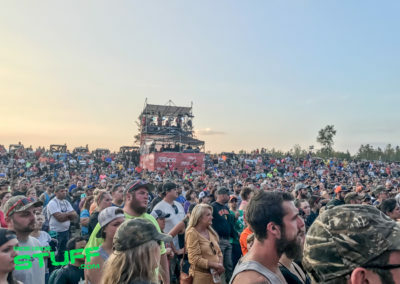 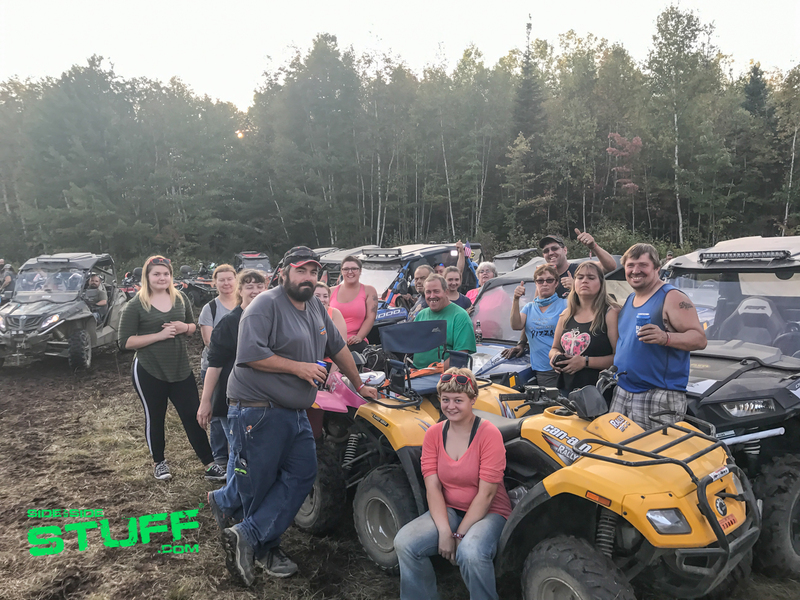 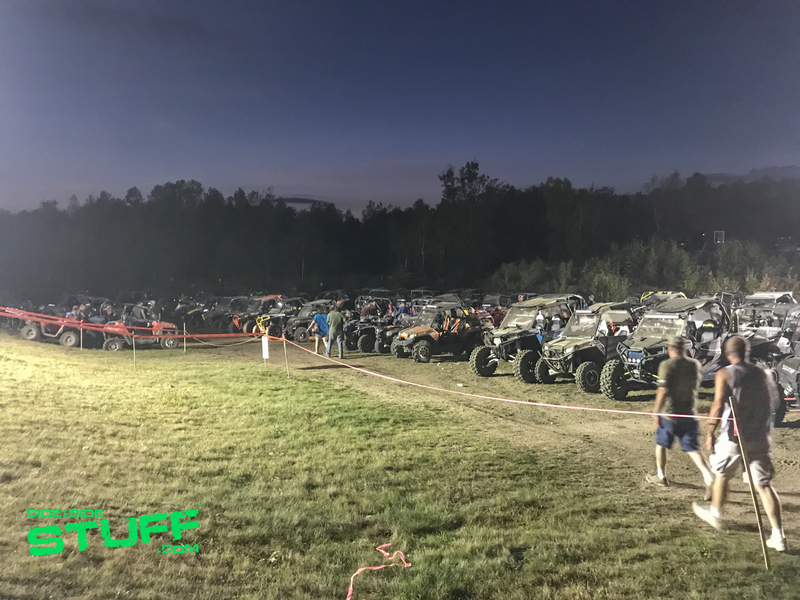 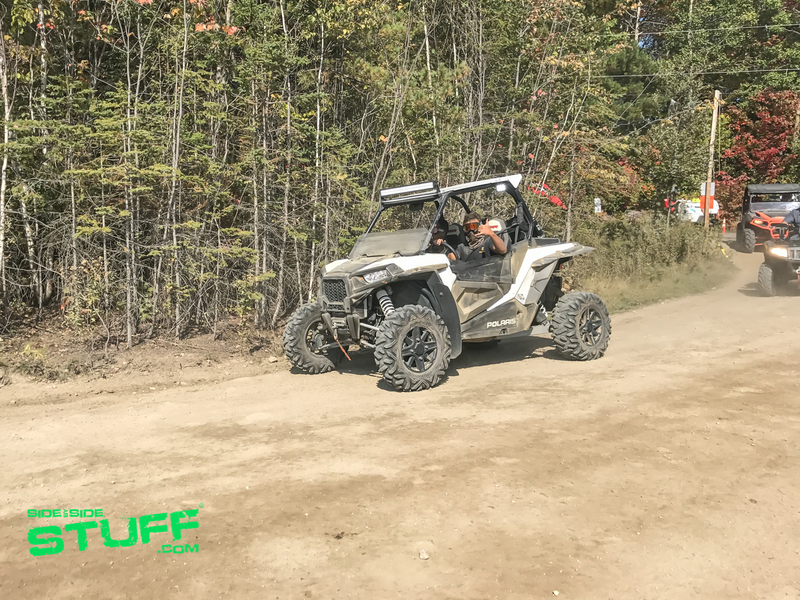 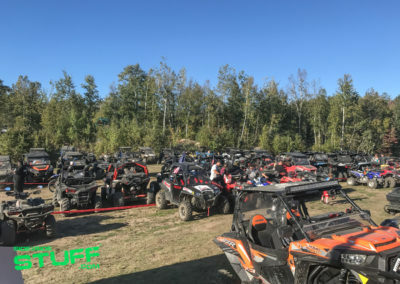 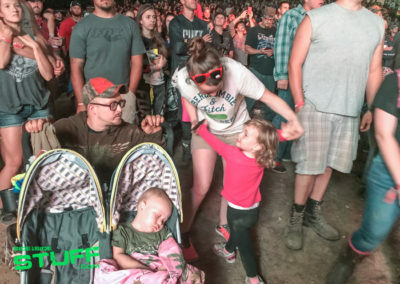 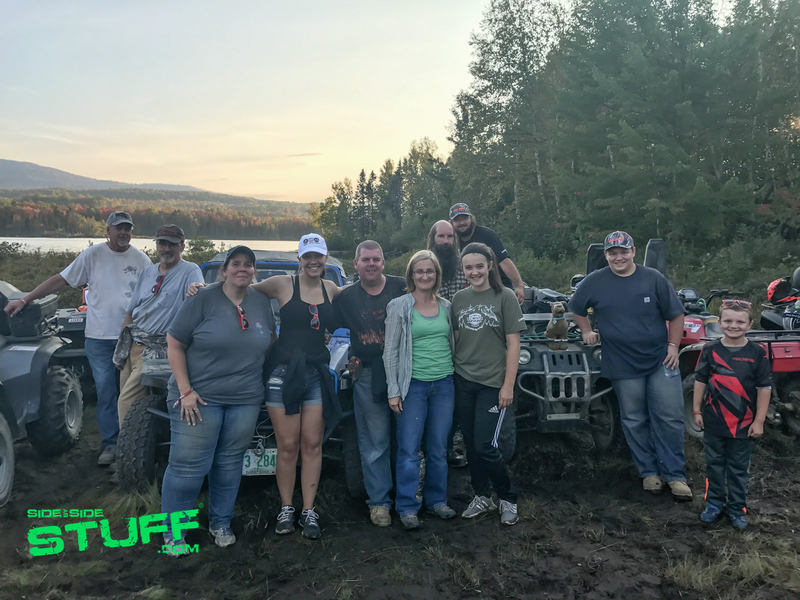 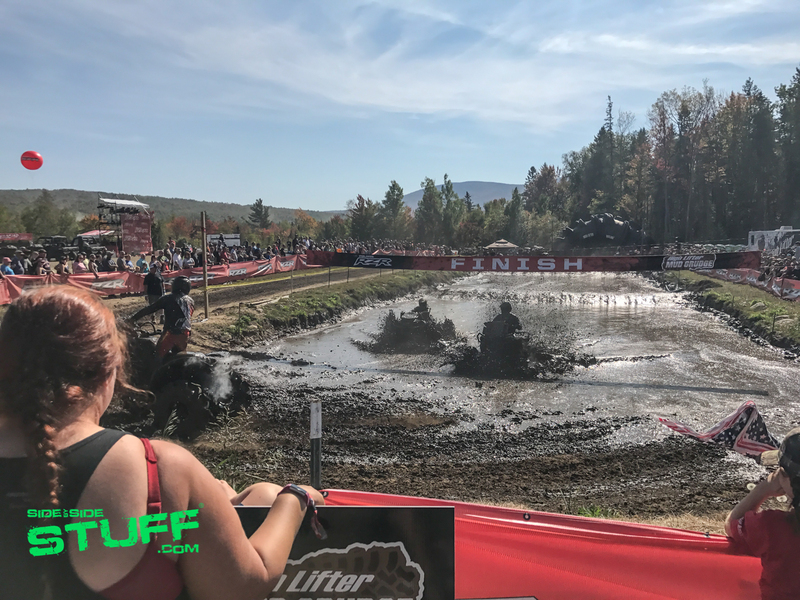 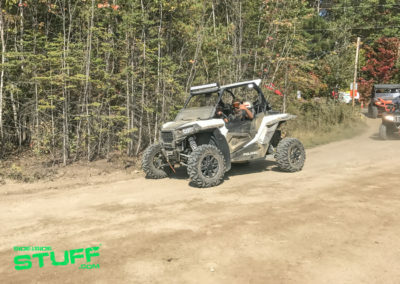 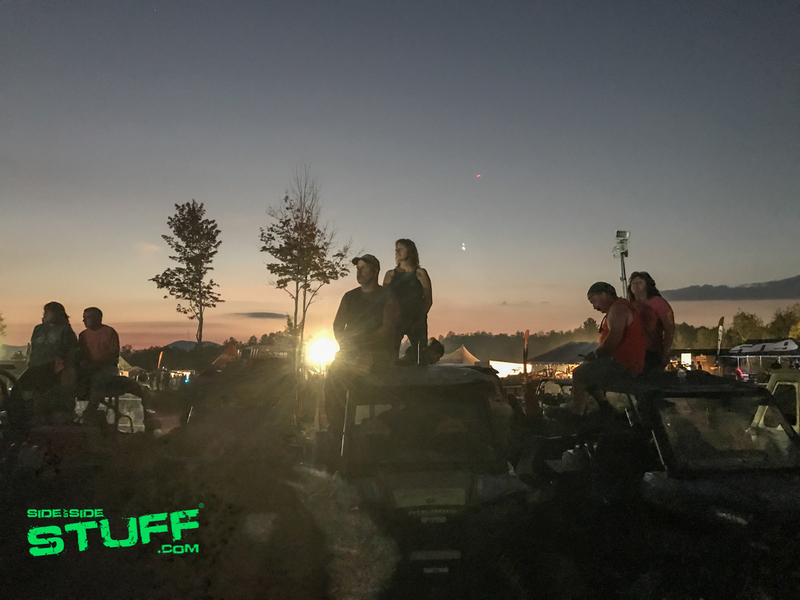 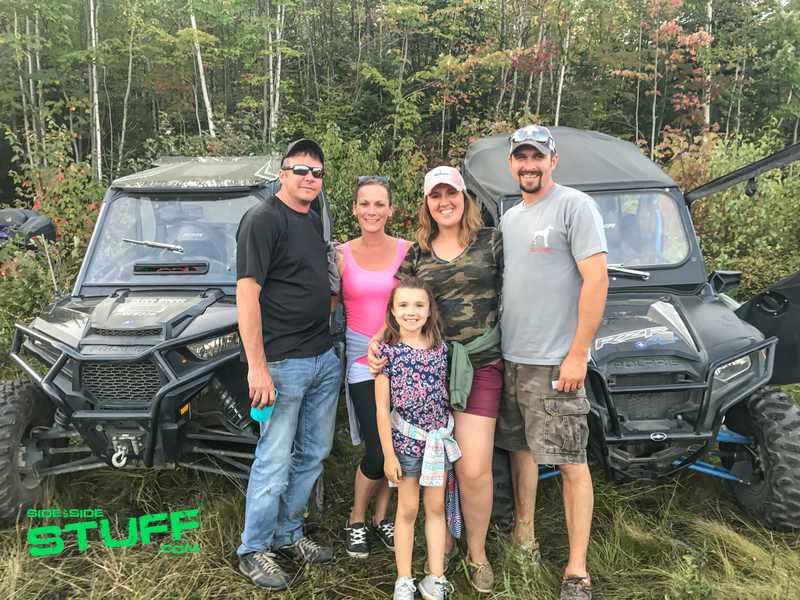 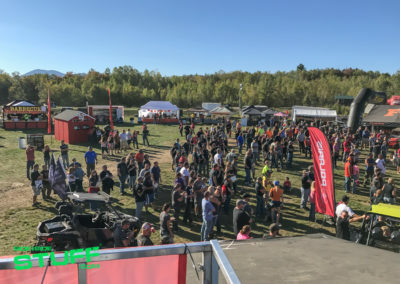 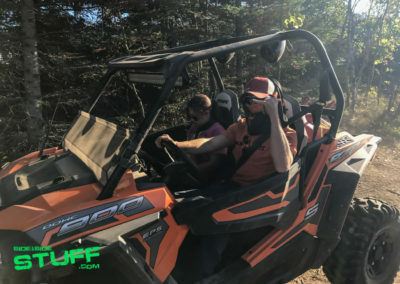 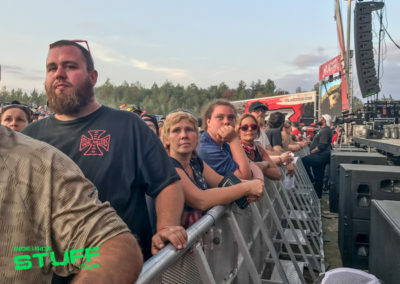 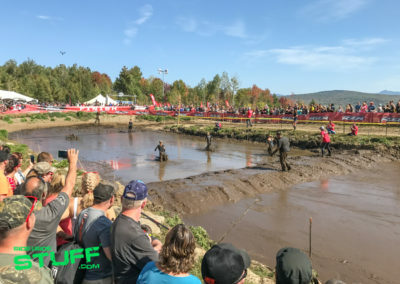 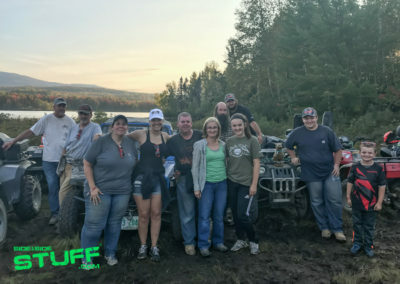 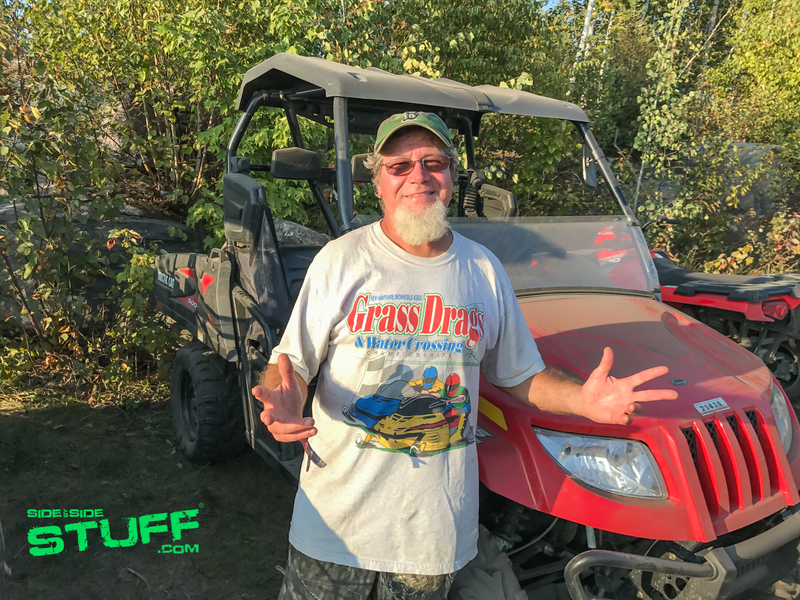 We never did hear what the official story was, but if that’s the case, several other annual events happen at Jericho Mountain State Park, including the big Jericho ATV Festival, its’ safe to say we’ll defiantly be back to ride Jericho Mountain regardless. 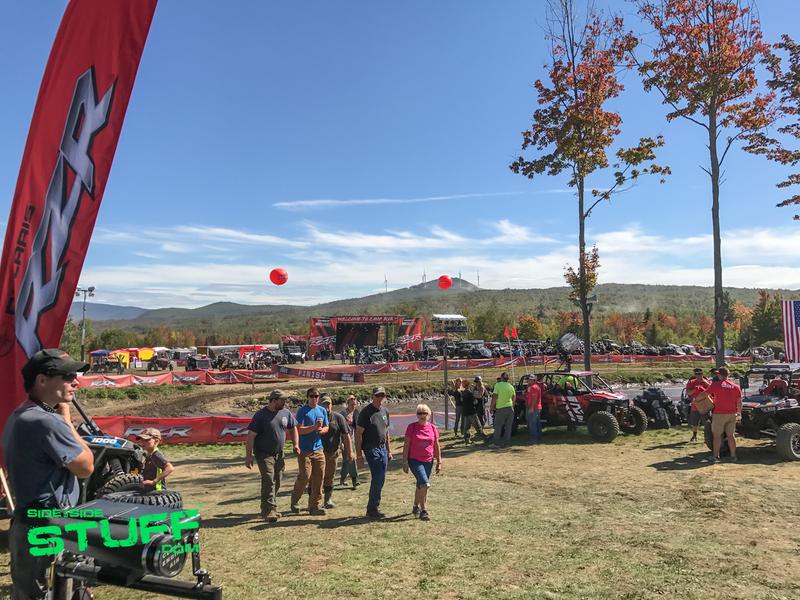 Camp RZR was such a blast, it will be interesting to see what ( and where ) Polaris does with “Camp RZR East” for 2018. 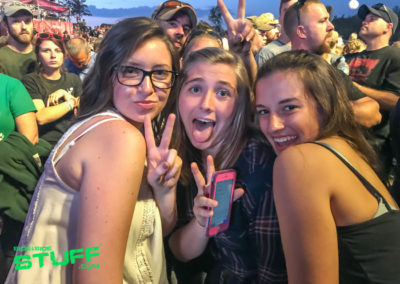 One thing is for sure, we know it will be a guaranteed good time. 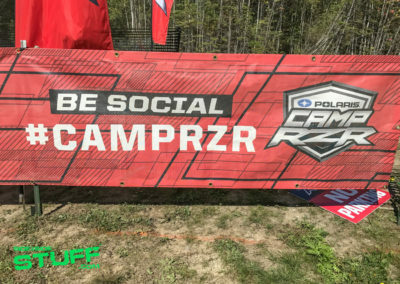 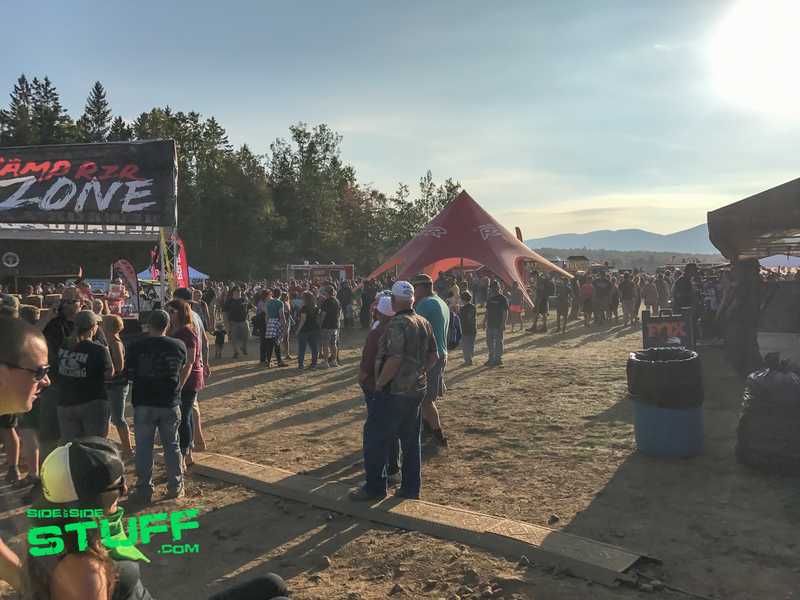 Make sure to watch for the 2018 announcement, Camp RZR is an event you don’t want to miss. 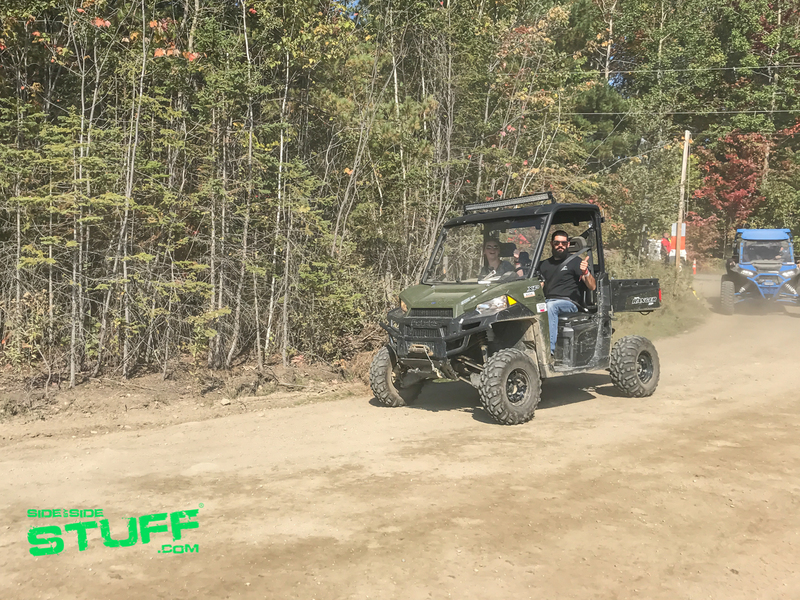 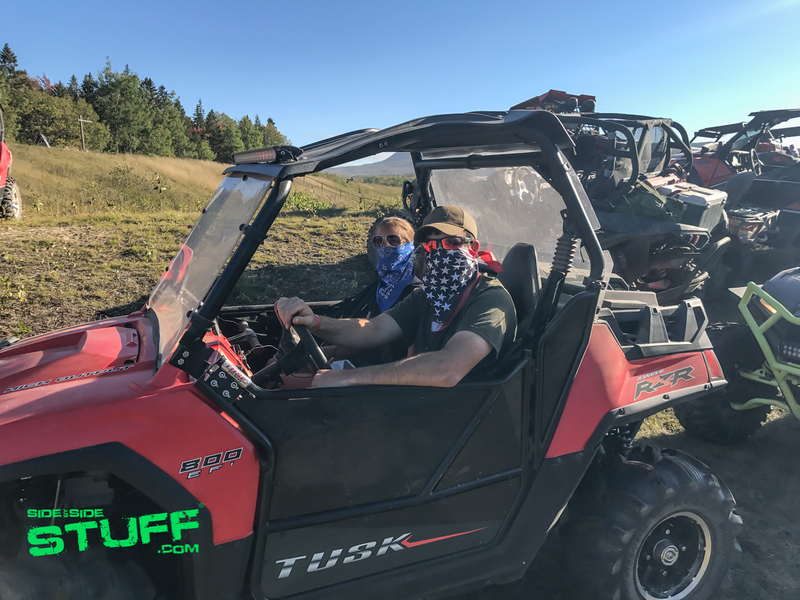 BIG THANKS to Jericho Outdoors for hooking us up with a UTV to get around in for the weekend. We heard they are moving locations for this year’s event, at this time we haven’t heard where.